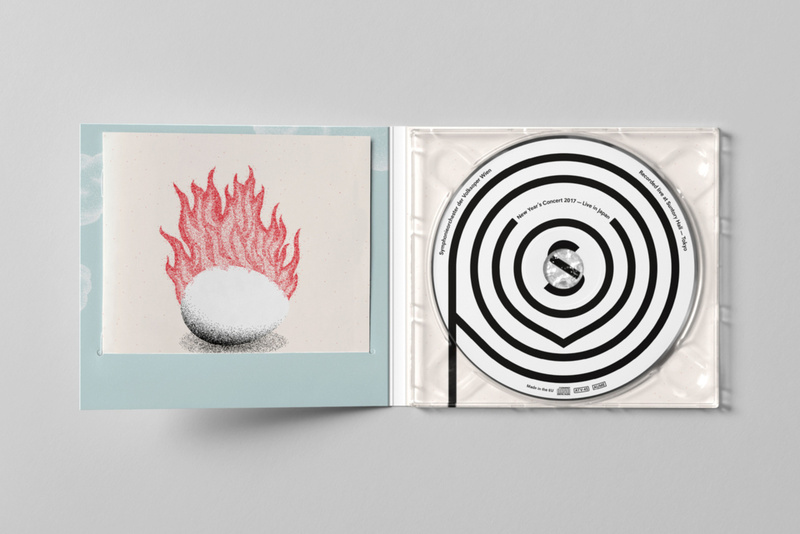 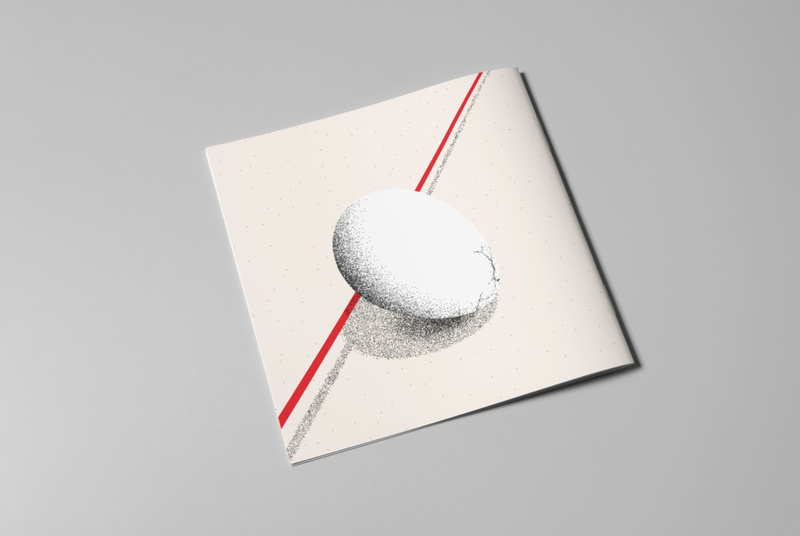 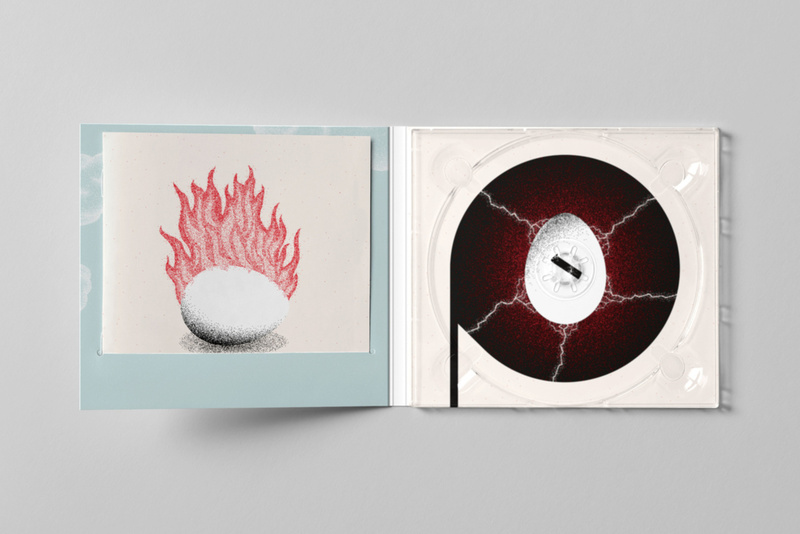 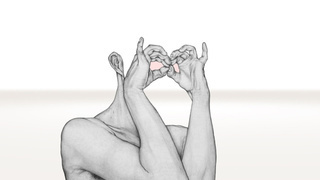 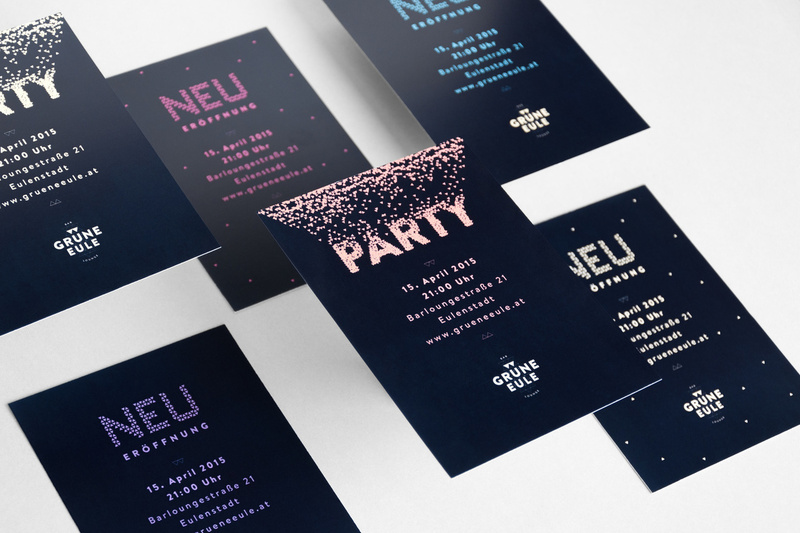 Florian C. Wachmann is a media designer based in Vienna, Austria. 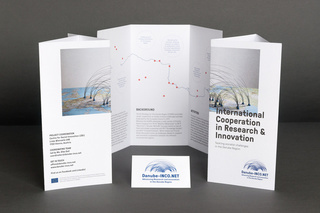 Working interdisciplinary in a broad creative field, not losing the perspective to form adequate design solutions. Focus on graphic design and web design as well as animation and other media design. 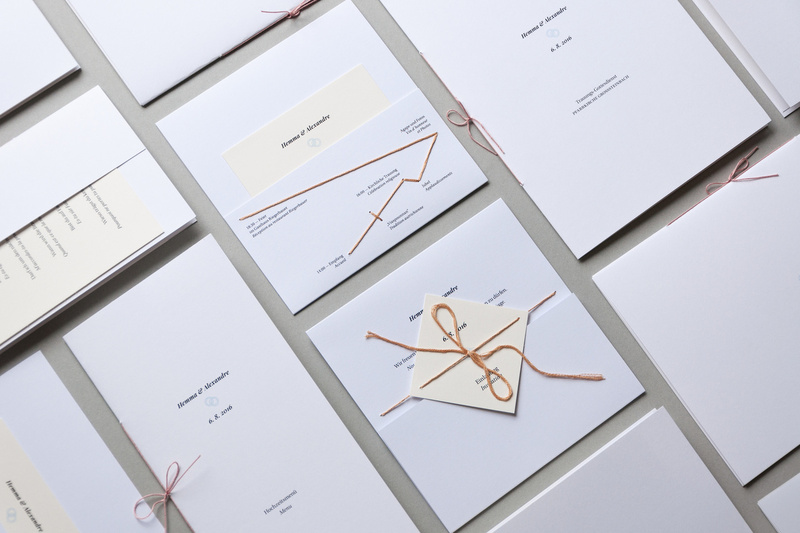 Design concepts and visual experiences with great love and effort. 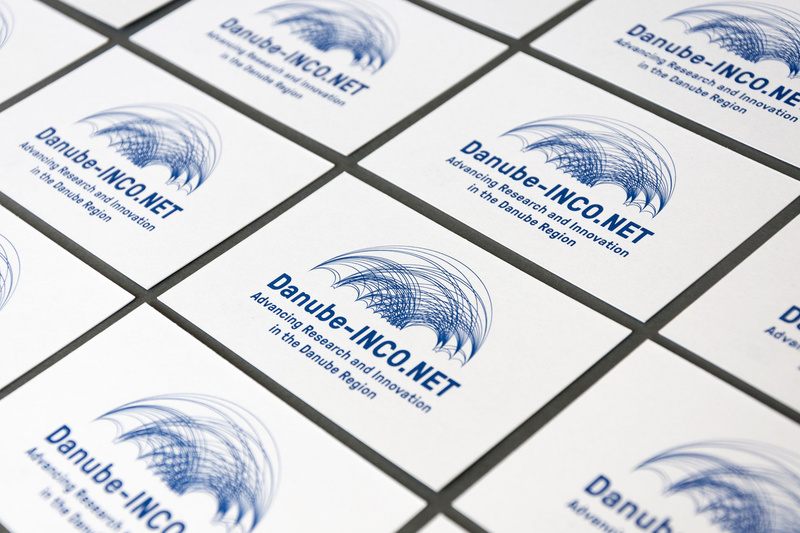 Custom-made and high-​quality work carefully realised for interesting clients and their activities. 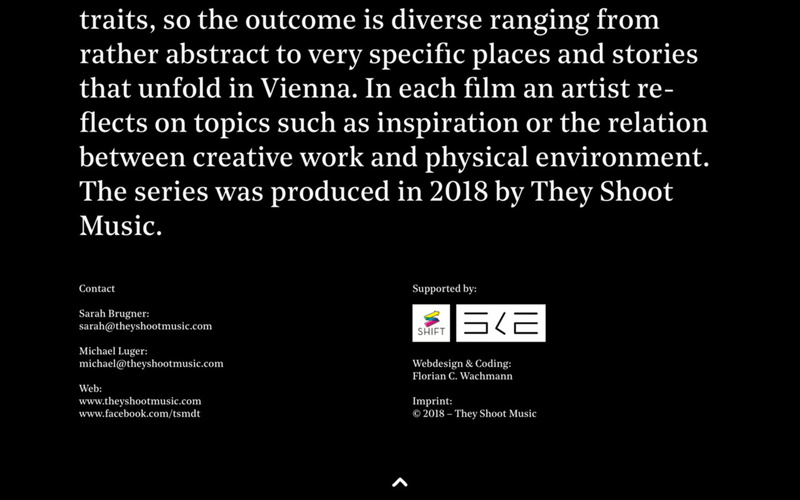 Website for the online presentation of eight music documentaries, all shot in Vienna by „They Shoot Music“ for their funded project „Ganz Wien“. 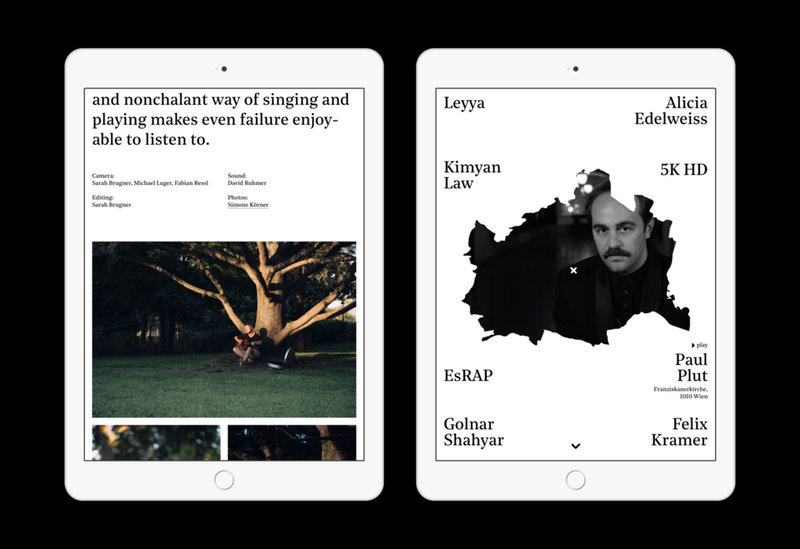 The site also features a short biography of each artist as well as some great pictures of each shoot. 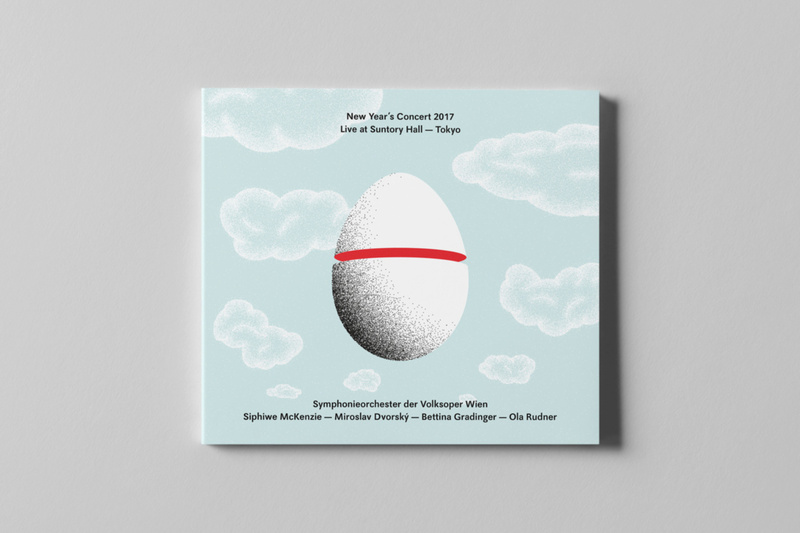 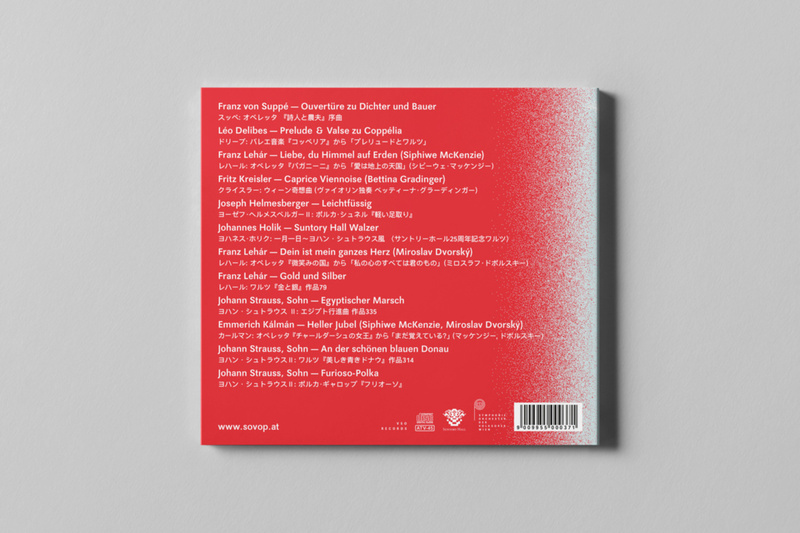 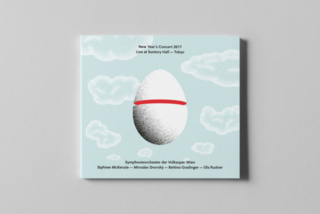 Artwork for the record of the New Year’s Concert 2017 in Tokyo by the „Symphony Orchestra of the Volksoper Vienna“. 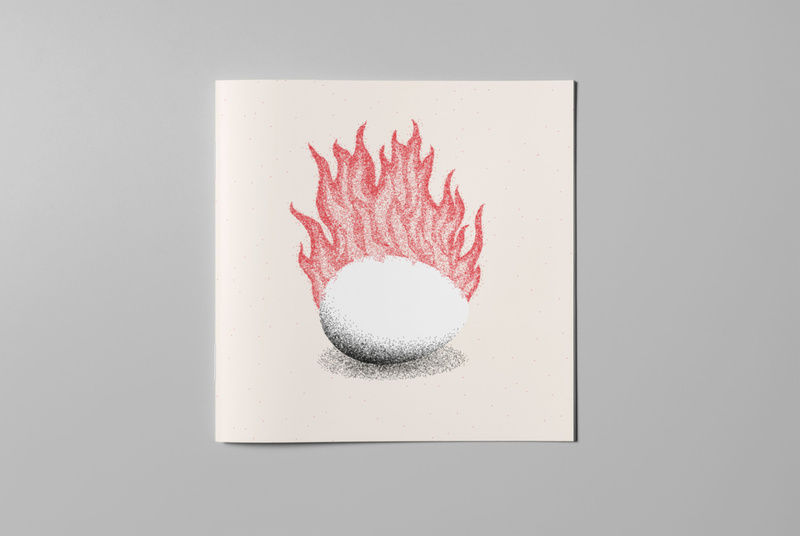 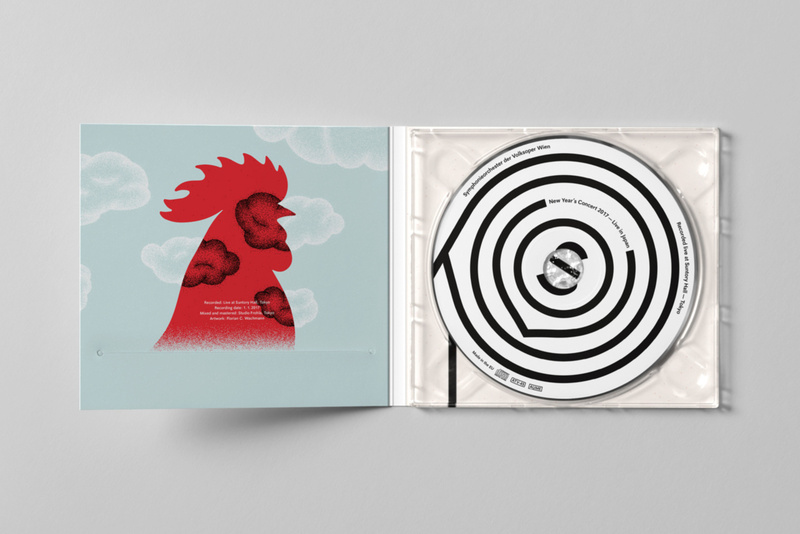 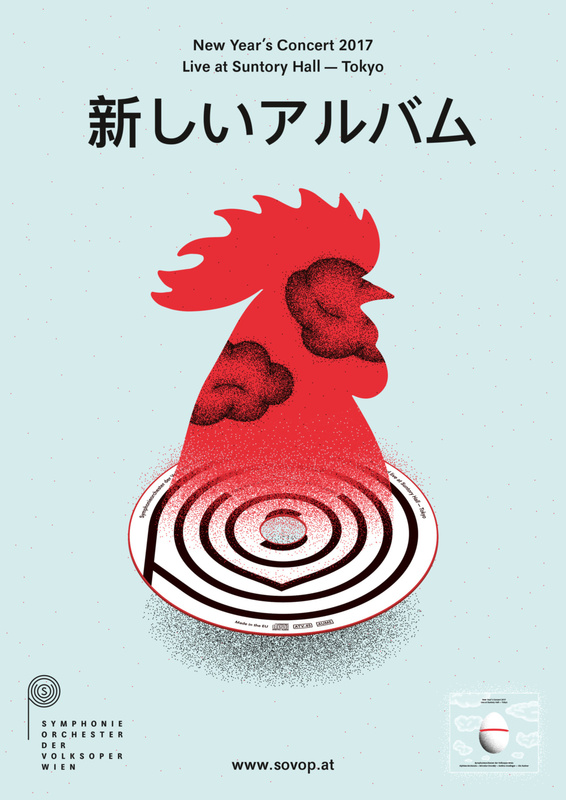 The illustrations tell the story of the reluctant birth of a rooster — as 2017 was the year of the rooster. 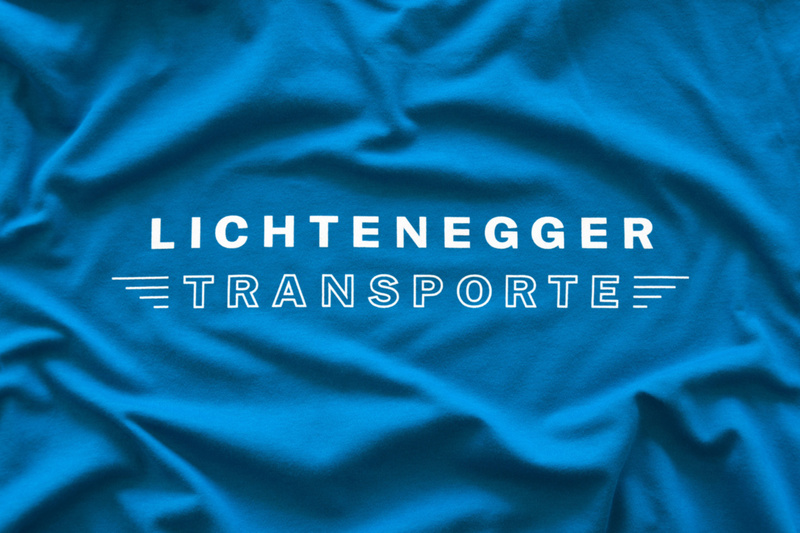 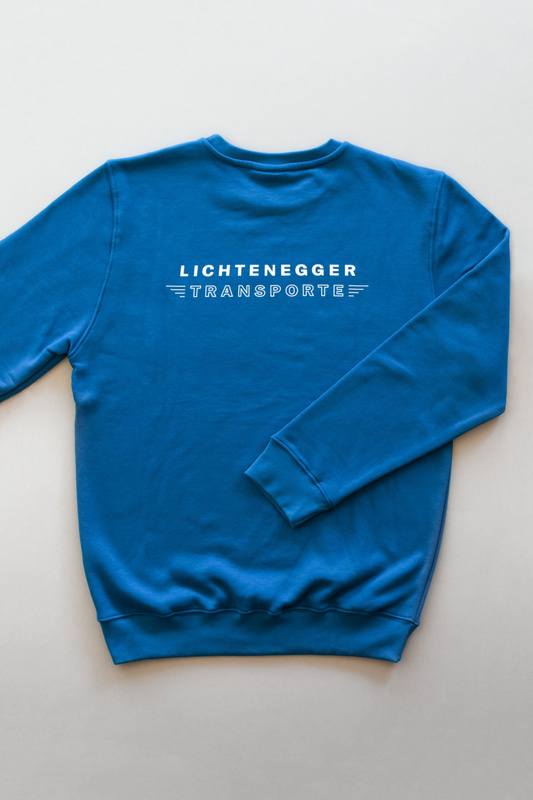 Visual identity for the Austrian truck company “Lichtenegger Transporte”. The logo is inspired by the movement of trucks that are fully loaded in one direction and empty in the other direction. 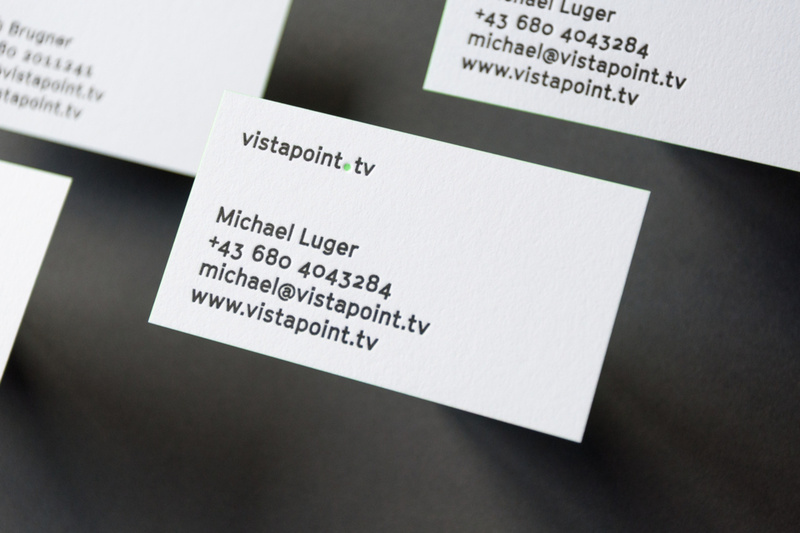 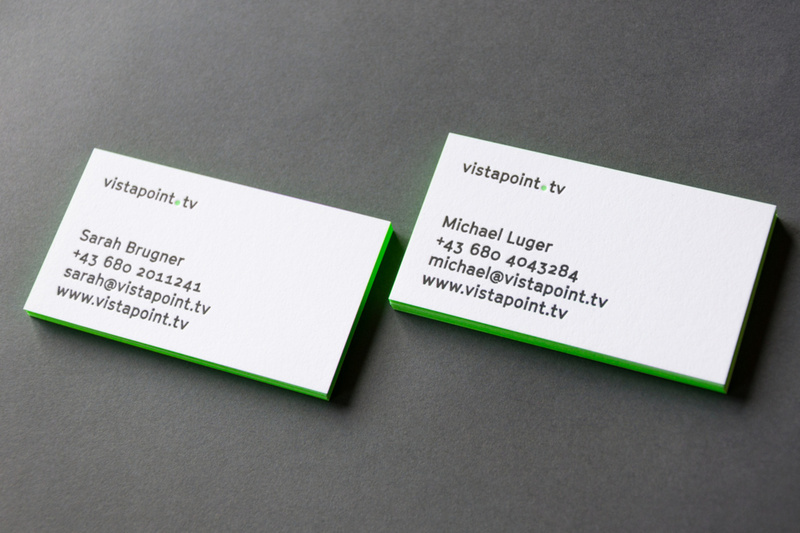 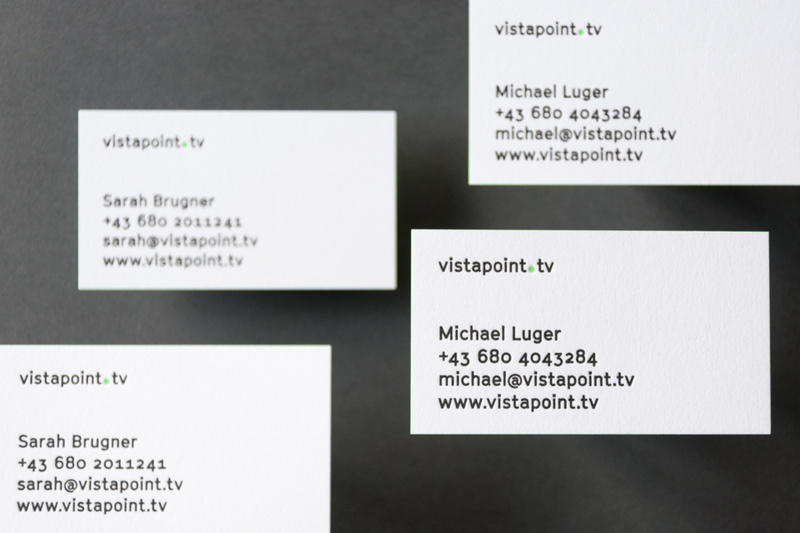 Visual Identity for the nice guys of “vistapoint.tv”. 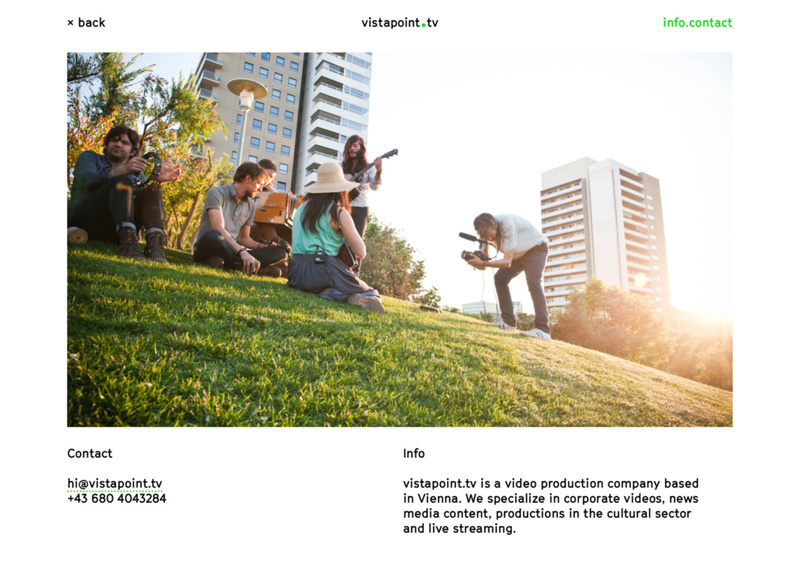 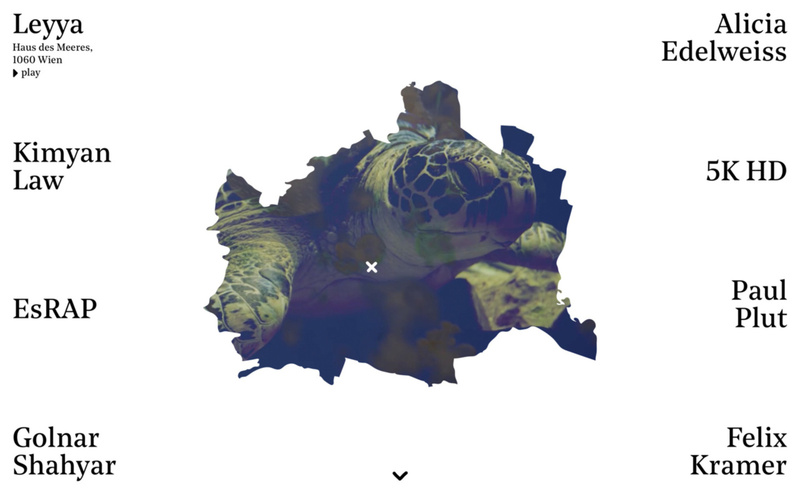 The 16:9 video format and the dot as the main design elements run through the entire visual appearance. 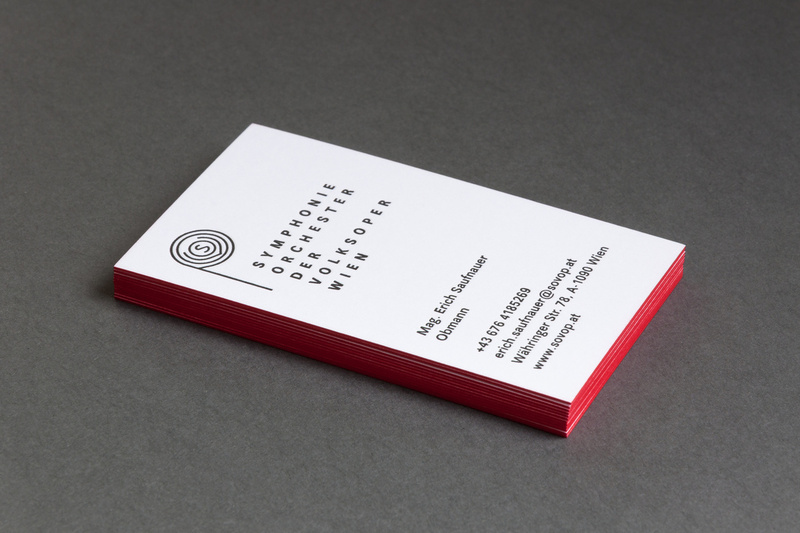 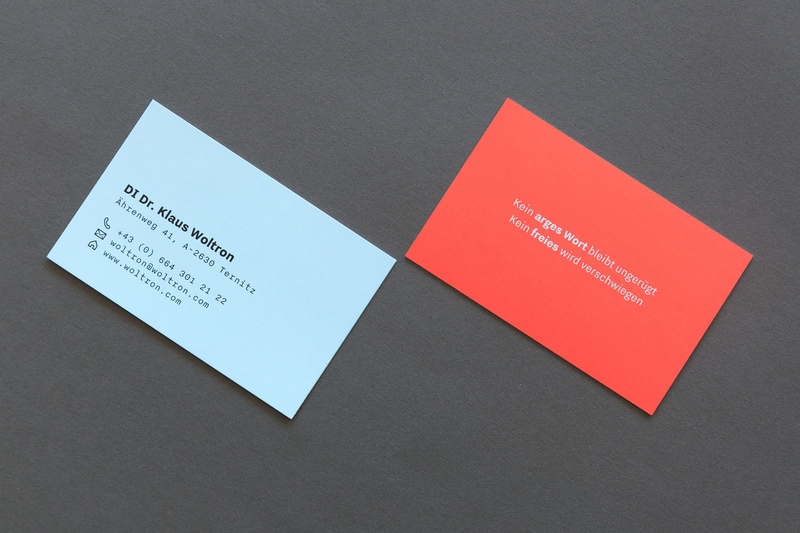 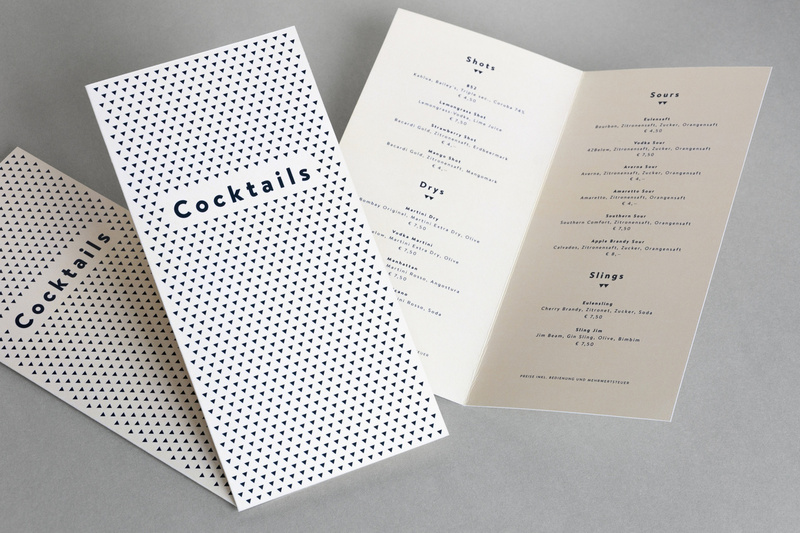 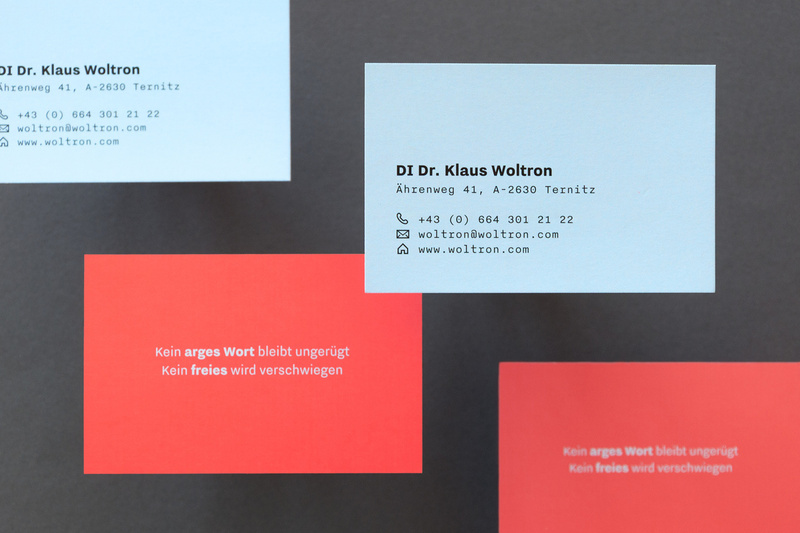 Moreover the minimalist use of typography and color gives the design its unique character. 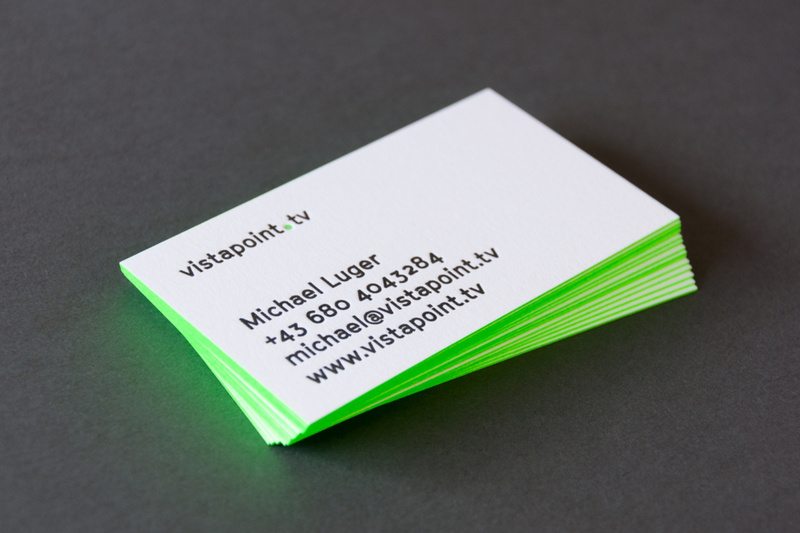 To promote the website, I also designed the business cards. 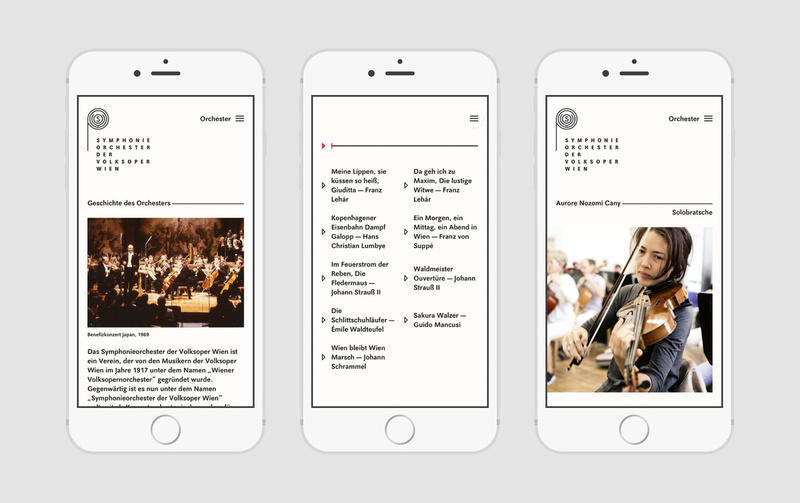 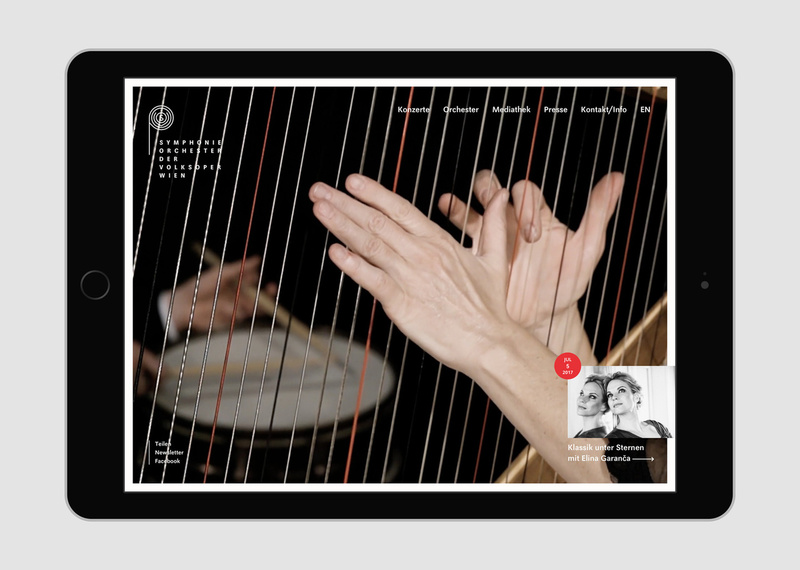 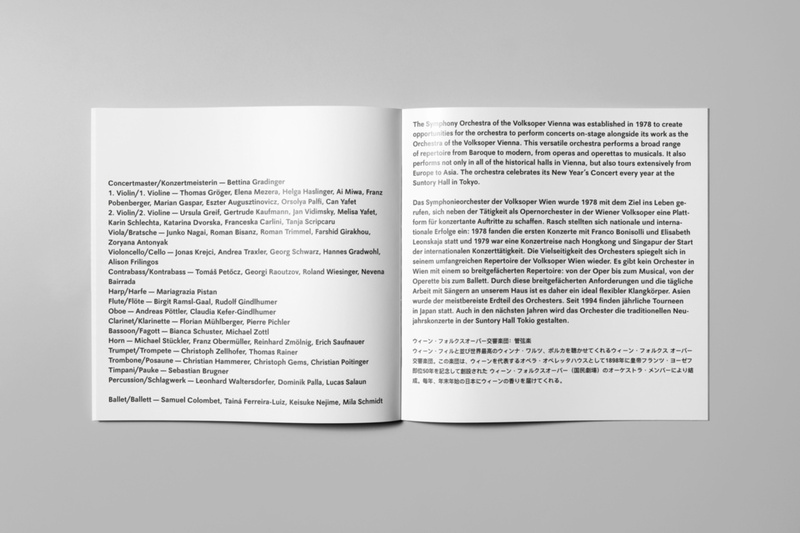 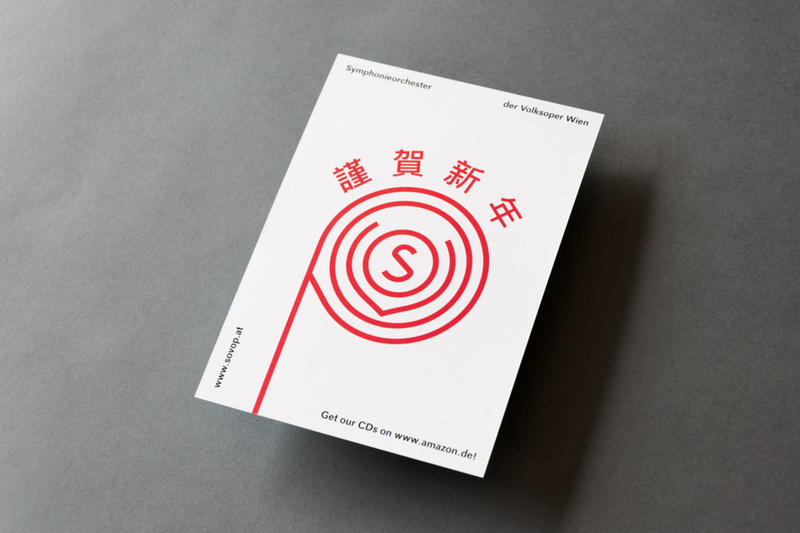 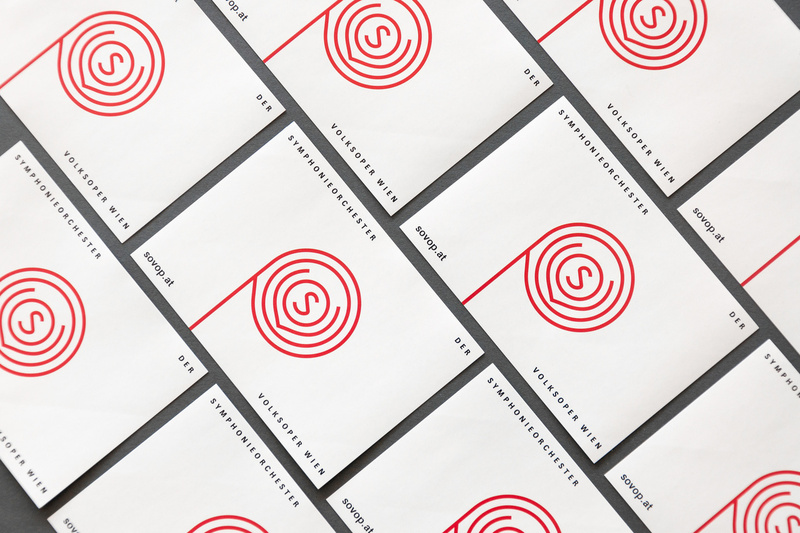 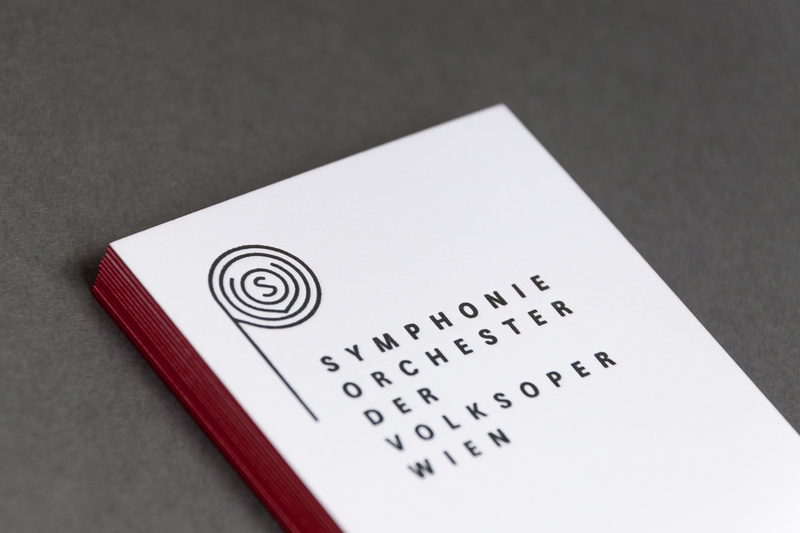 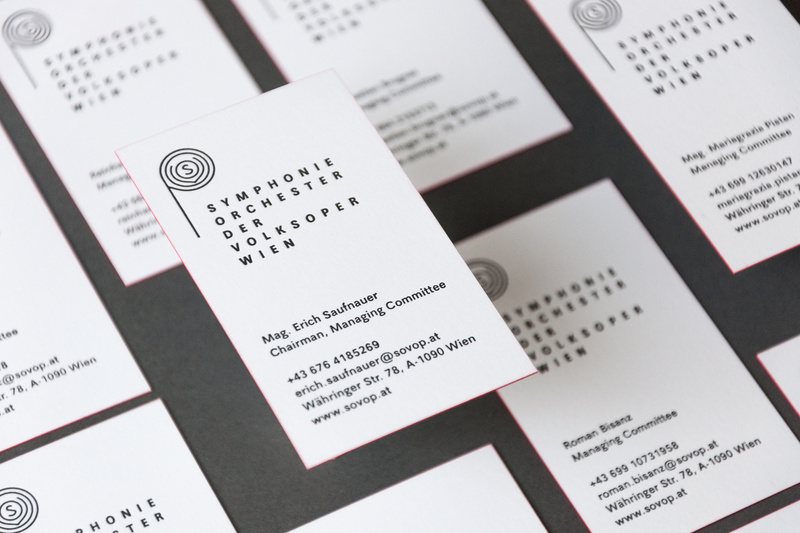 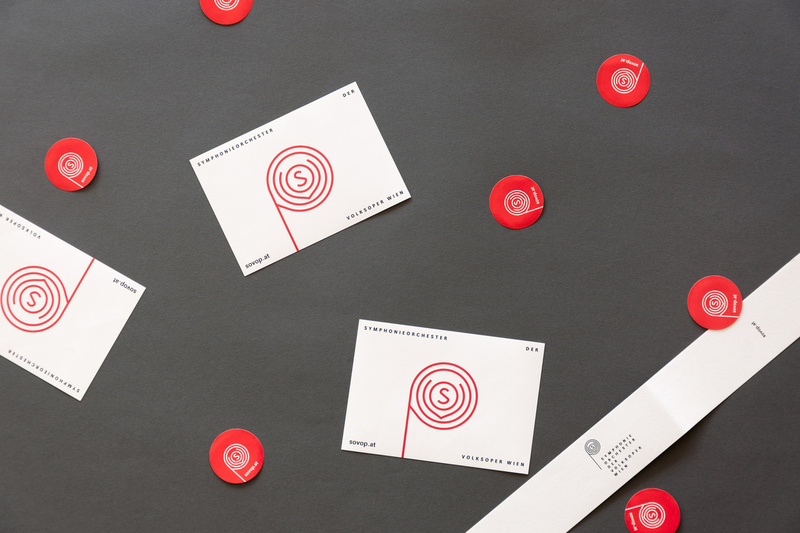 Visual Identity for the “Symphony Orchestra of the Volksoper Vienna”. 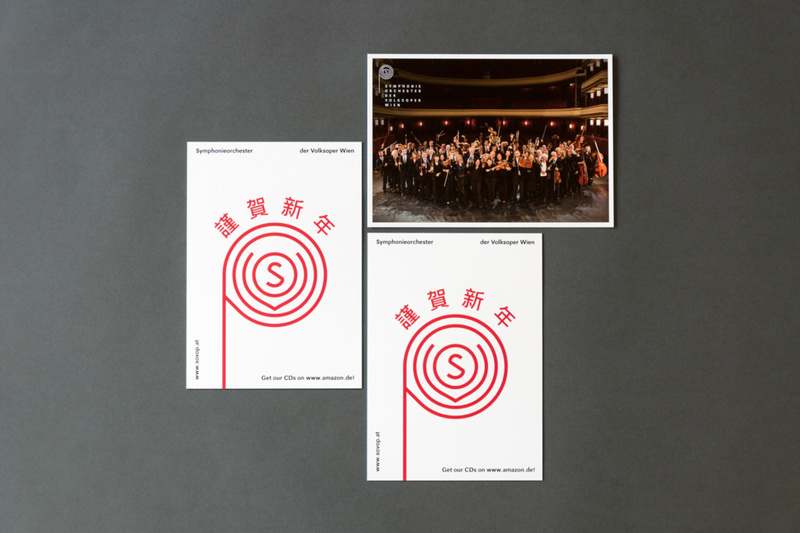 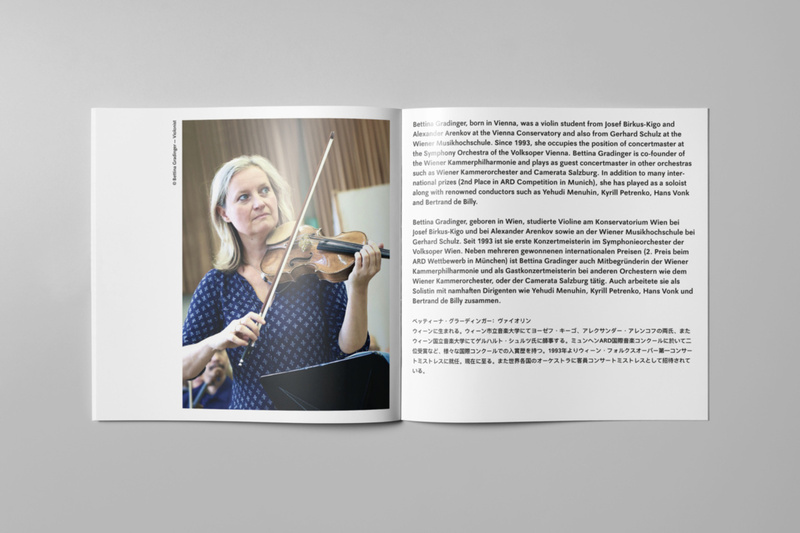 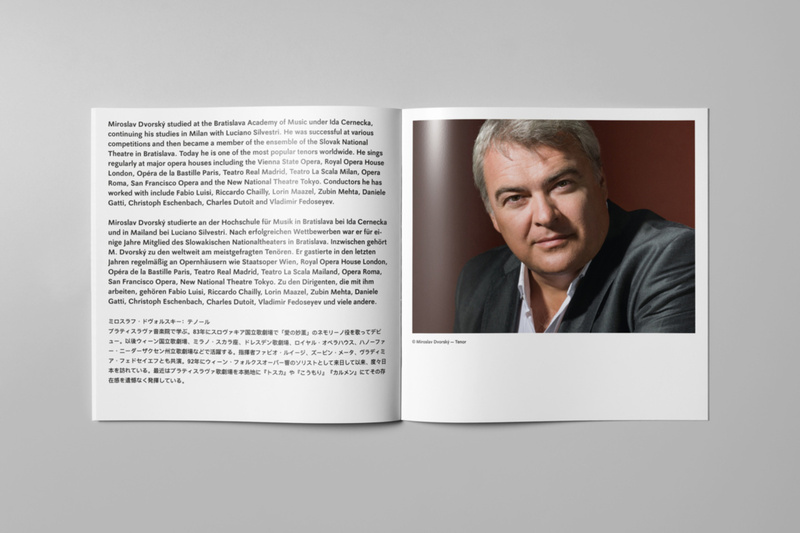 The orchestra is known worldwide for its Viennese operetta repertoire and symphonic concerts, especially in Japan, where the musicians play annually. 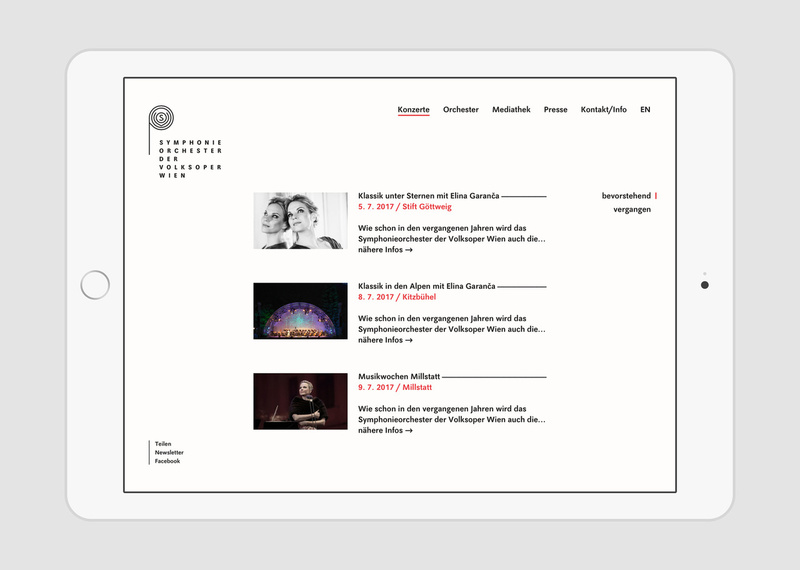 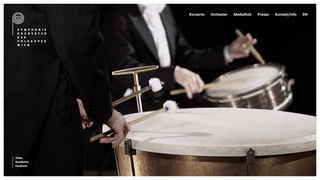 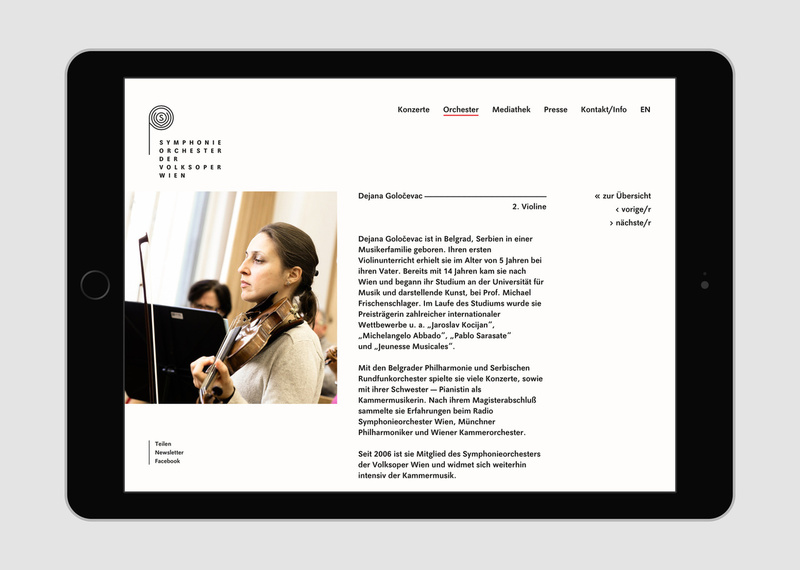 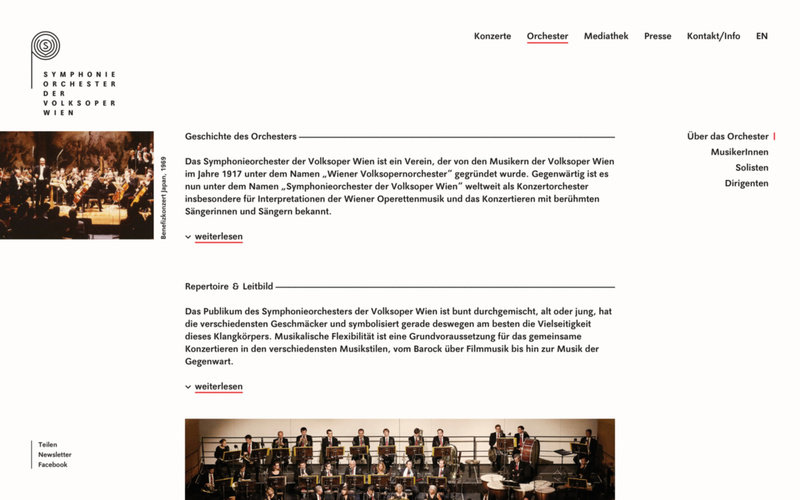 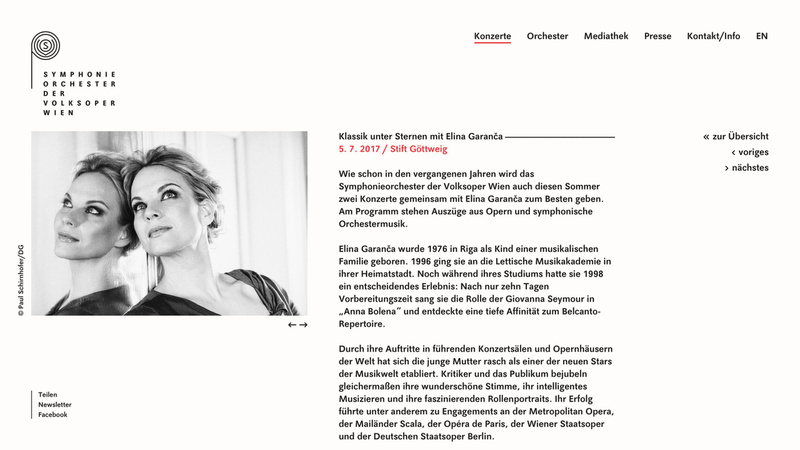 Website for the “Symphony Orchestra of the Volksoper Vienna”. 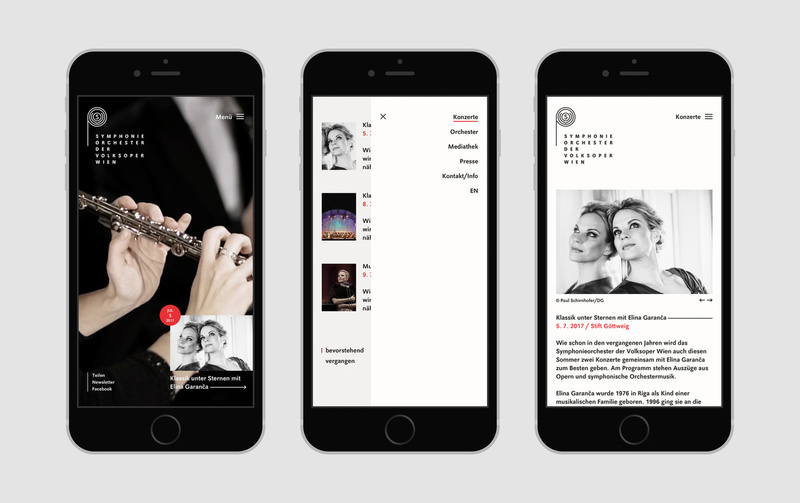 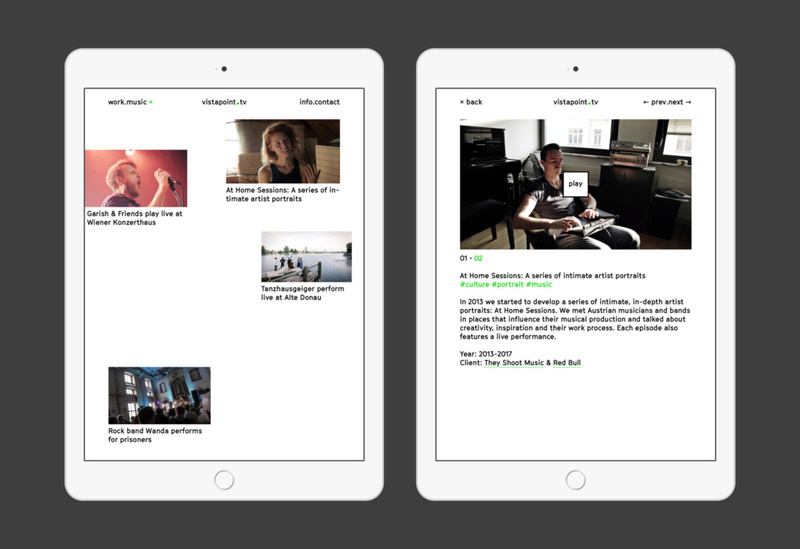 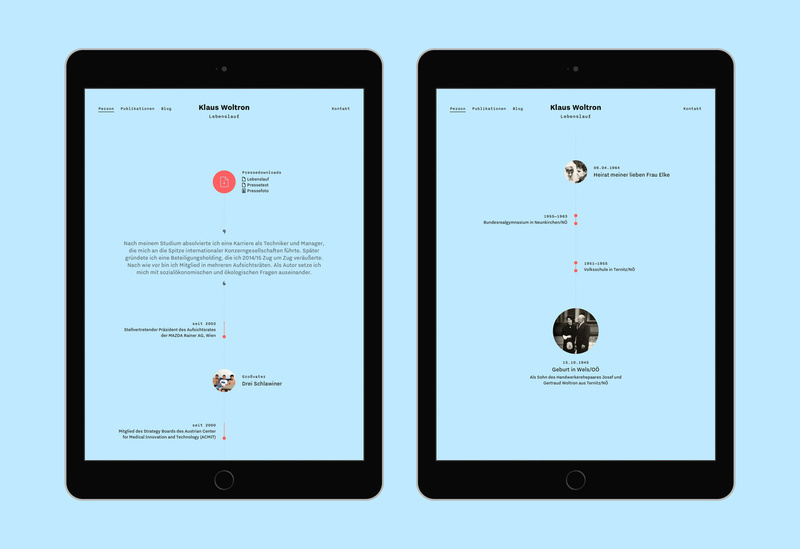 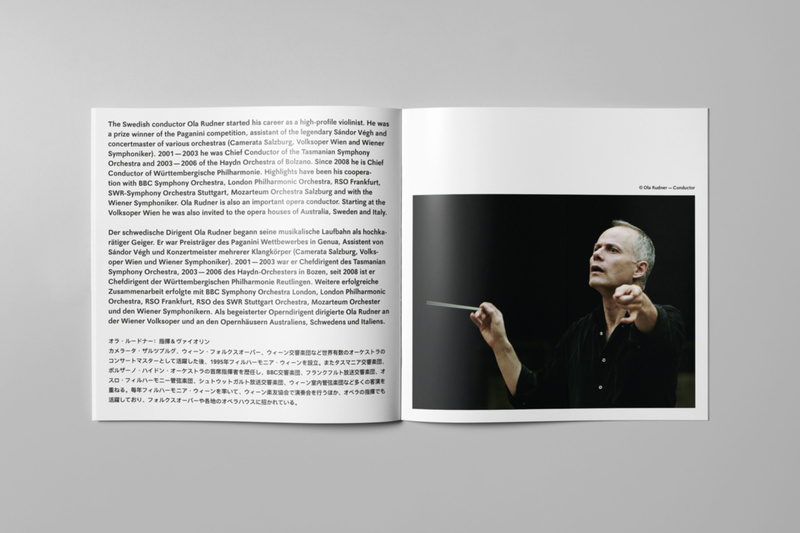 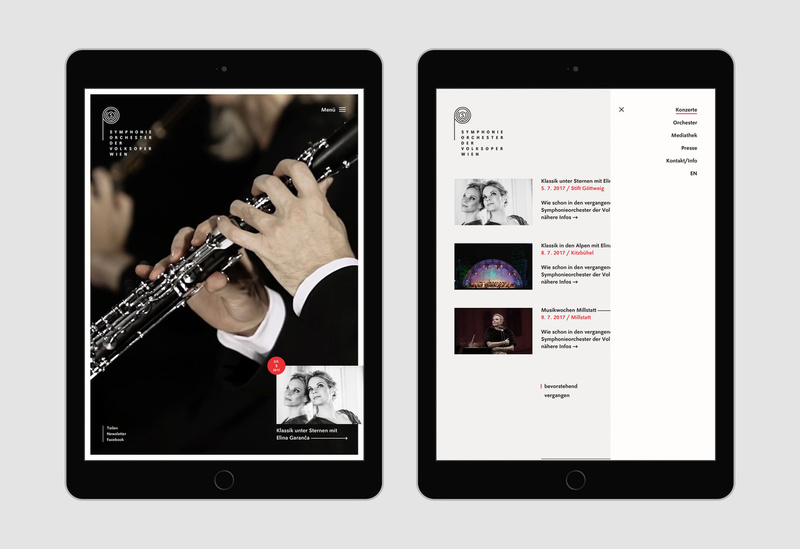 Lots of content — including profile pages of about 100 musicians — packed into a simple and timeless design. 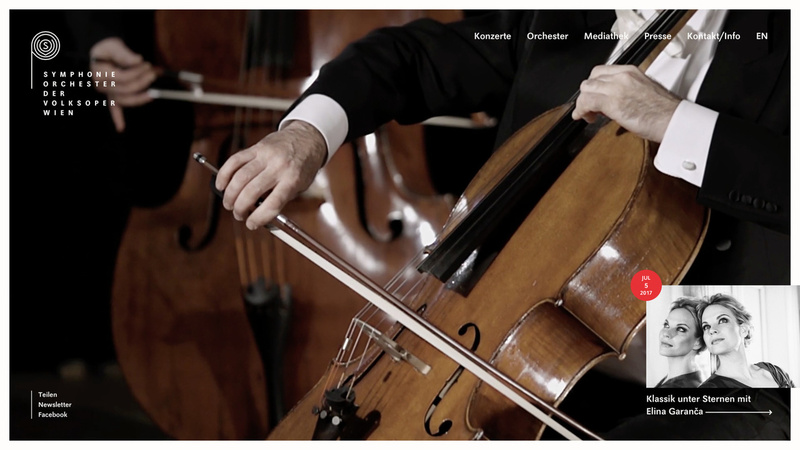 The slow motion videos on the start page convey a sense of the precision of professional musicians. 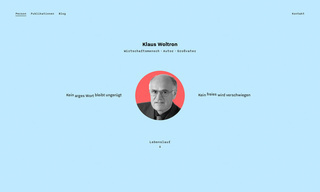 Website for economist and author Klaus Woltron. 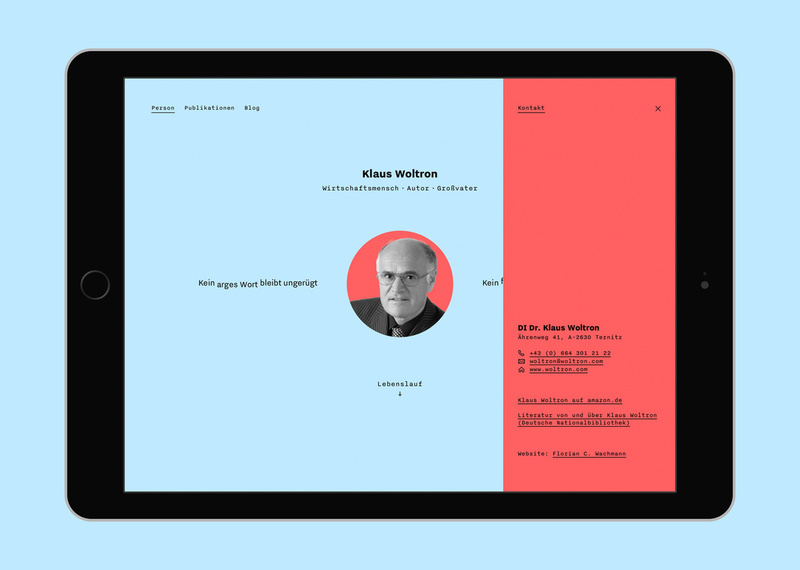 An interesting person with an interesting CV, that deserves to be presented prominently. 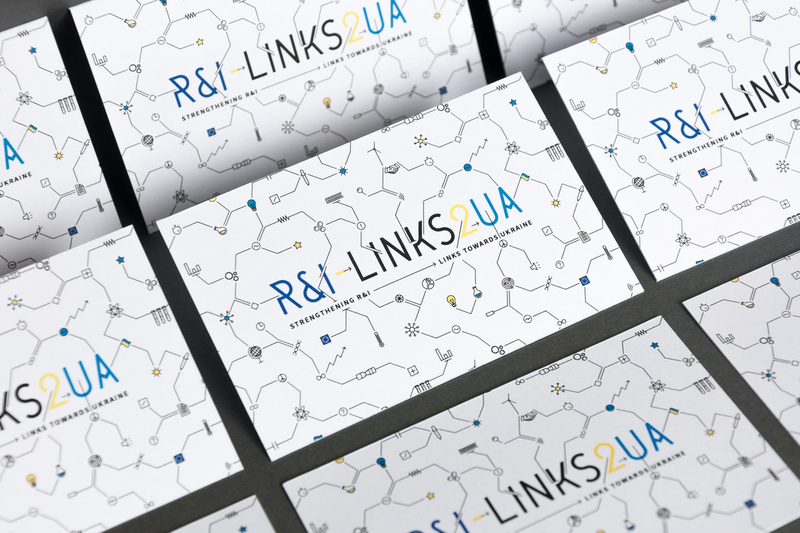 In order to promote the website, I also designed the business card. 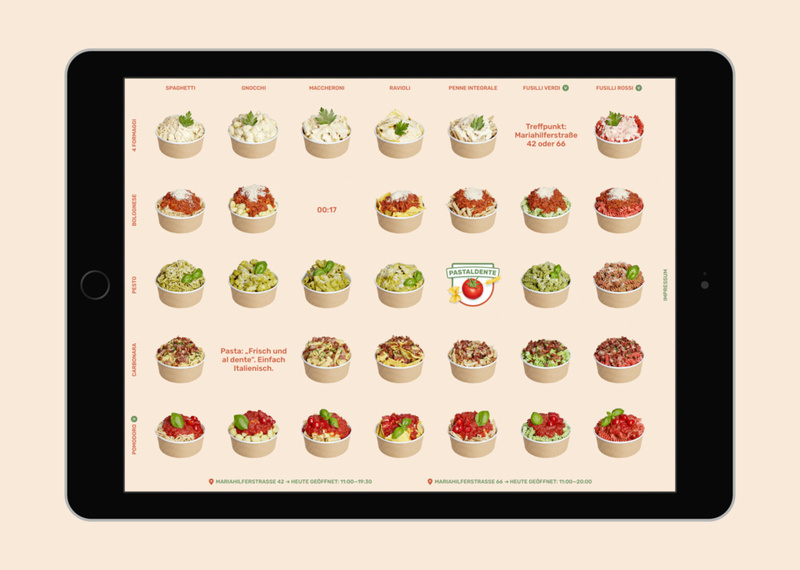 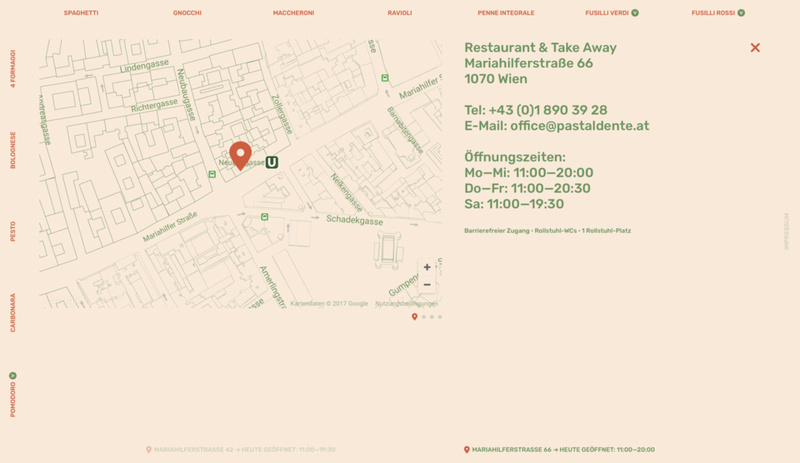 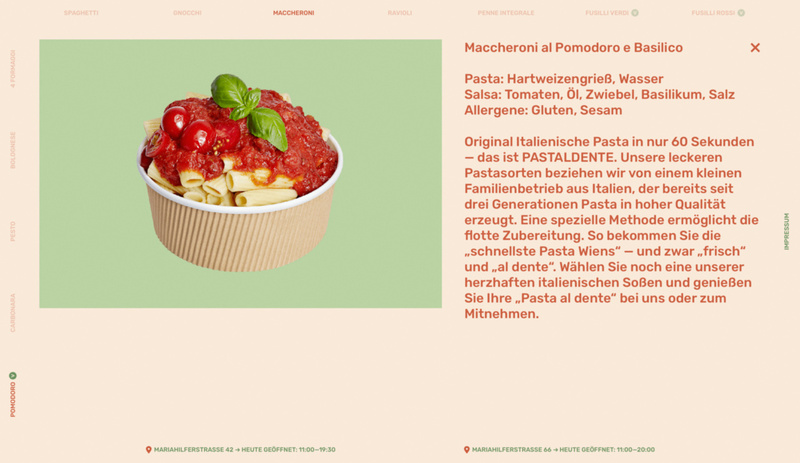 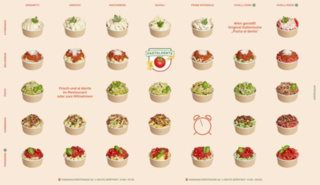 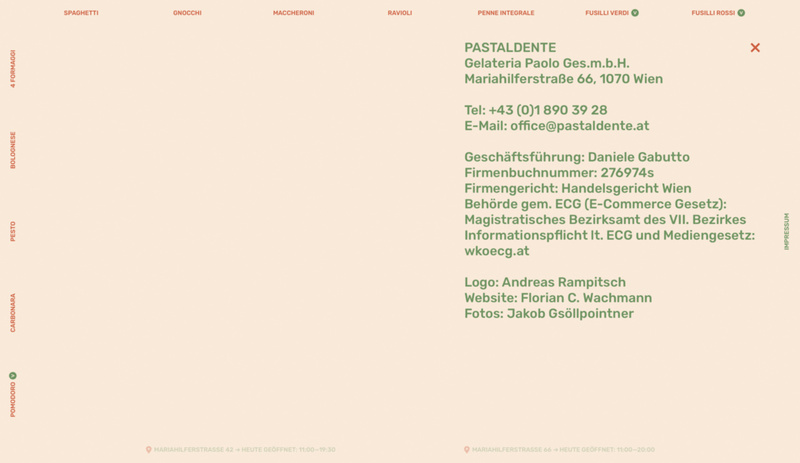 Website for Pastaldente, an Italian street food restaurant in Vienna. 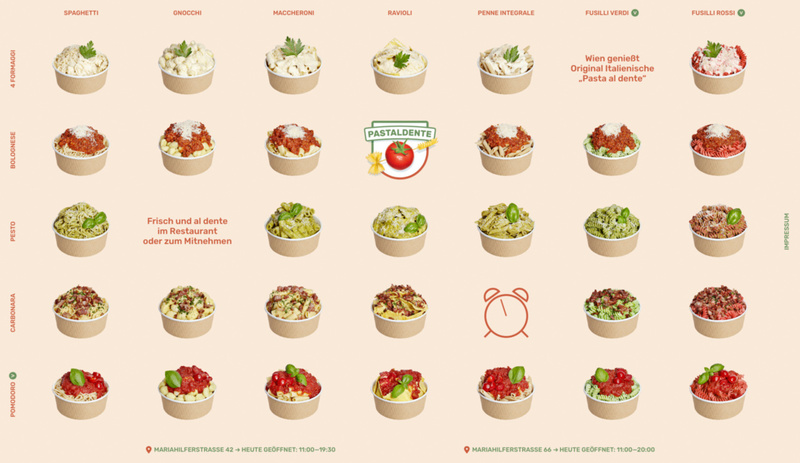 Original Italian “Pasta al dente” topped with delicious traditional sauces as takeaway. 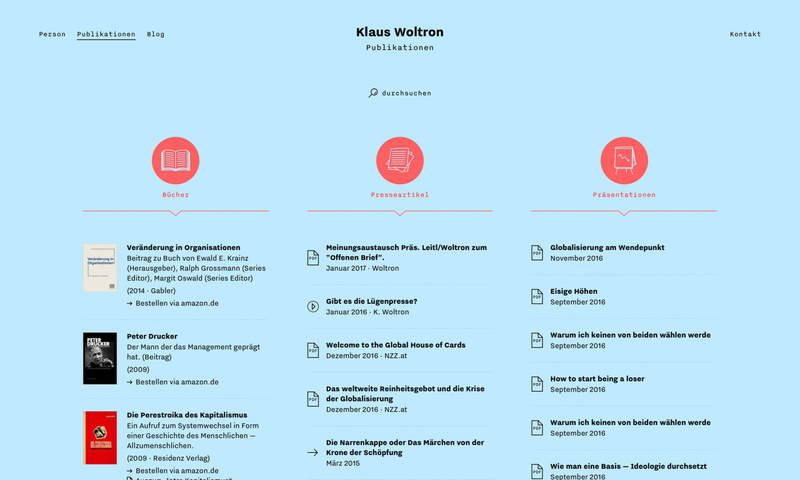 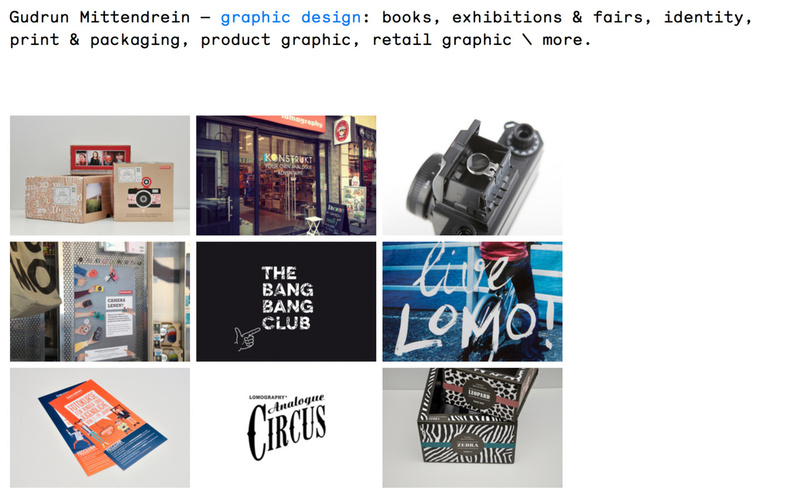 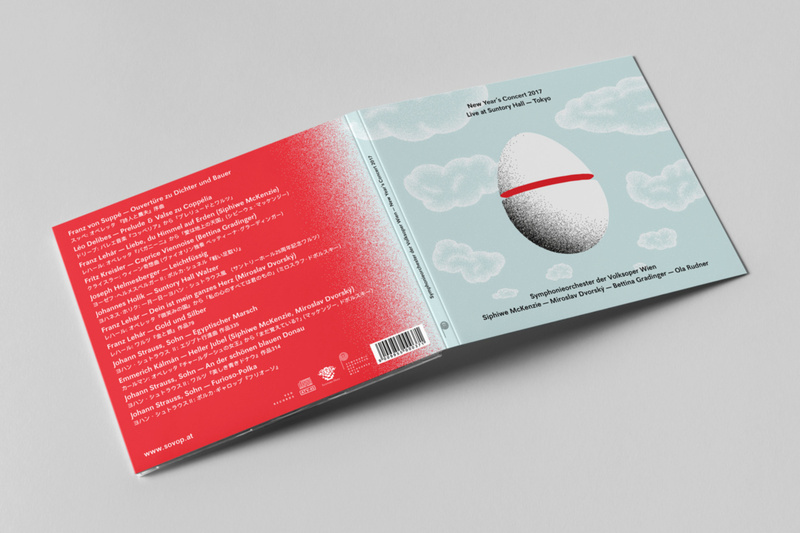 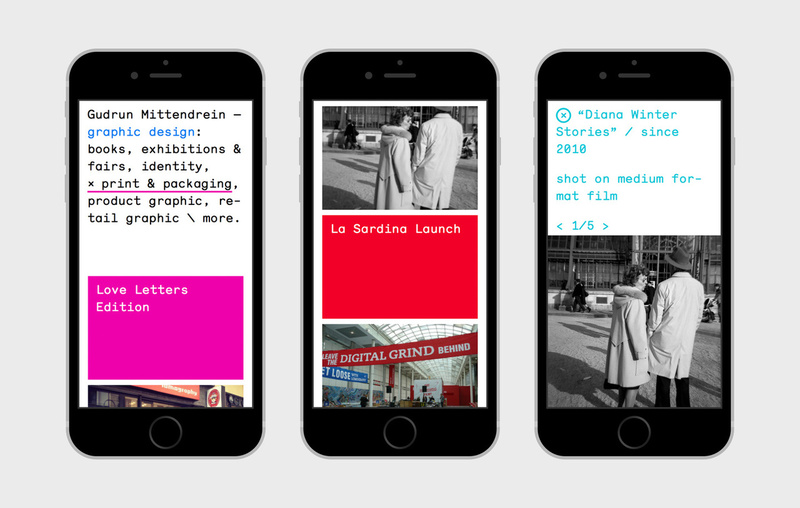 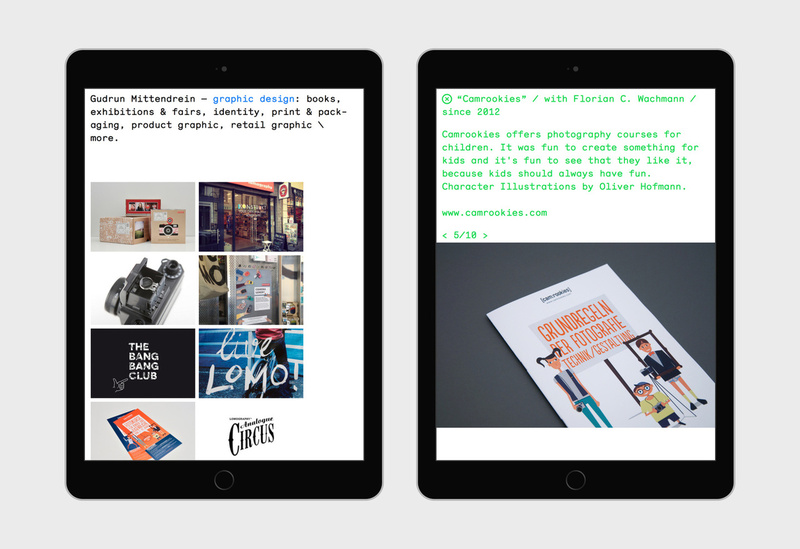 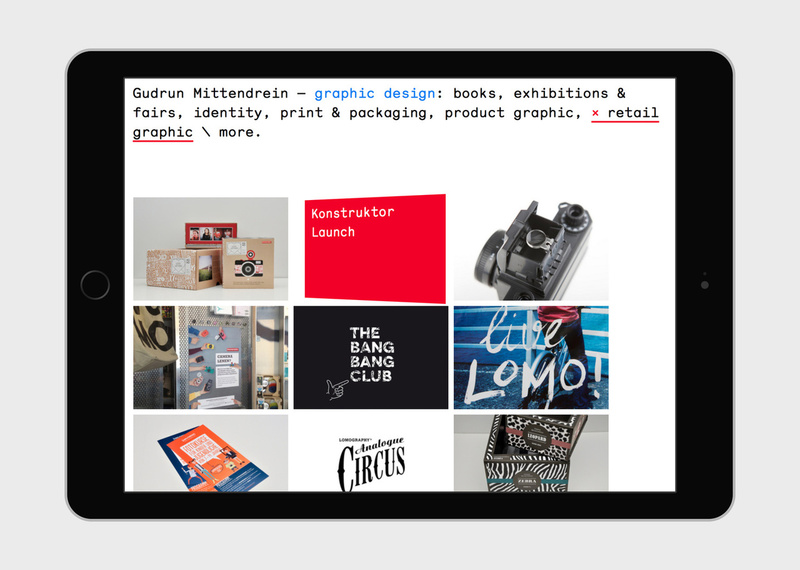 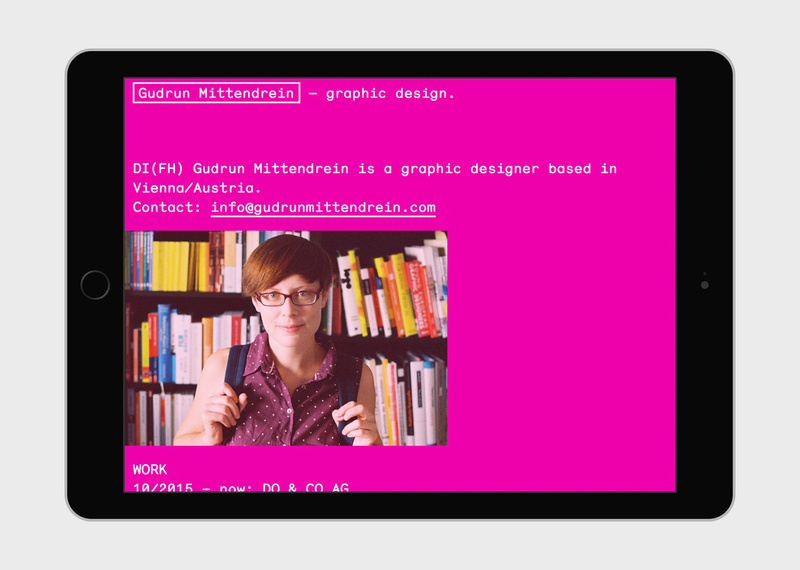 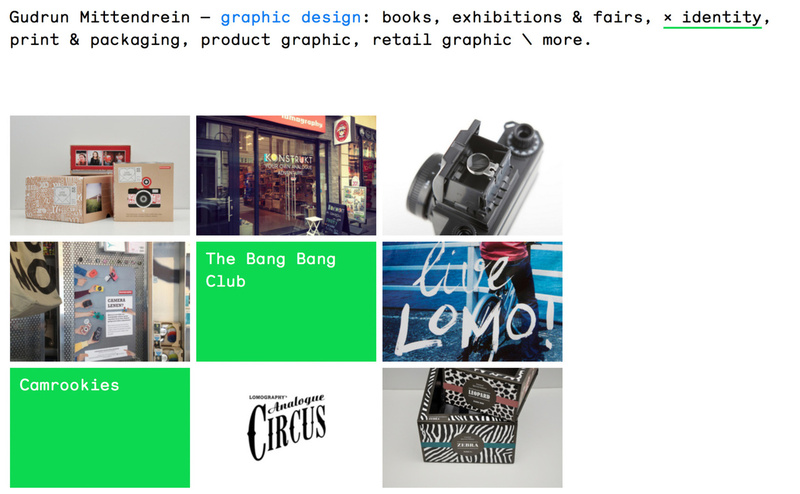 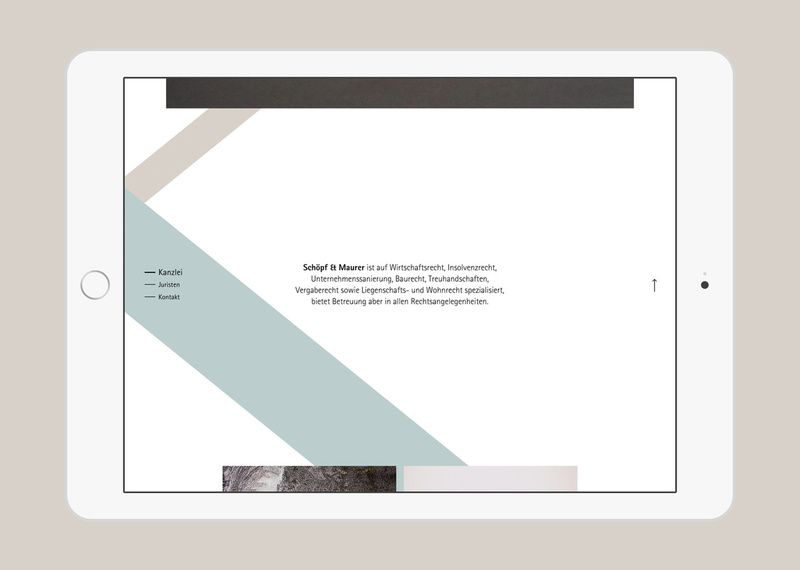 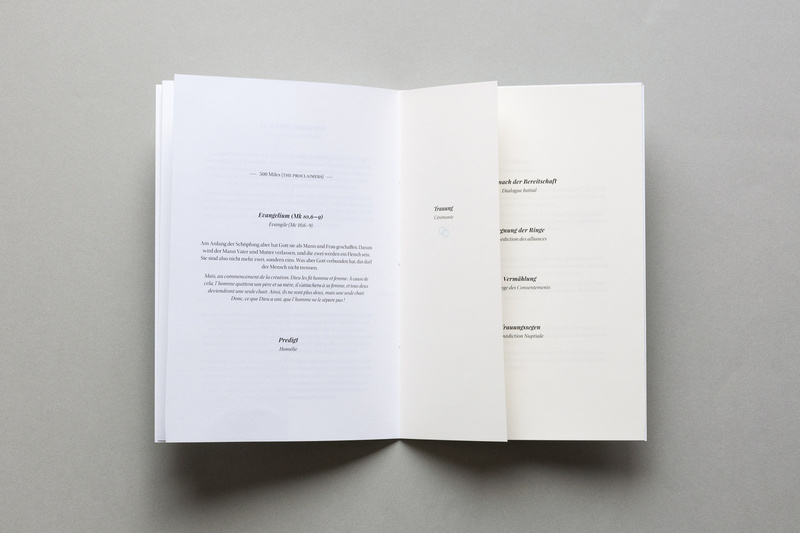 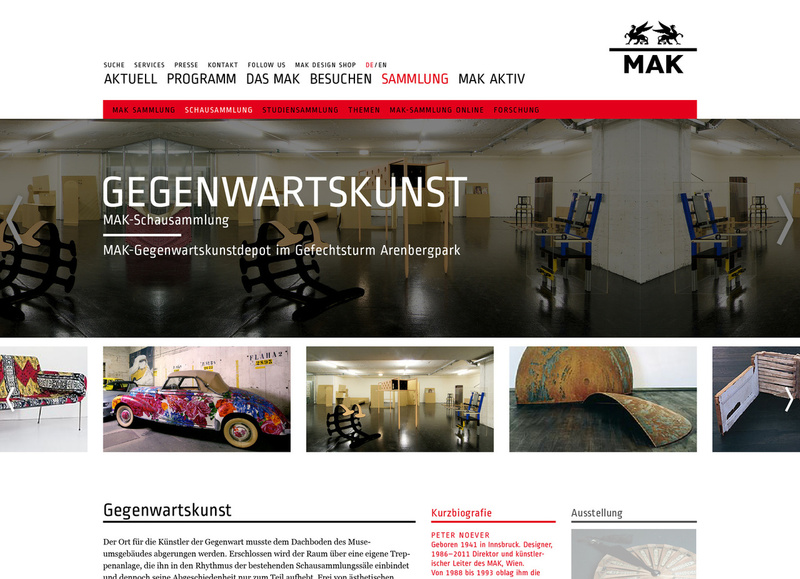 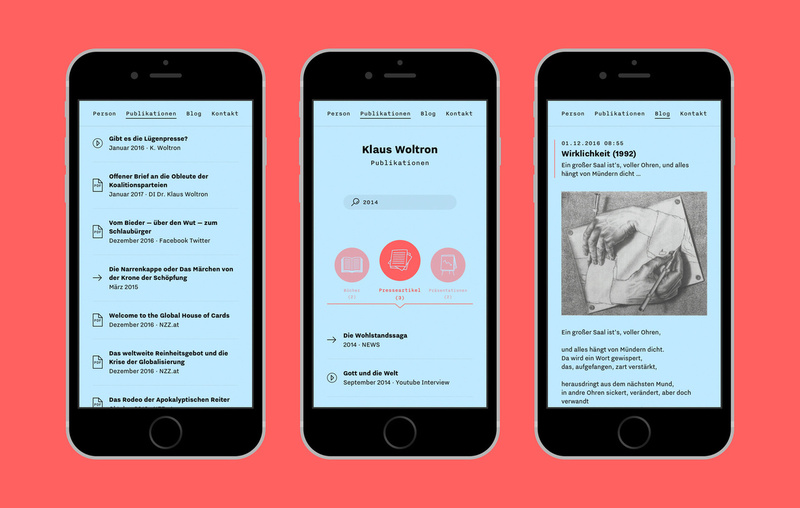 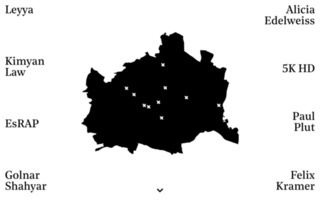 Website for the Viennese based graphic designer Gudrun Mittendrein. 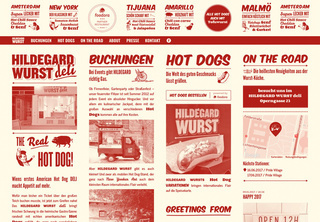 The site focuses on her great work in a simple and clear way. 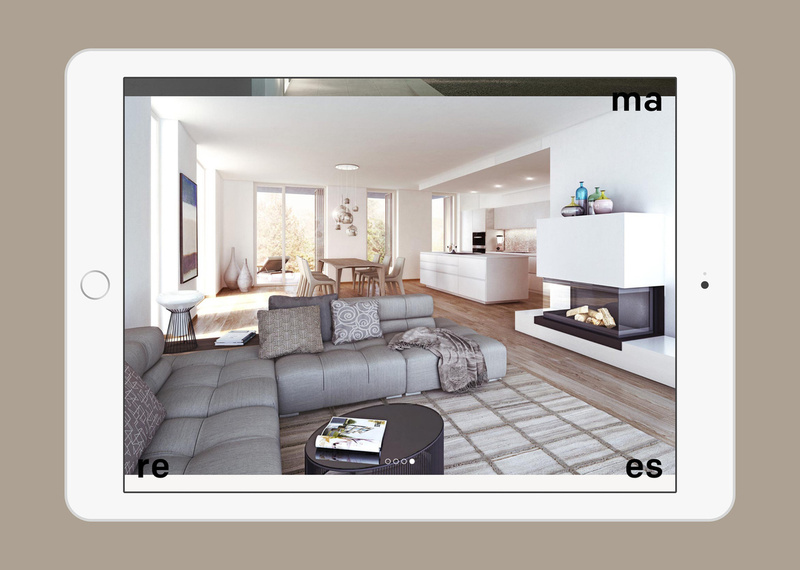 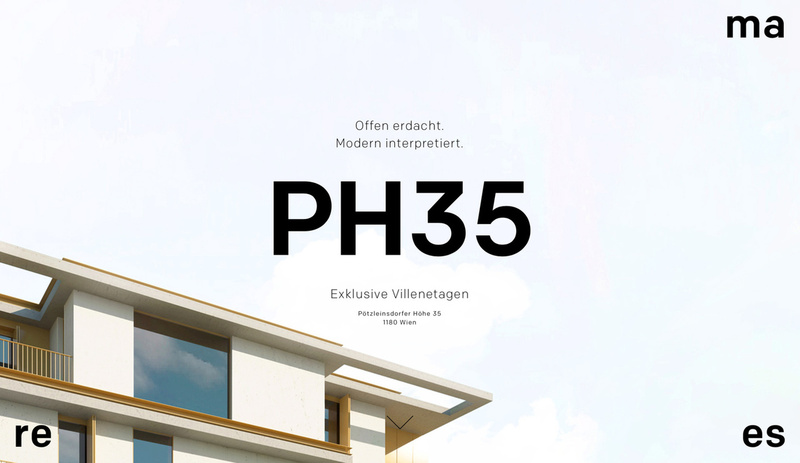 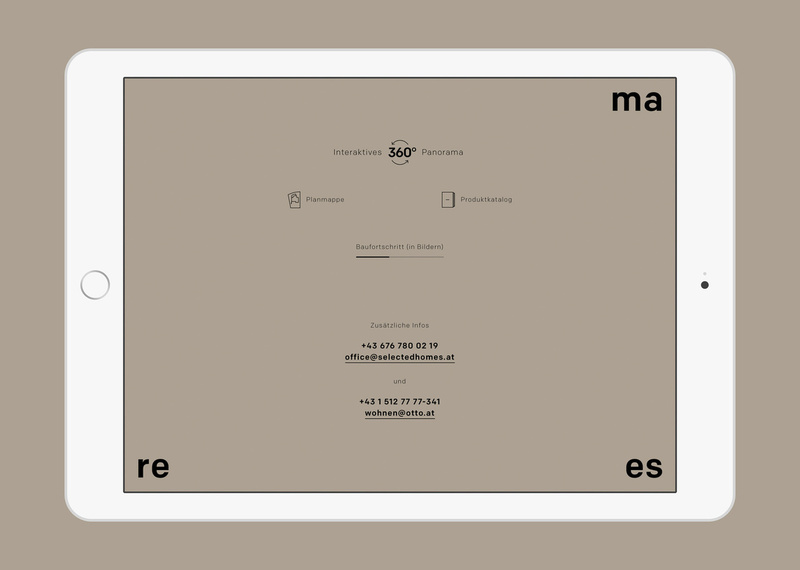 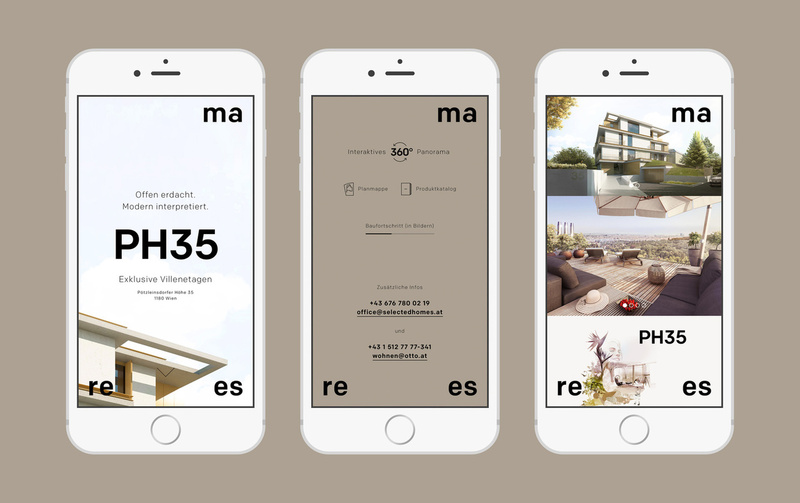 Website for a building project of the Viennese real estate company “marees”. 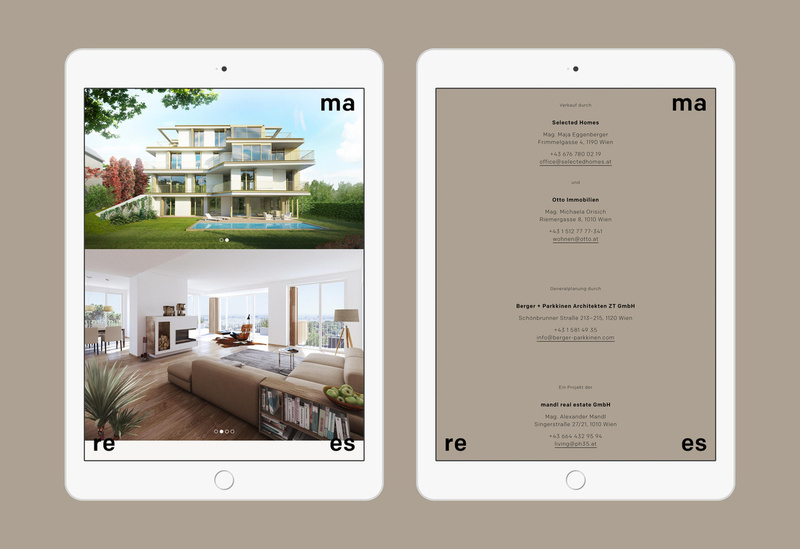 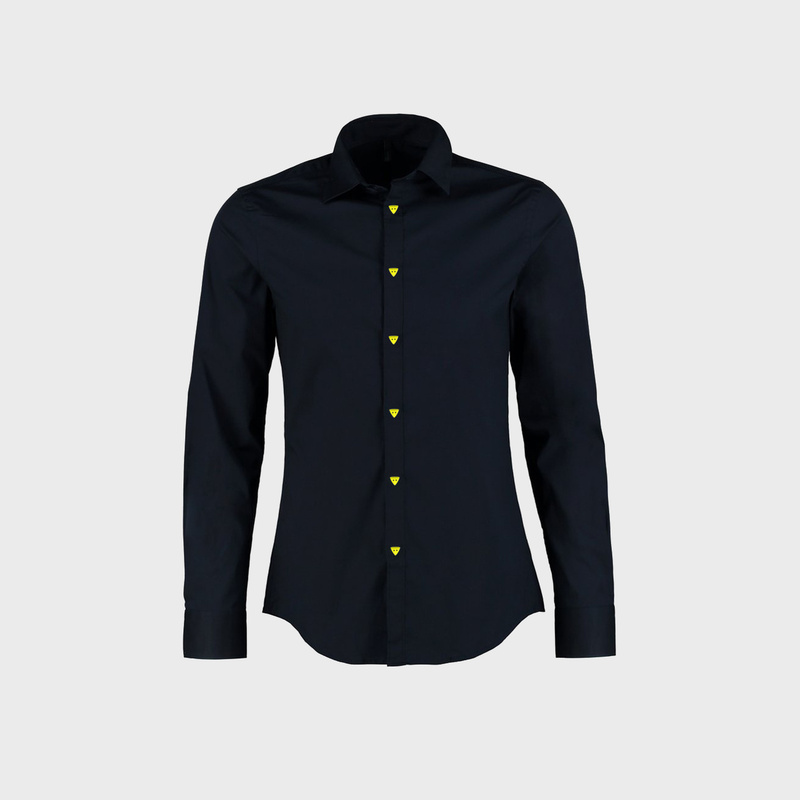 A simple microsite containing all the necessary information and visualisations for interested buyers. 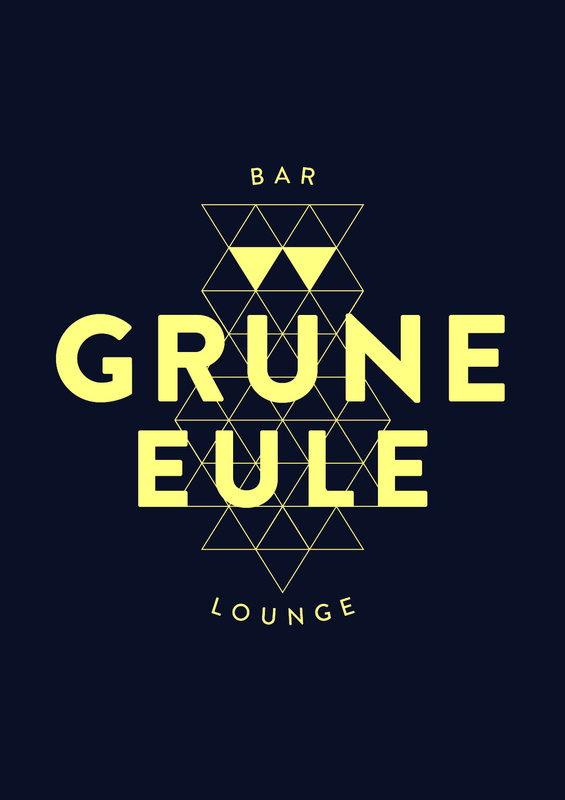 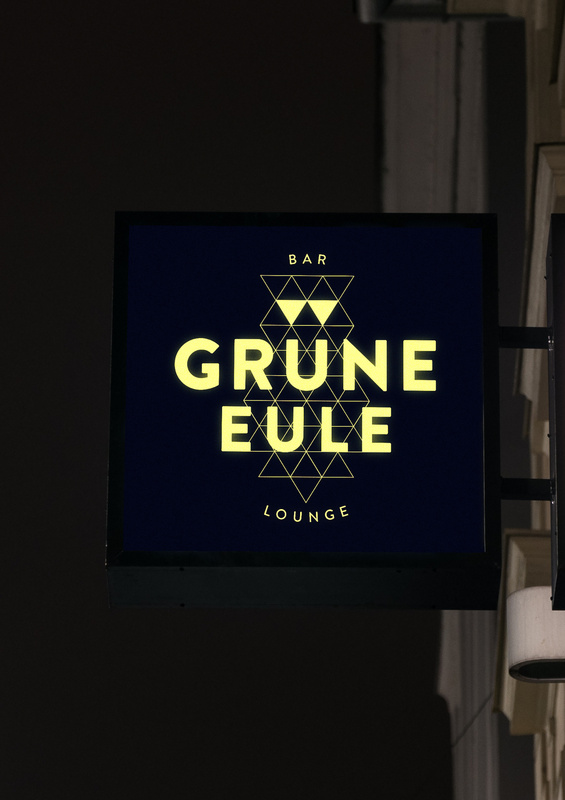 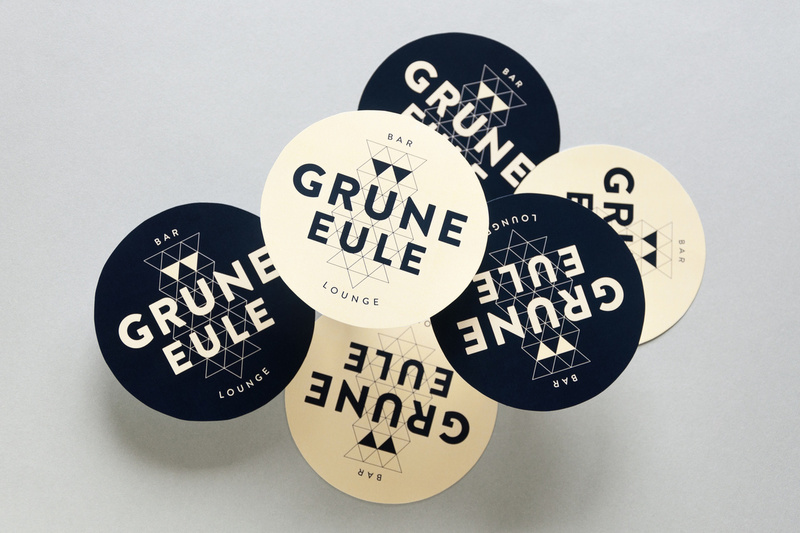 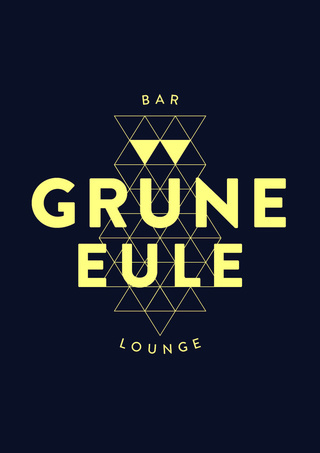 Visual Identity for a bar called “Grüne Eule” (“Green Owl”). 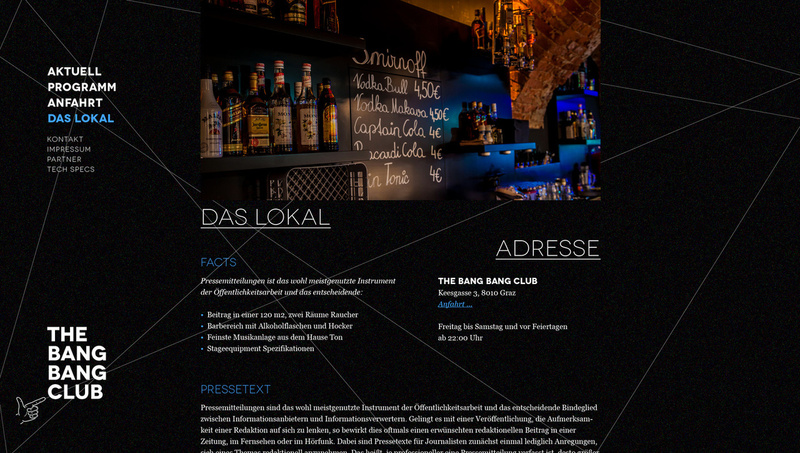 Unfortunately the bar never opened its doors, nevertheless I really enjoyed working on this project. 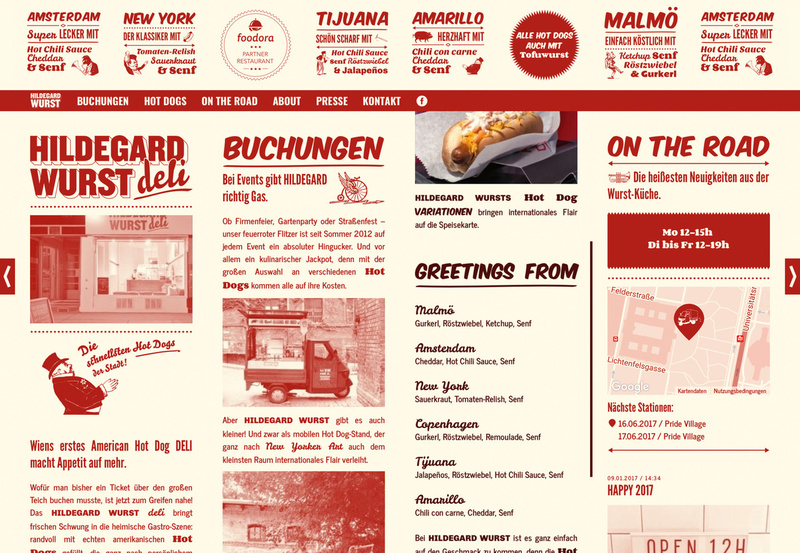 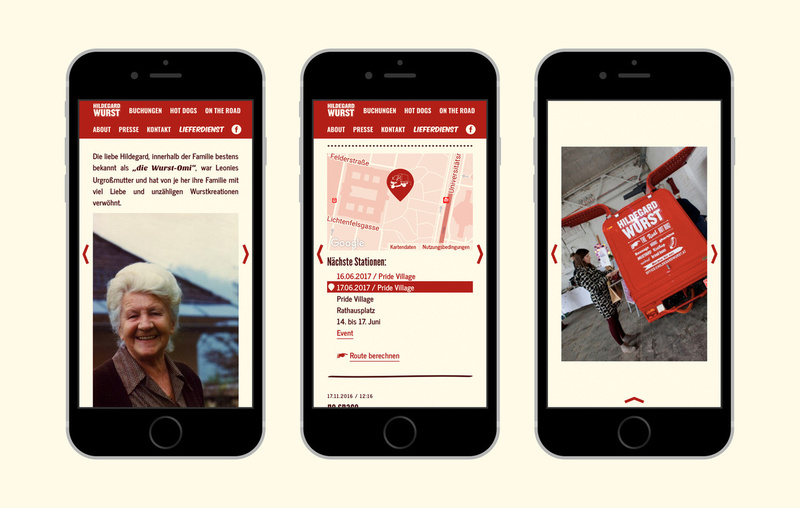 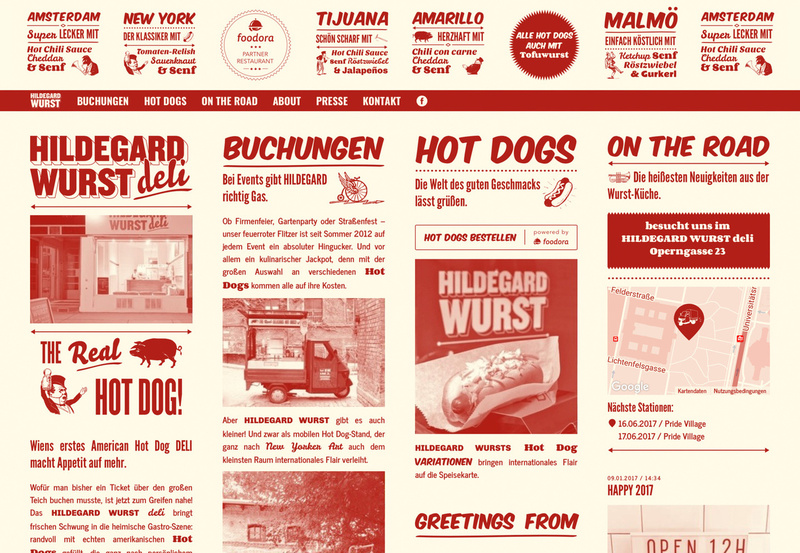 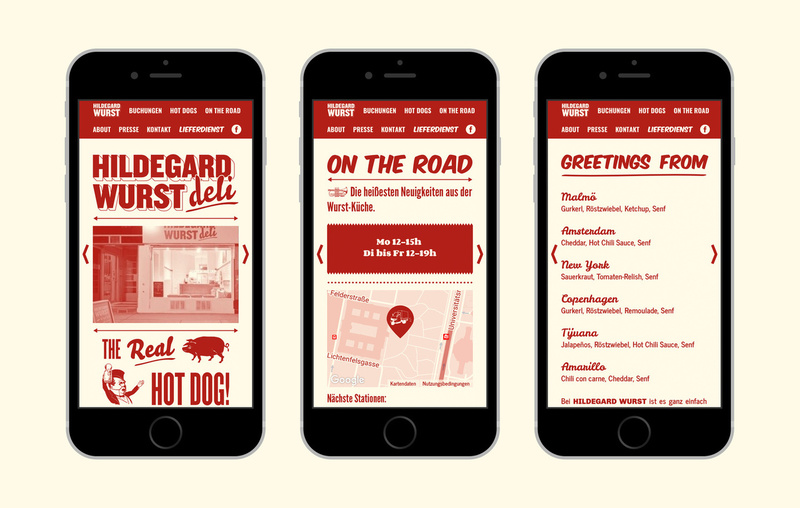 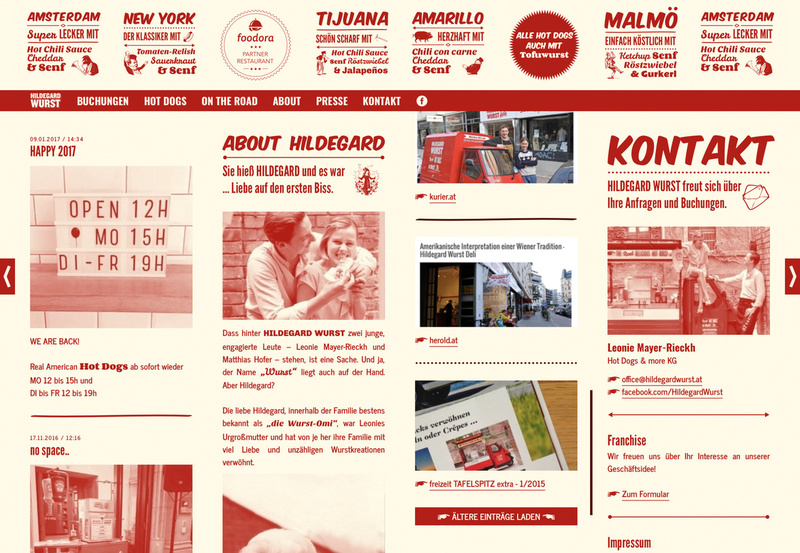 Website for “Hildegard Wurst”, a mobile hot dog stand and in the meantime also a nice little shop in Vienna. 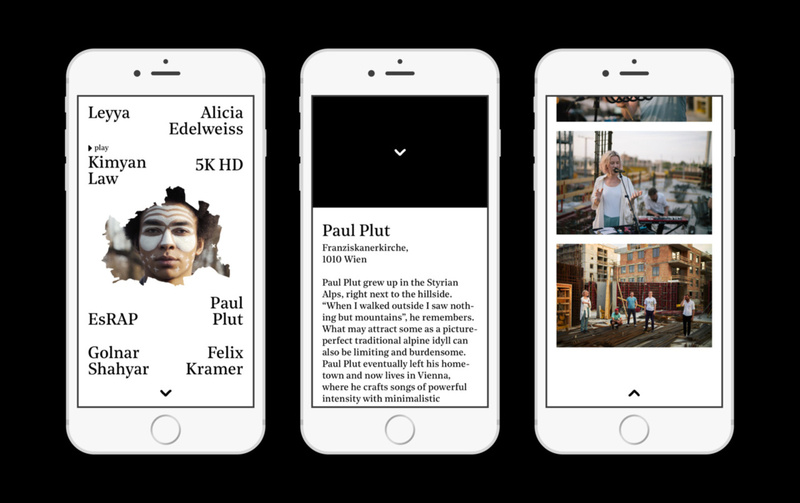 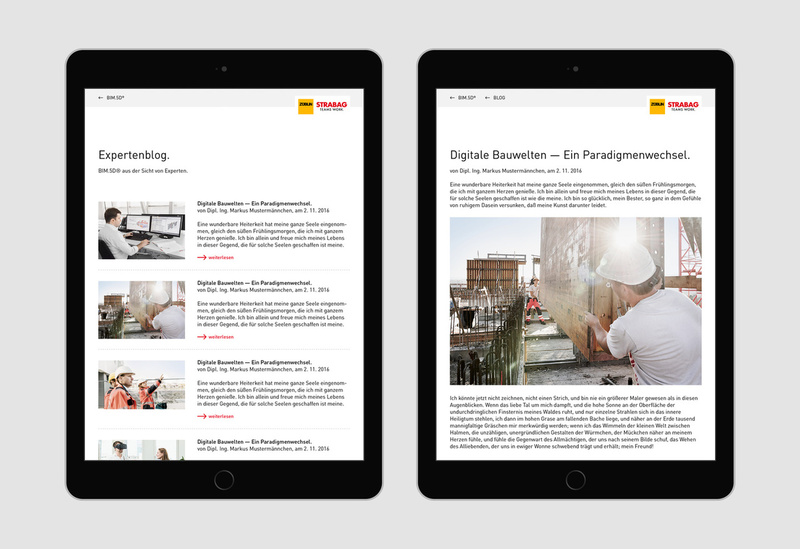 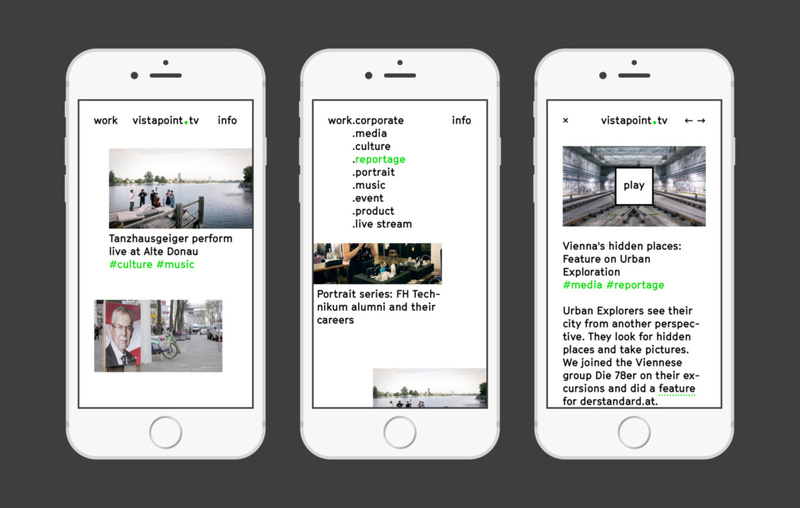 The concept of this column layout, inspired by newspaper grid systems, performs perfectly on desktop as well as on mobile browsers. 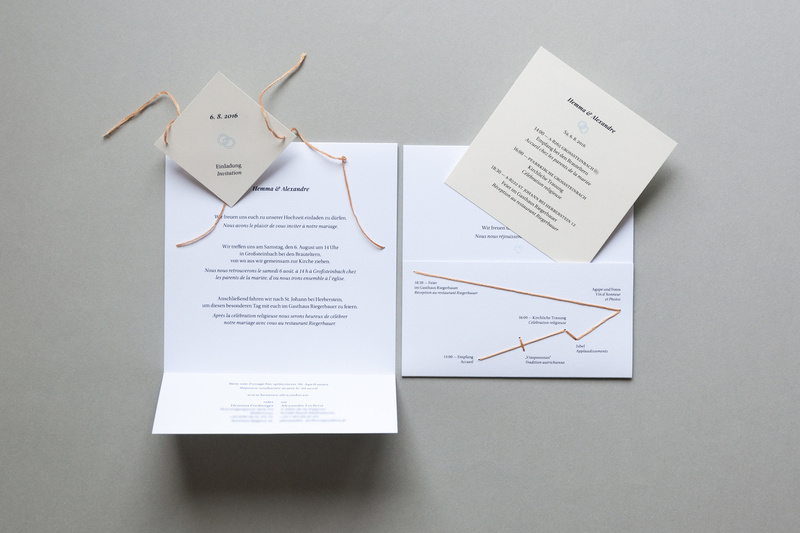 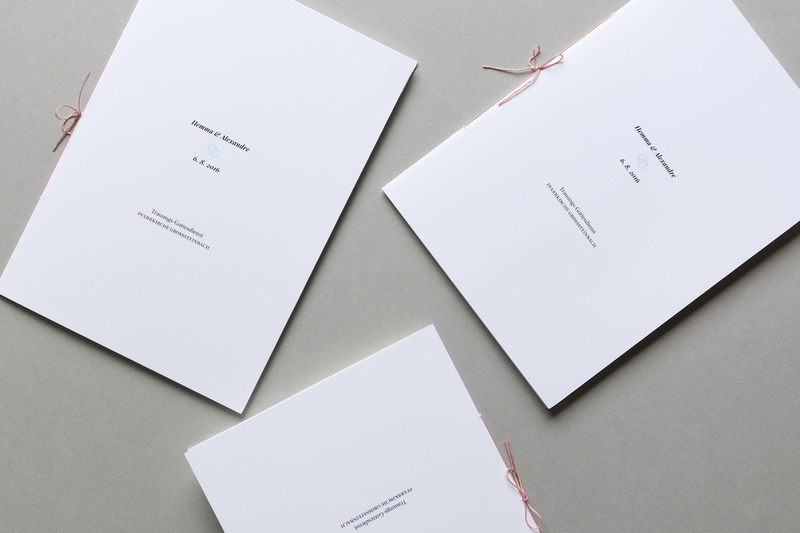 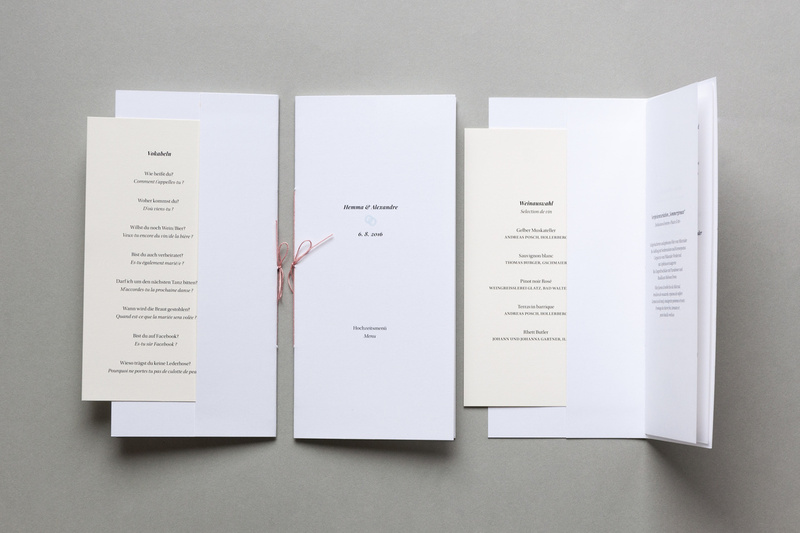 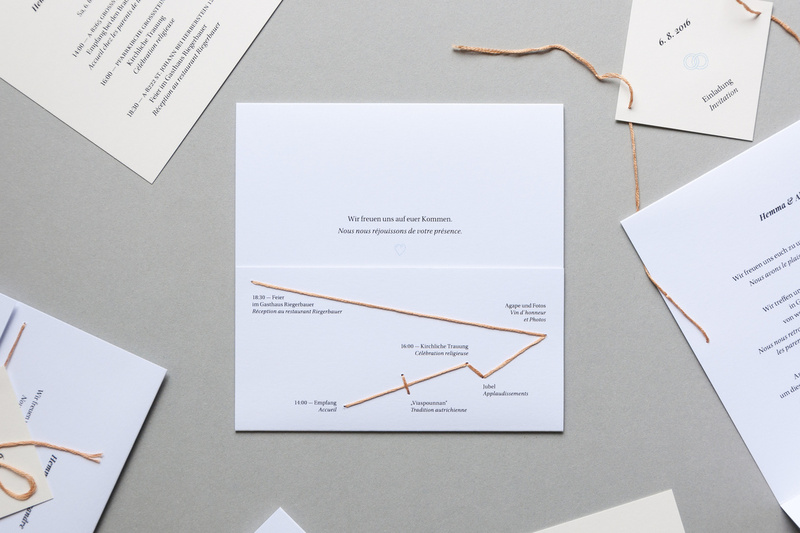 Print design for the wedding of Hemma and Alexandre. 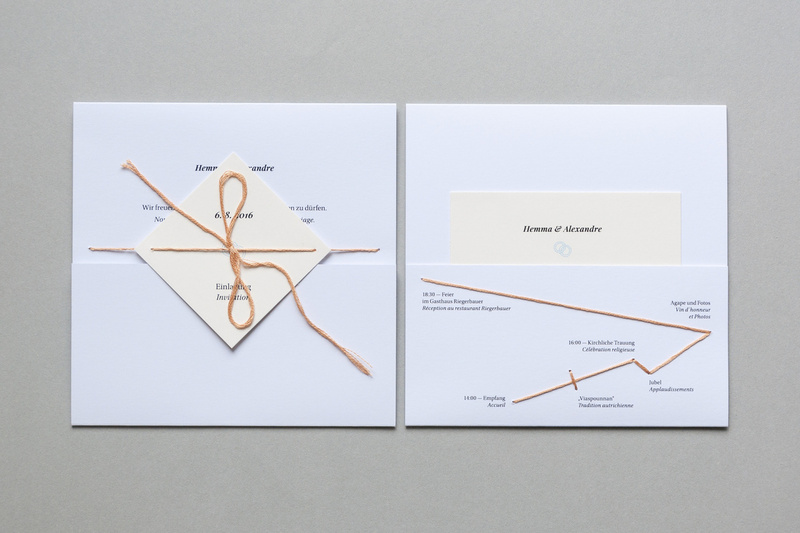 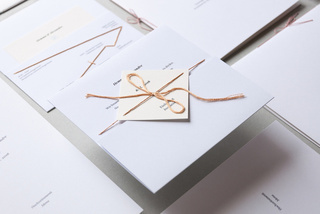 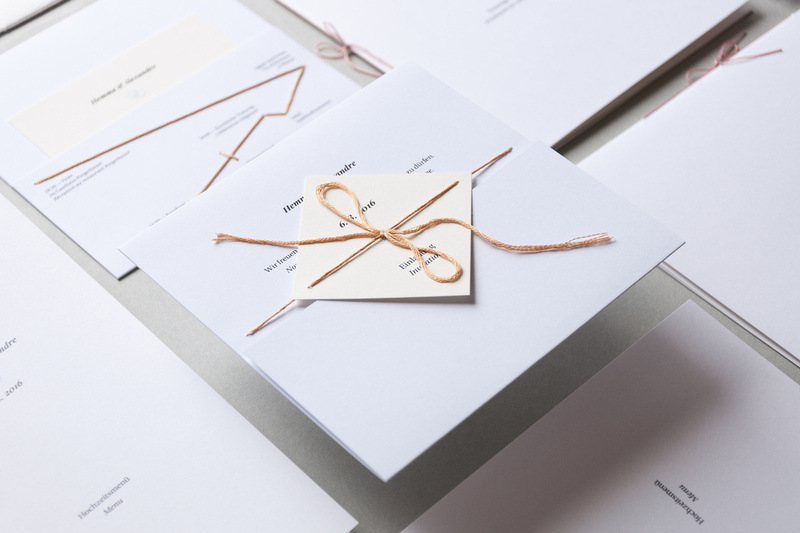 Because it was an Austrian-French wedding, it was nice to play with this bilingualism in our design as well. 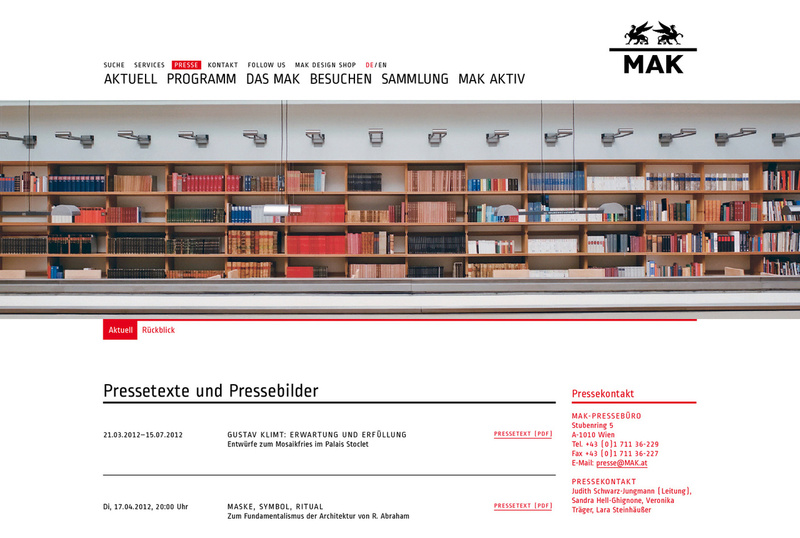 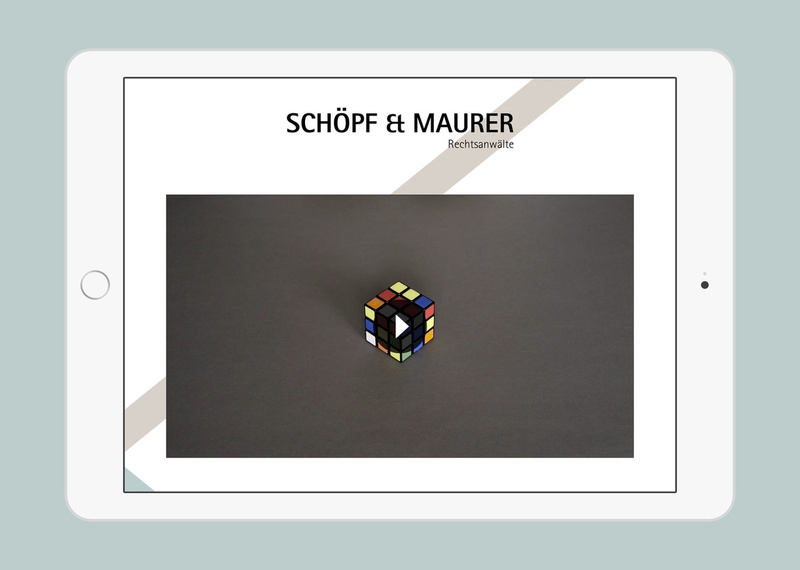 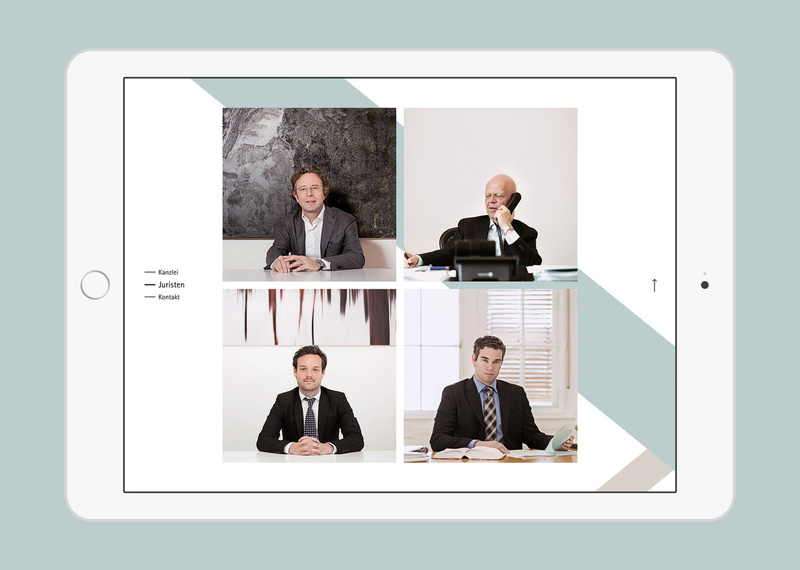 Video and website for the Salzburg based lawyers “Schöpf & Maurer”. 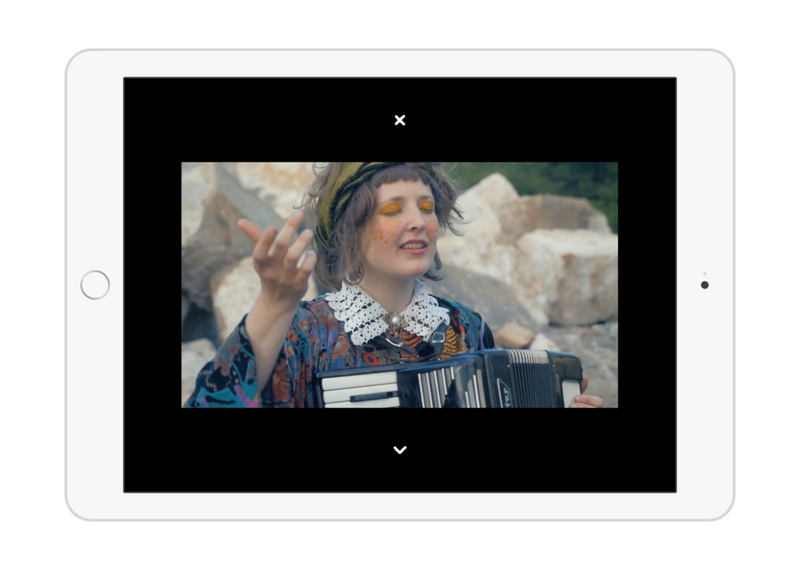 The video already existed, but it was necessary to re-produce it in high quality and with a better setting. 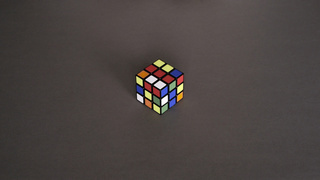 It took a couple of takes until the “Rubik’s Cube” was solved. 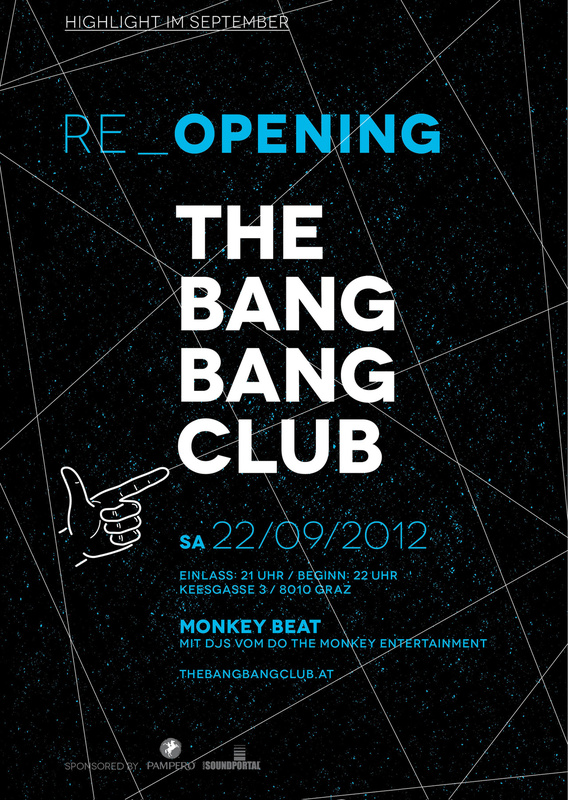 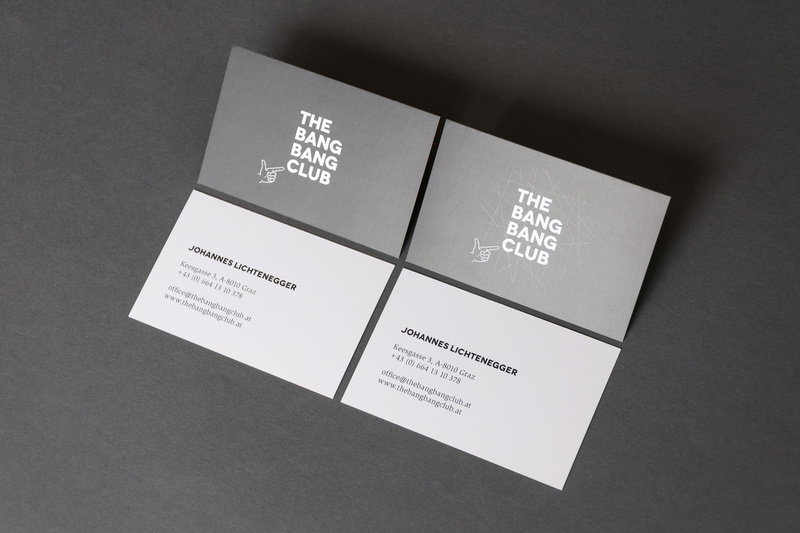 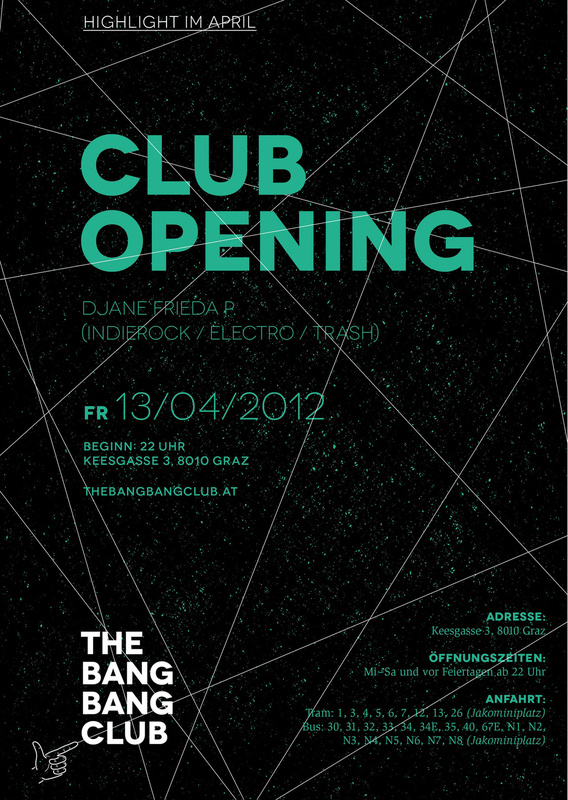 Visual Identity for “The Bang Bang Club”, a night club in Graz, Austria. 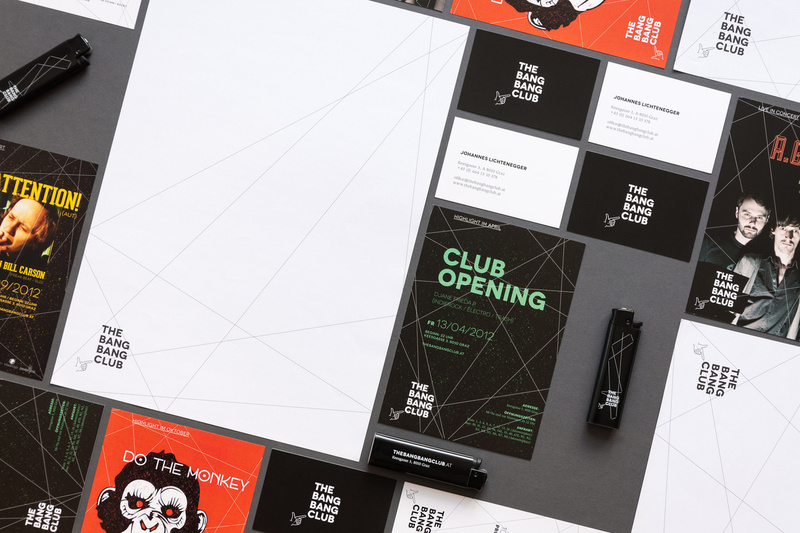 The strong value of brand recognition is based on the visual concept of the lines, which were newly generated each time. 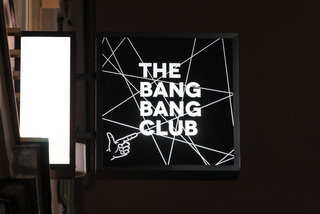 Unfortunately the night club doesn’t exist anymore. 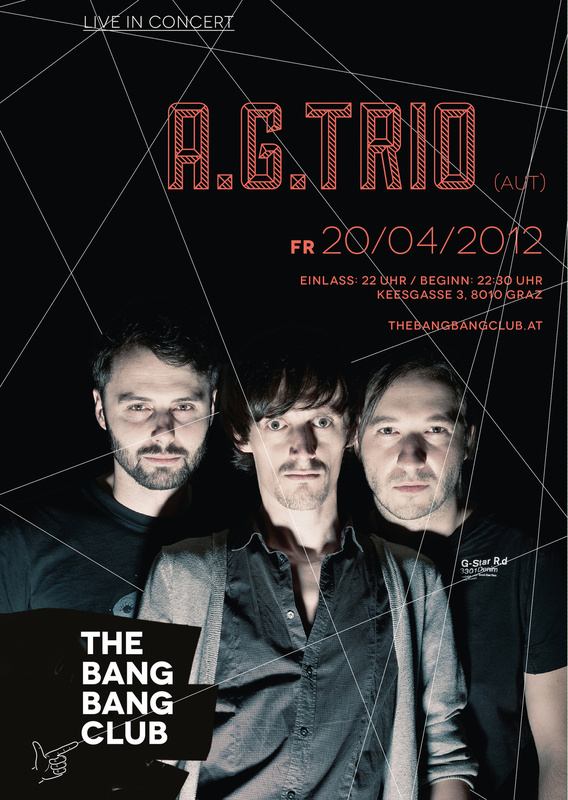 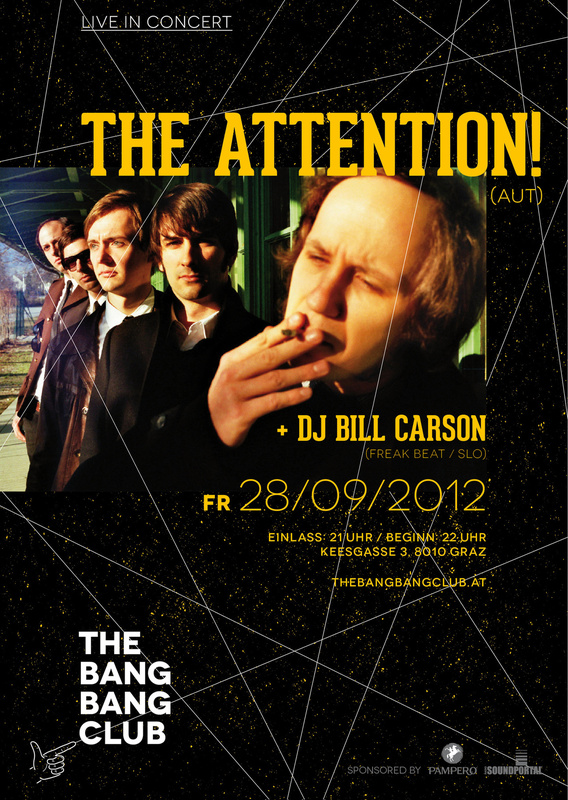 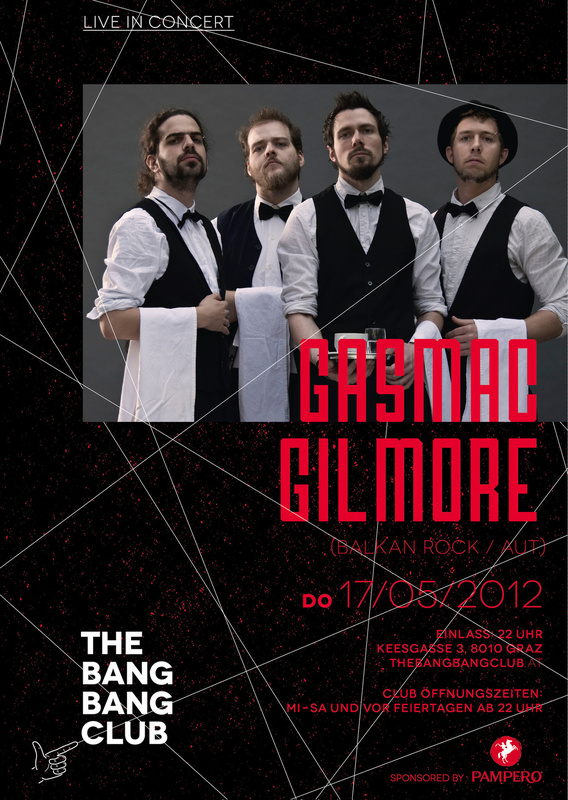 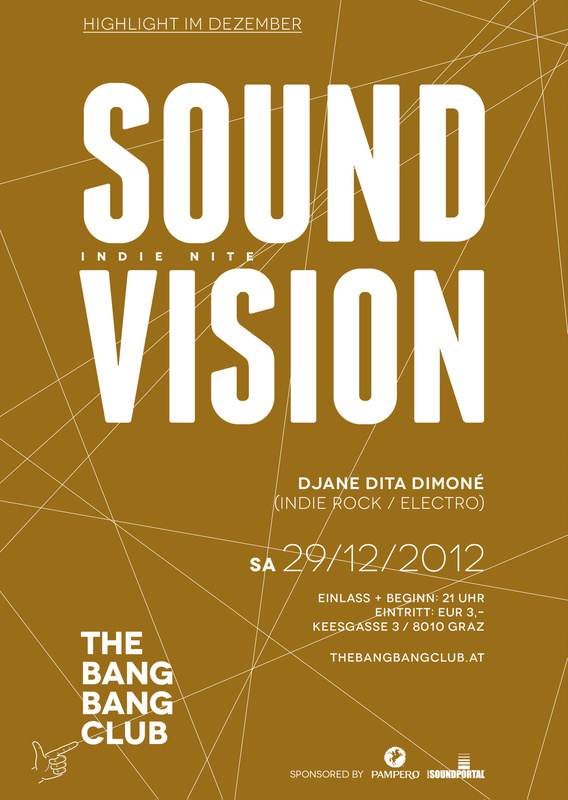 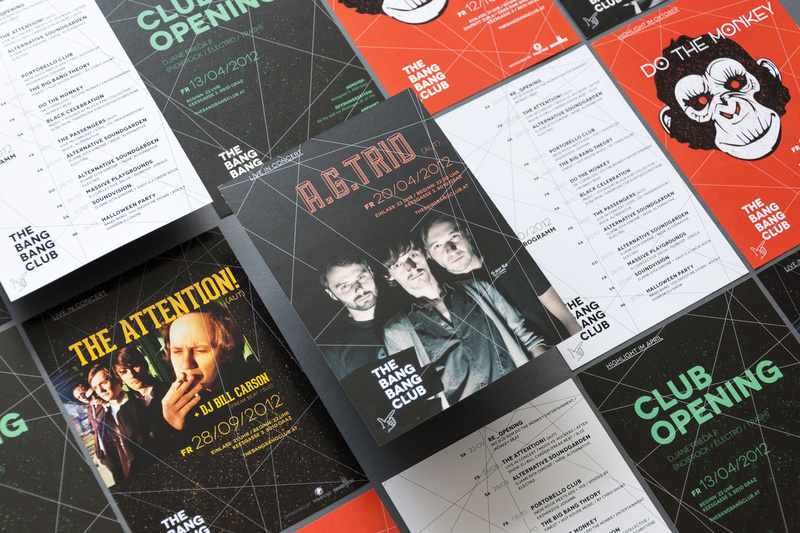 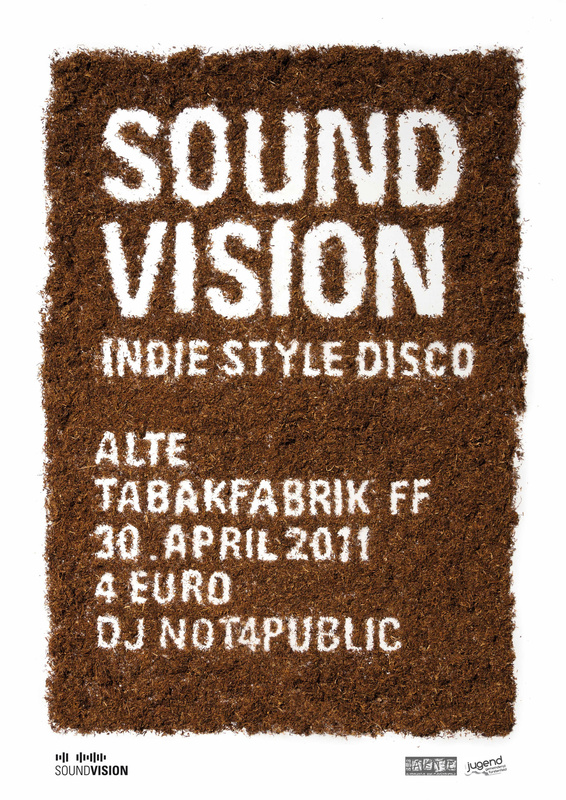 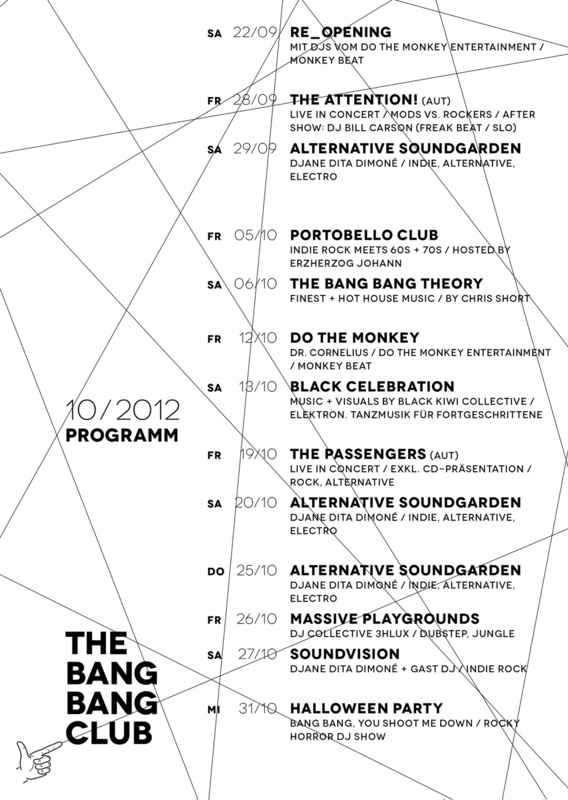 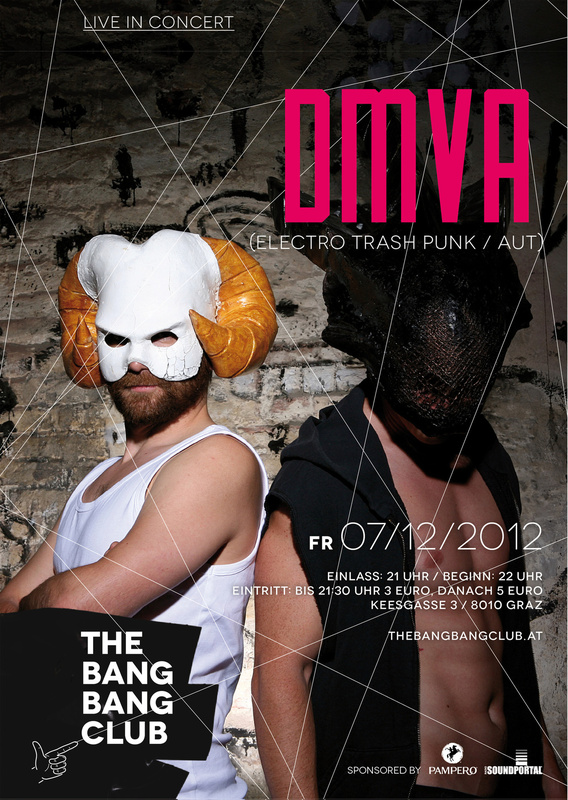 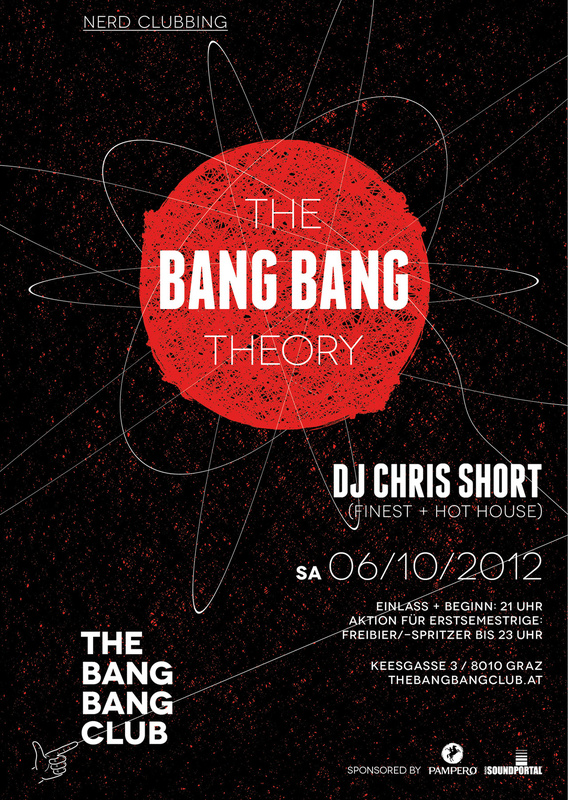 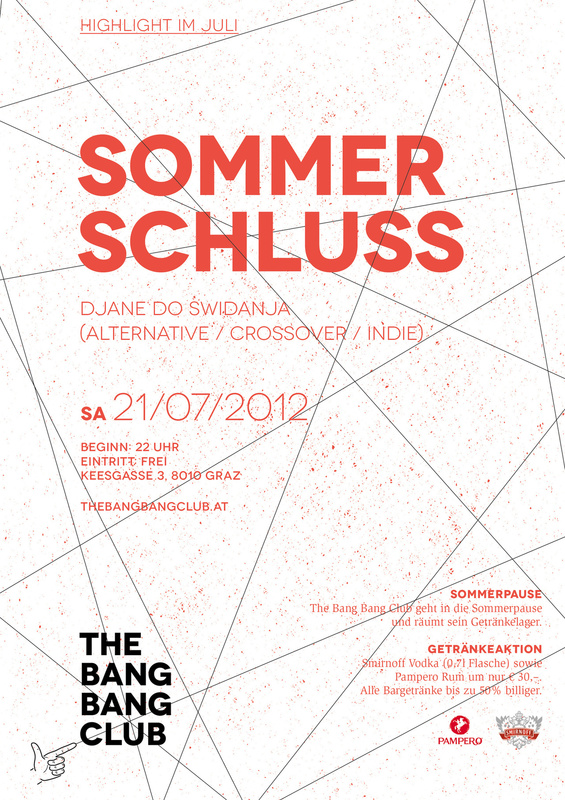 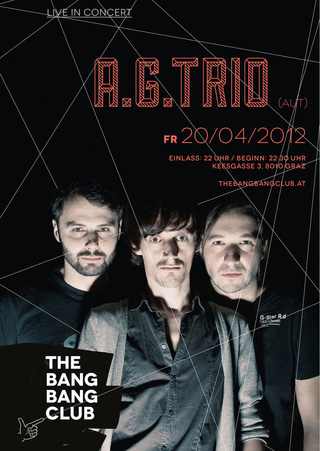 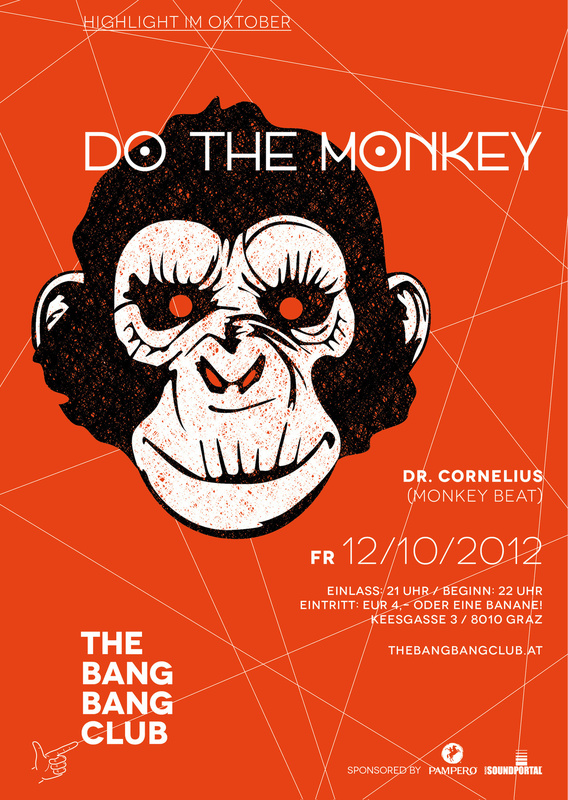 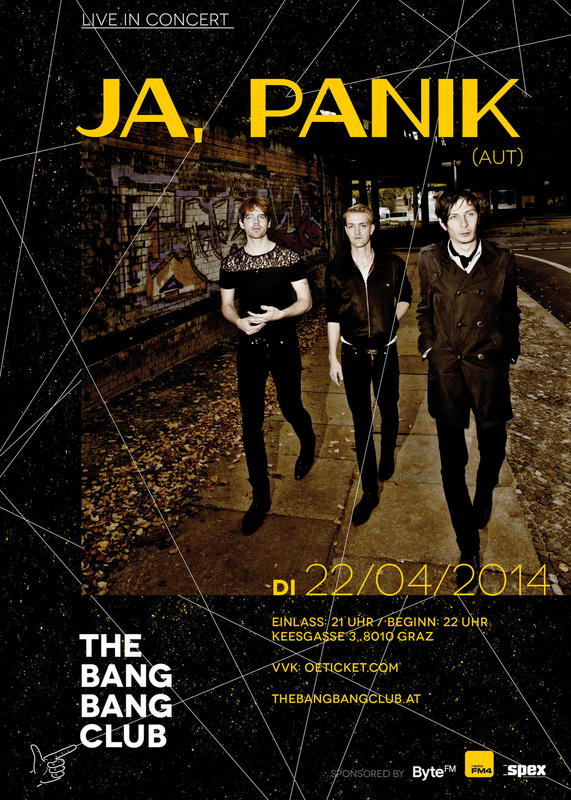 Poster series for various events at “The Bang Bang Club” in Graz, Austria. 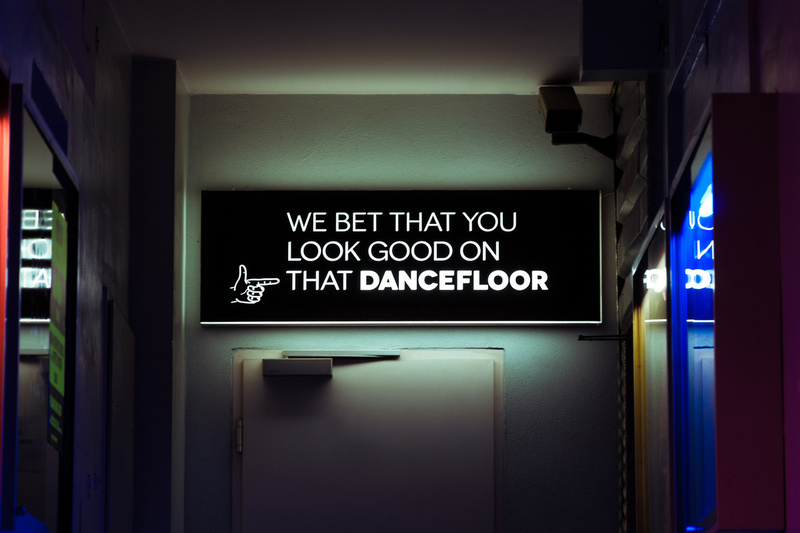 Unfortunately the night club doesn’t exist anymore. 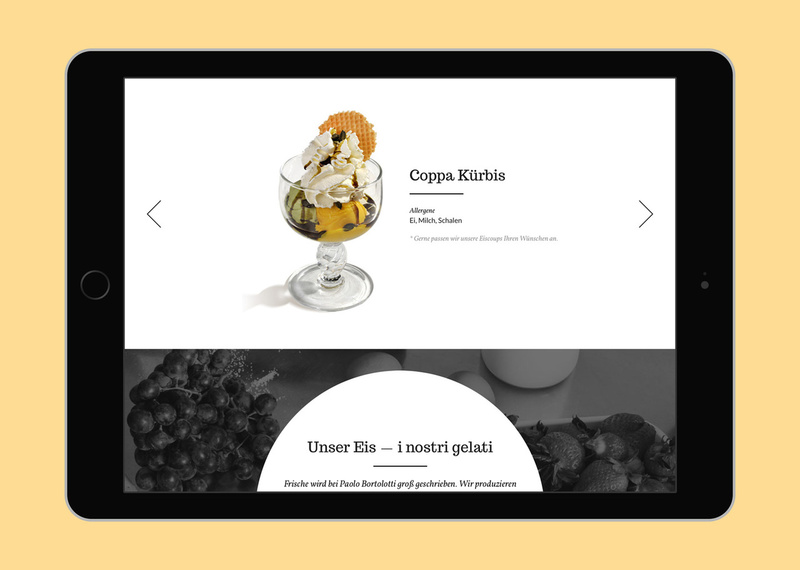 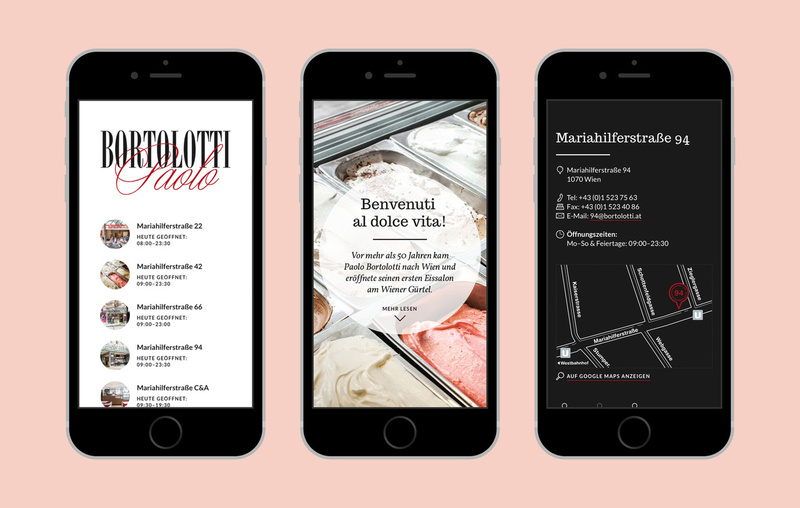 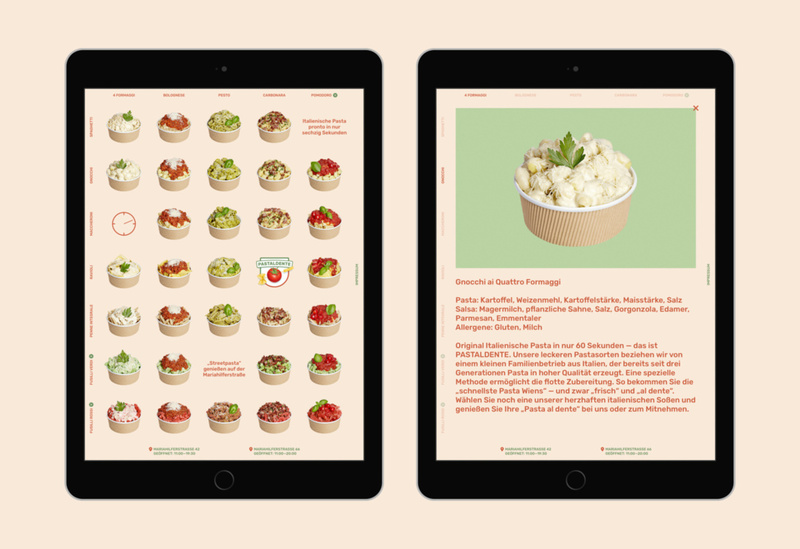 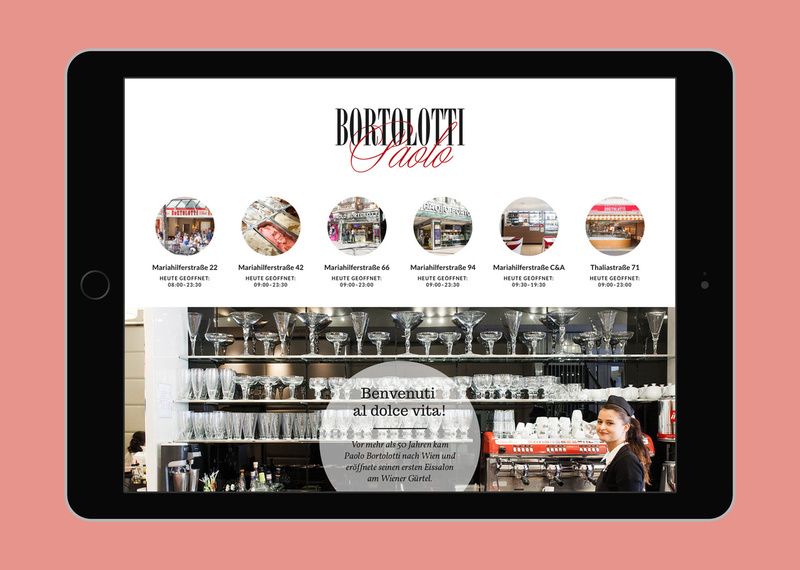 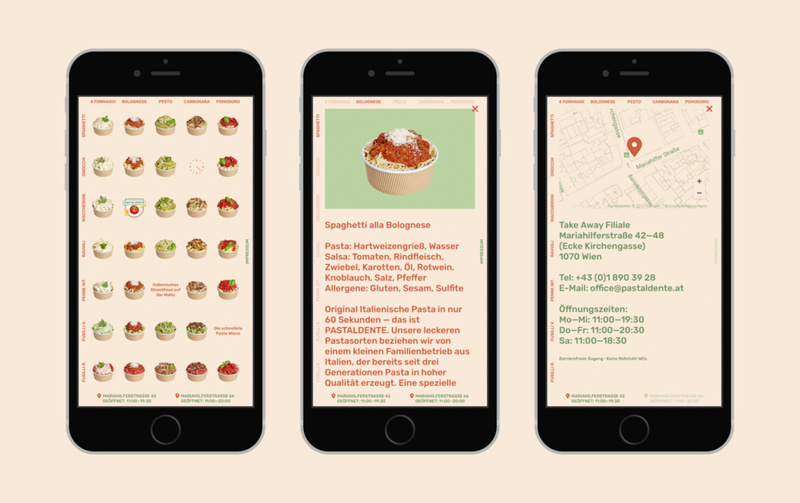 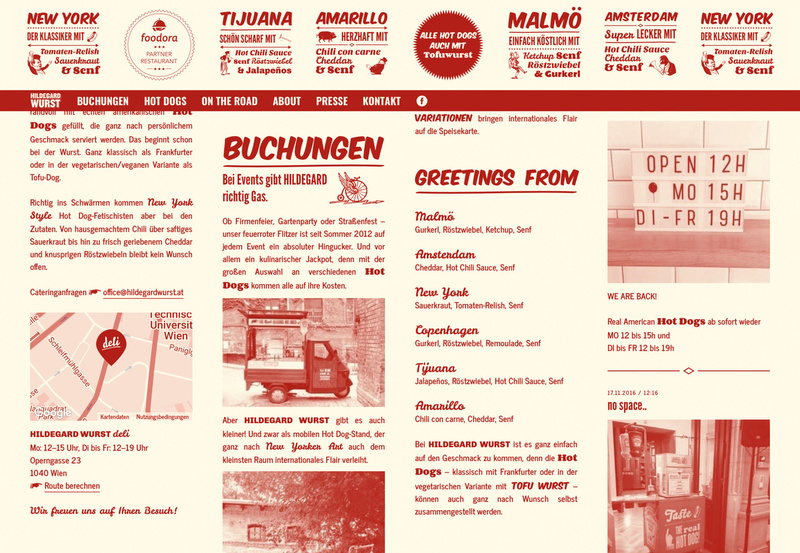 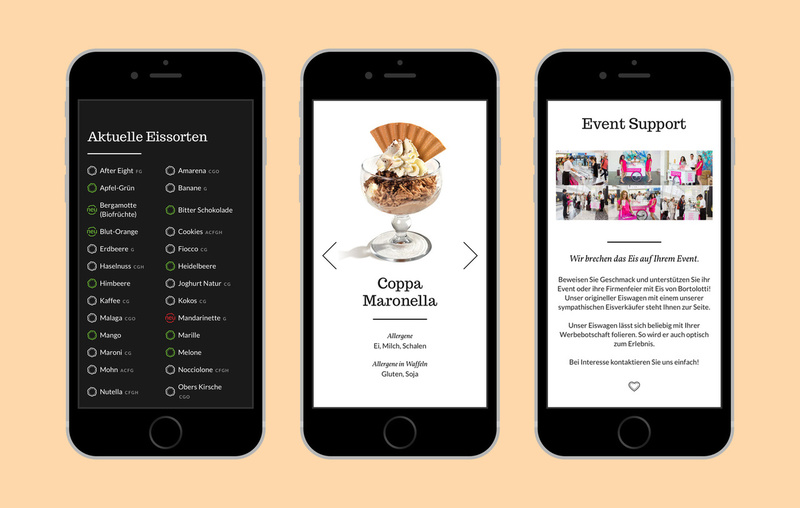 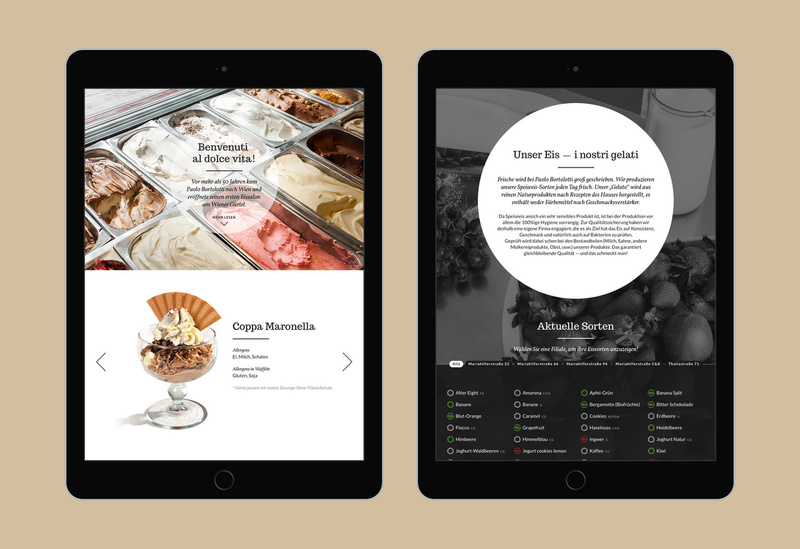 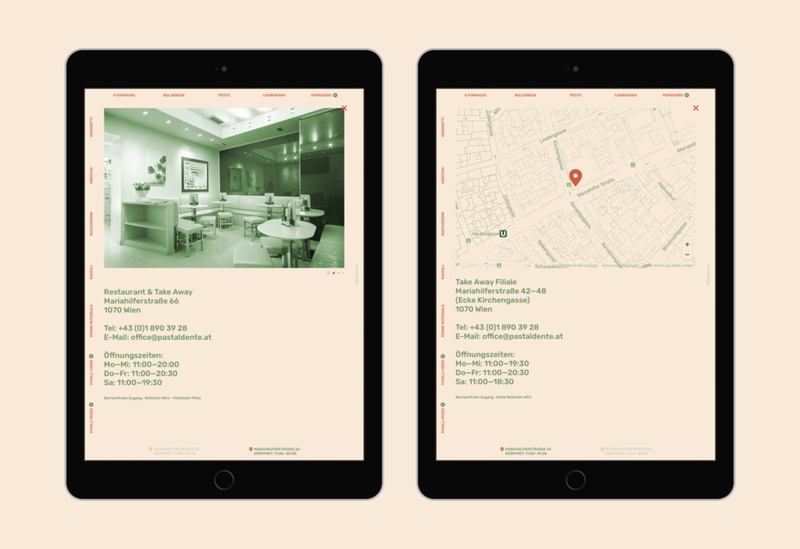 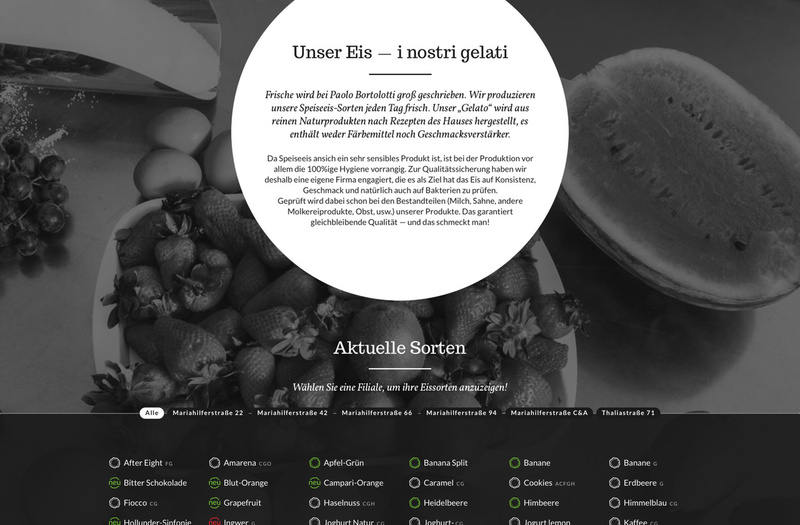 Website for Paolo Bortolotti, a famous ice cream parlor with several branches in Vienna. 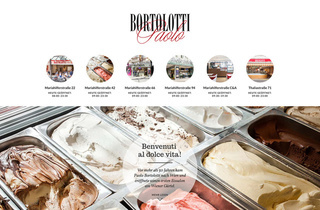 Well-known for original Italian ice cream as well as other classic desserts and Italian coffee. 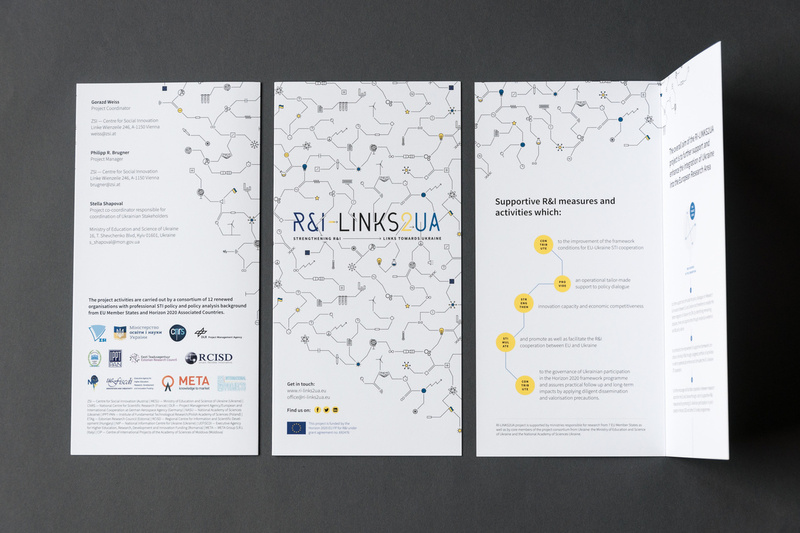 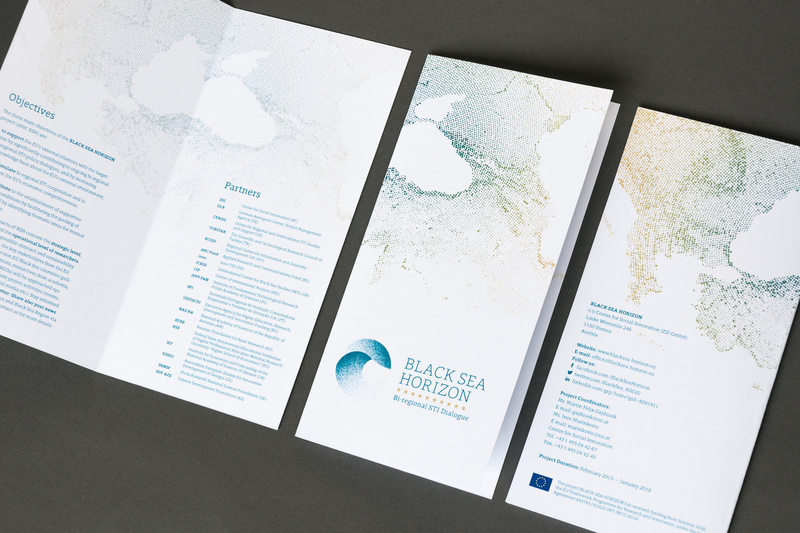 Visual Identity for several projects that were funded by the European Union. 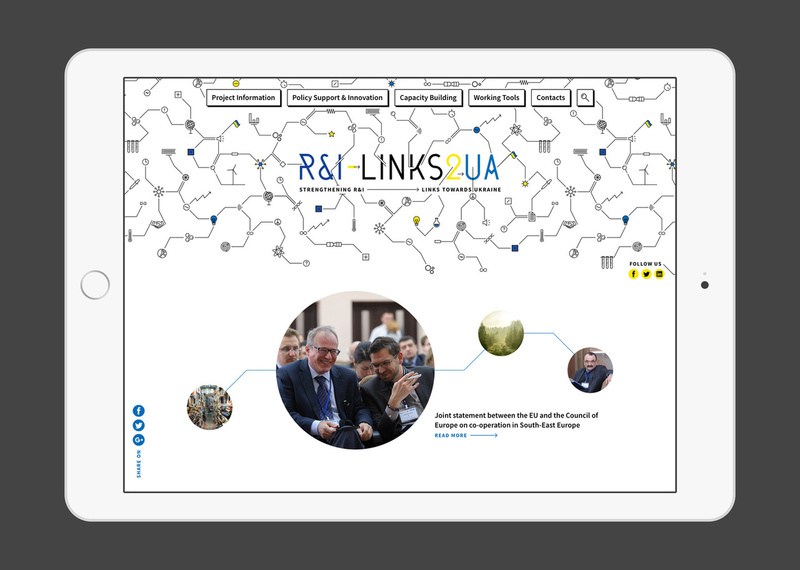 The aim of these projects is to strengthen R&I (Research & Innovation) in their target regions. 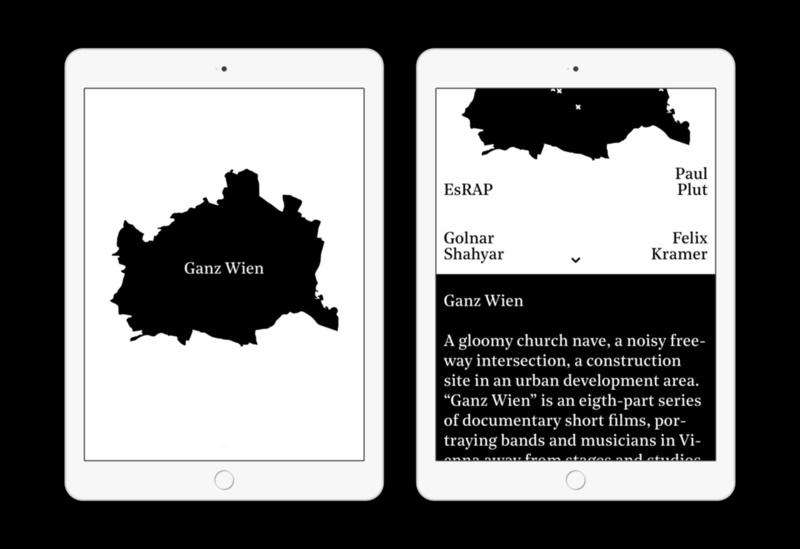 It’s interesting to see how these projects work — and how intensively acronyms and abbreviations are used. 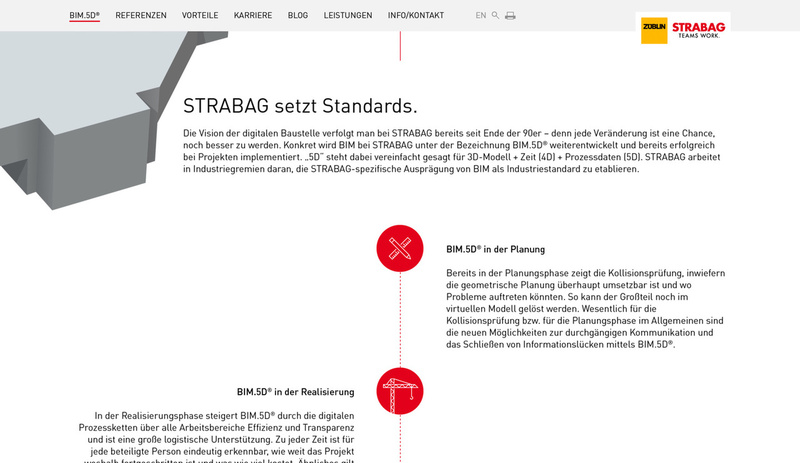 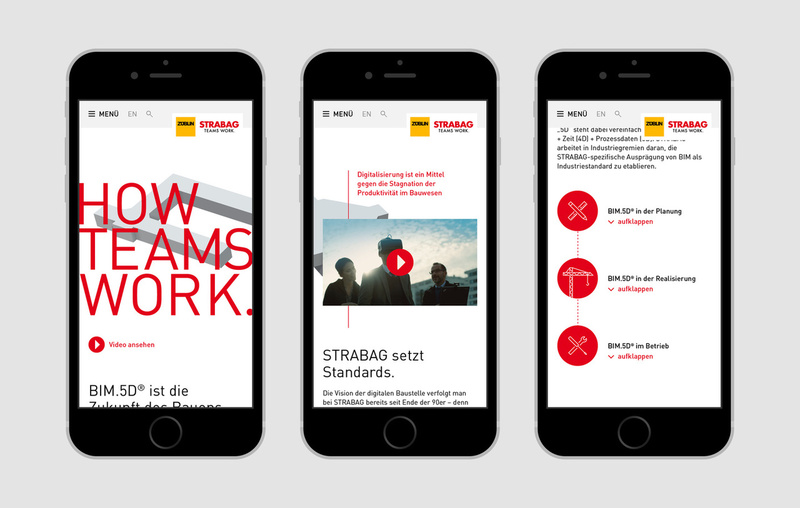 Web design for a microsite of STRABAG SE. 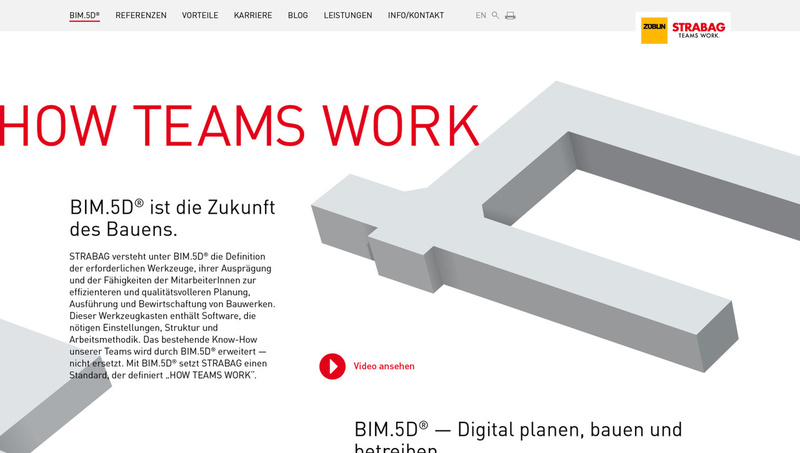 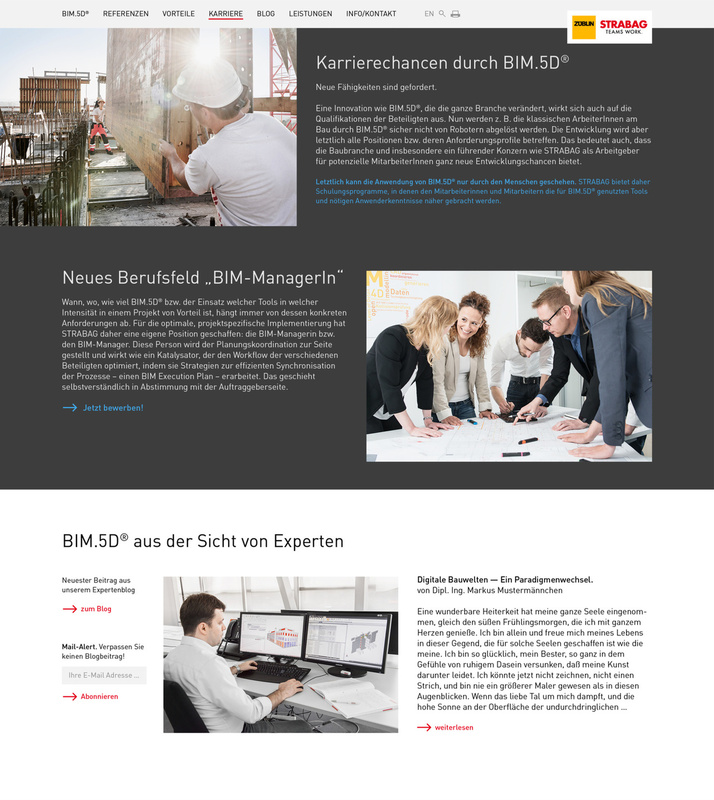 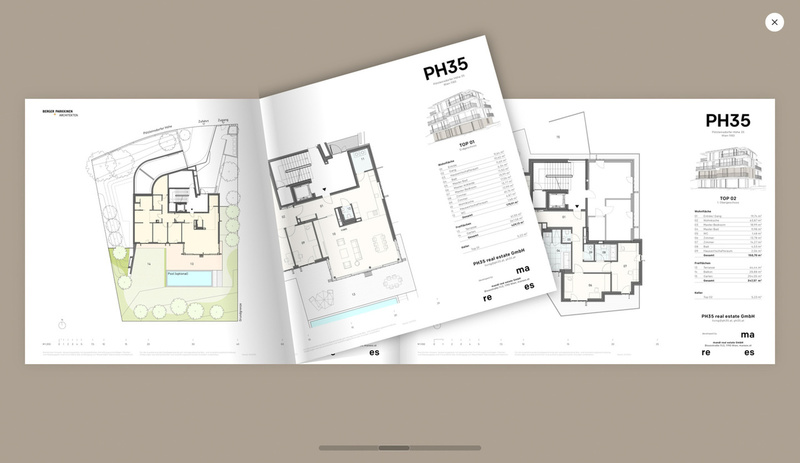 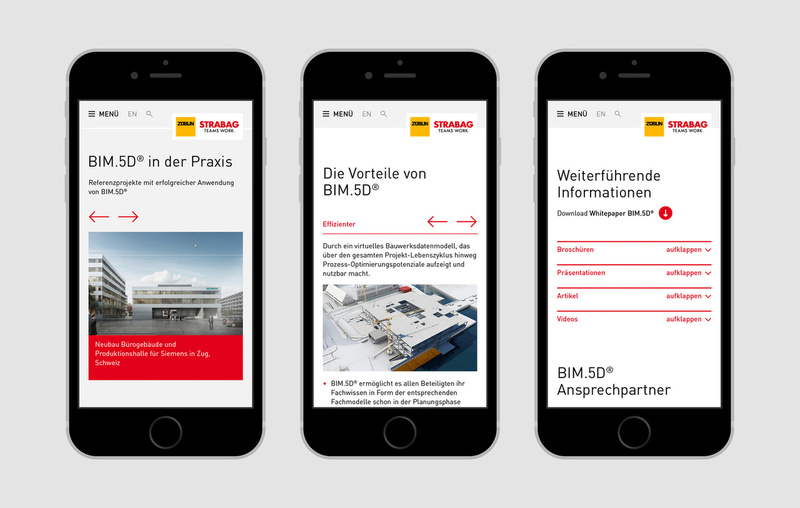 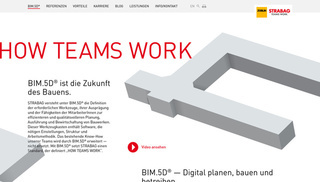 BIM.5D stands for “Building Information Model/Management” and describes a toolbox of software, structure and workflow in the digital era of construction. 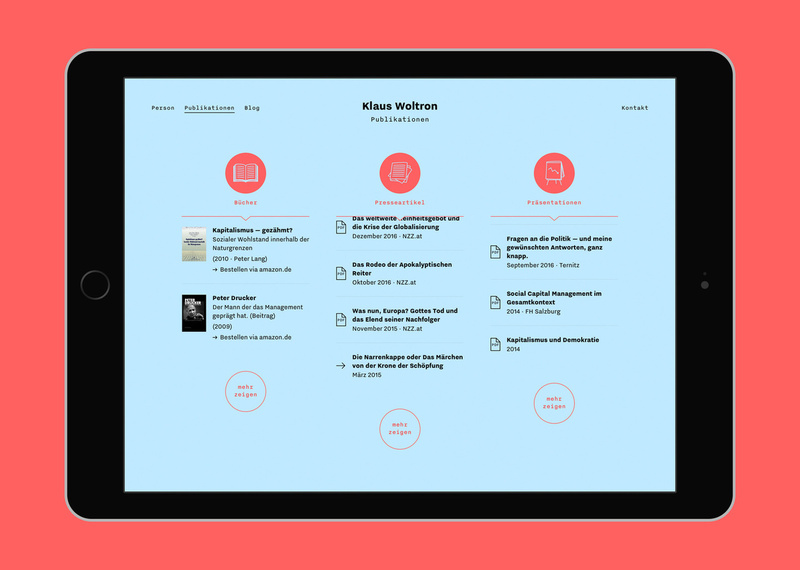 The site is designed to guide you deeper into the topic, the more you scroll down the page. 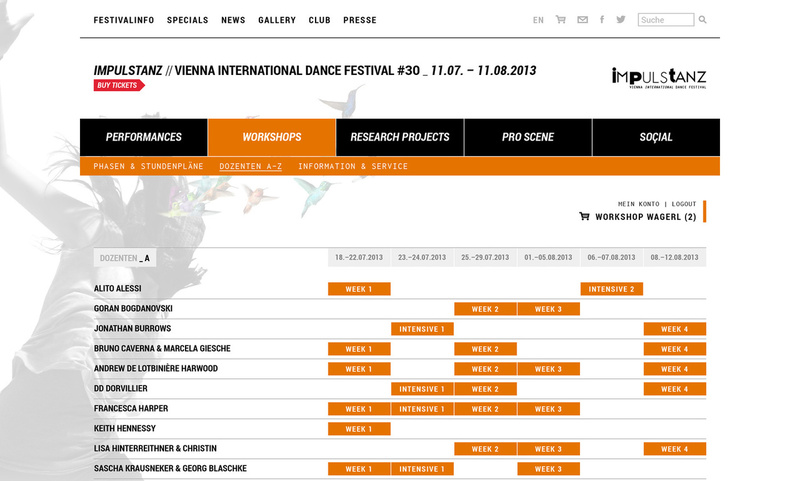 Animation and sound design for the 28th International Dance Festival in Vienna. 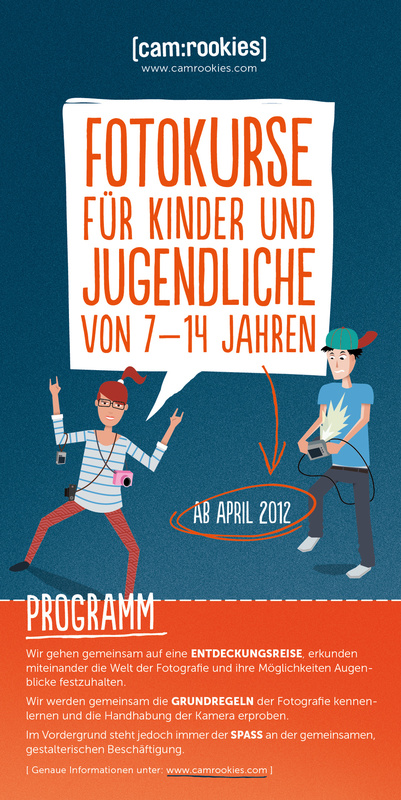 The spot was shown on “Info- and Uniscreens”, at “Kino wie noch nie”, “Kunsthalle Wien”, in selected cinemas and on TV. 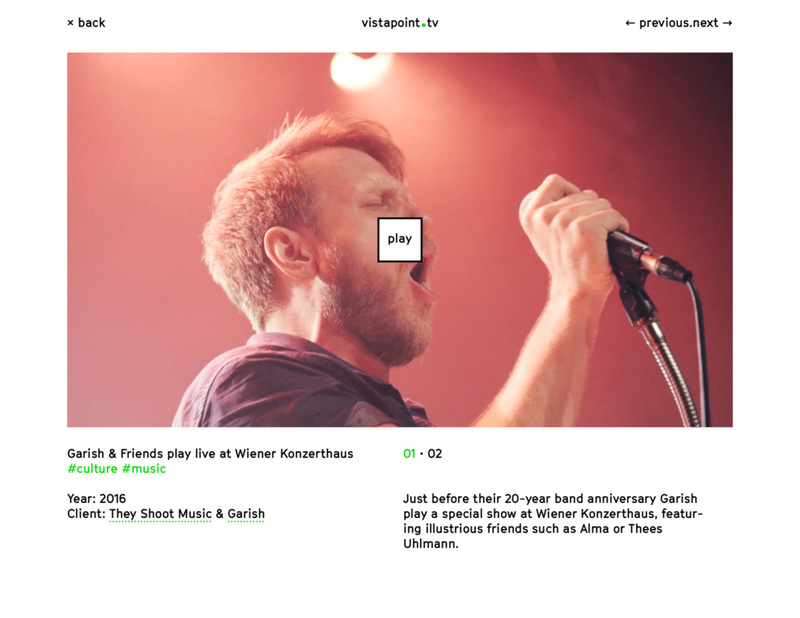 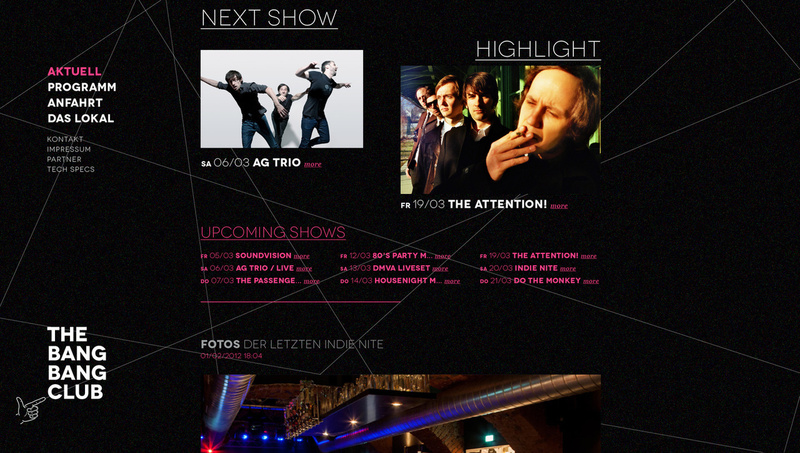 Further it had been played at venues of the ImPulsTanz festival itself. 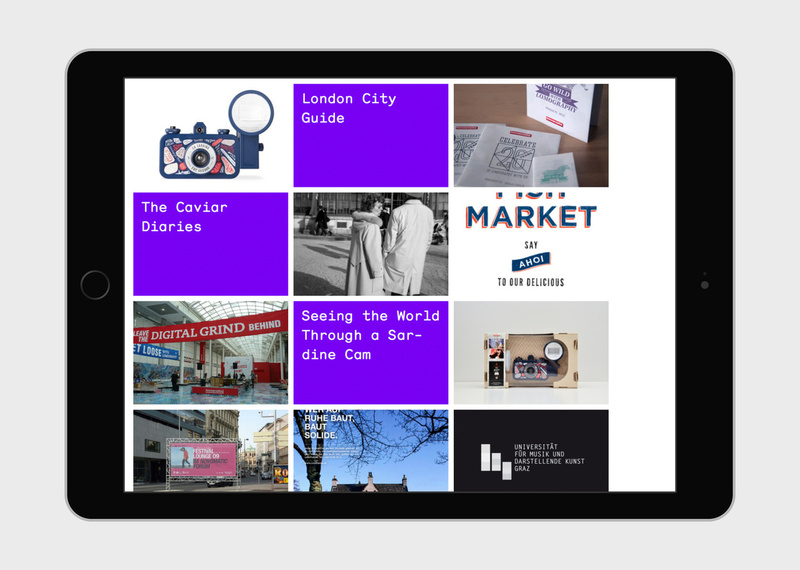 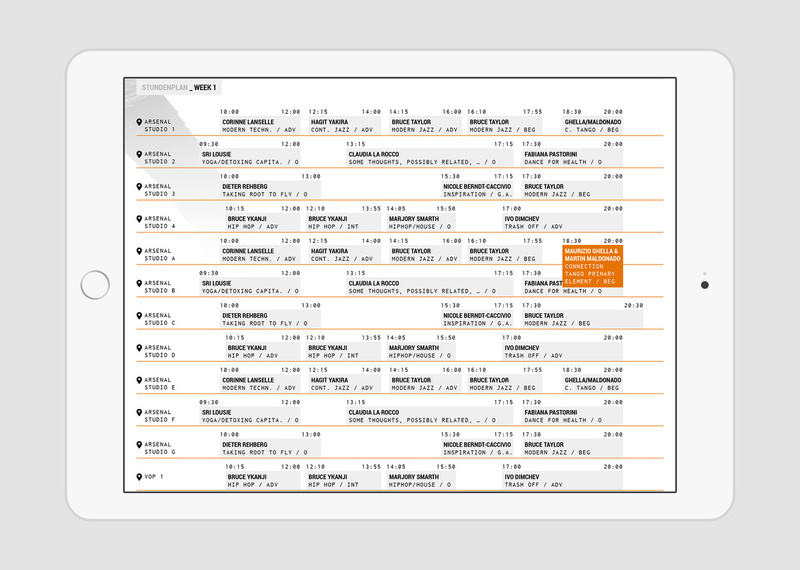 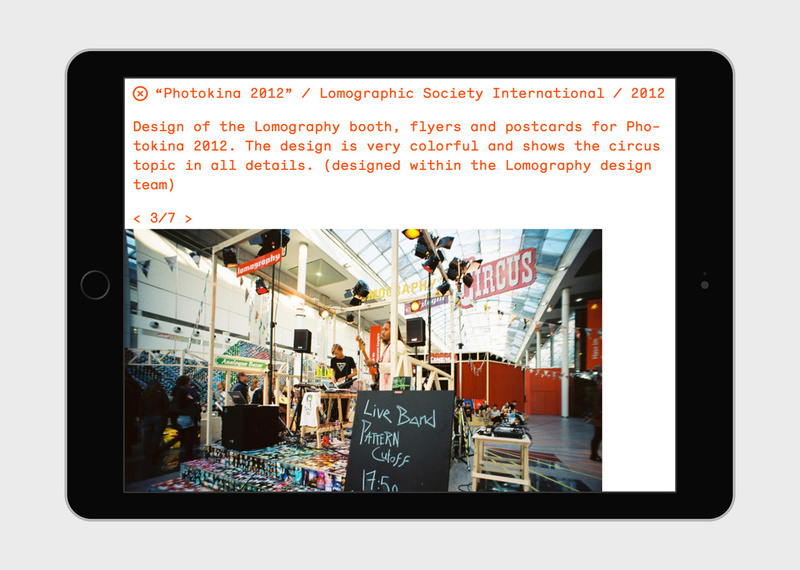 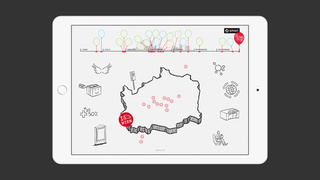 A web app for iPad showcasing events that took place in order to promote “smart”. 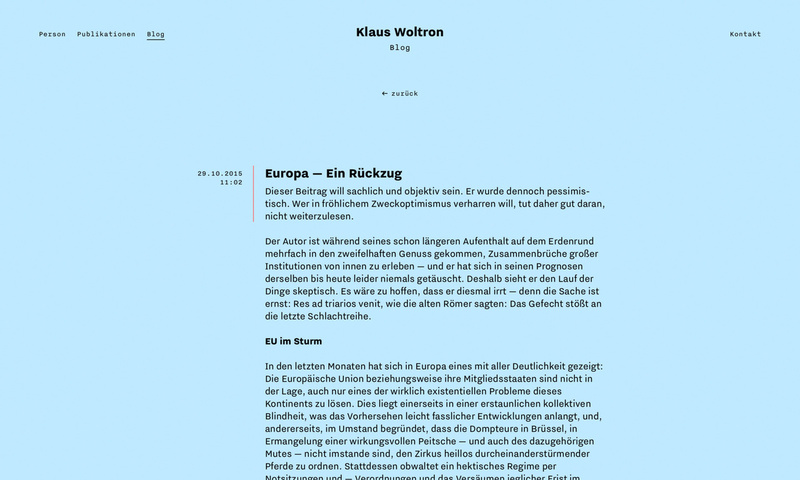 The app is a kind of digital annual report and was created for an internal presentation — therefore I can only show this screen capture video which contains text that must be blurred. 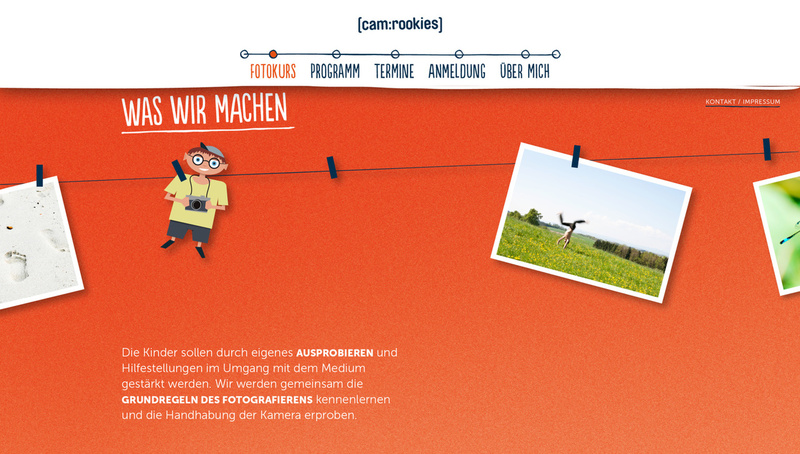 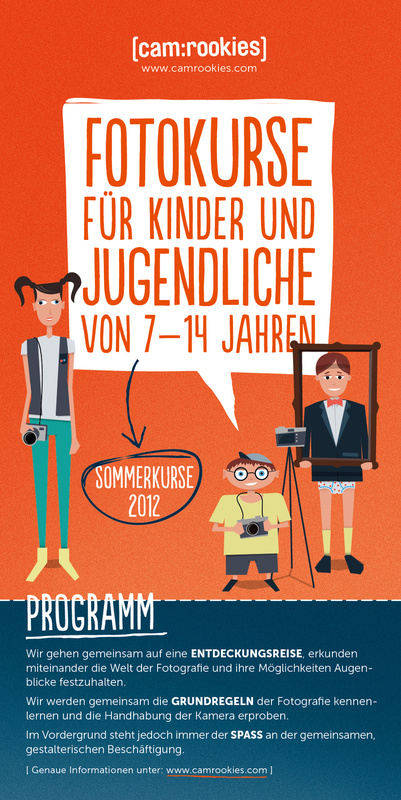 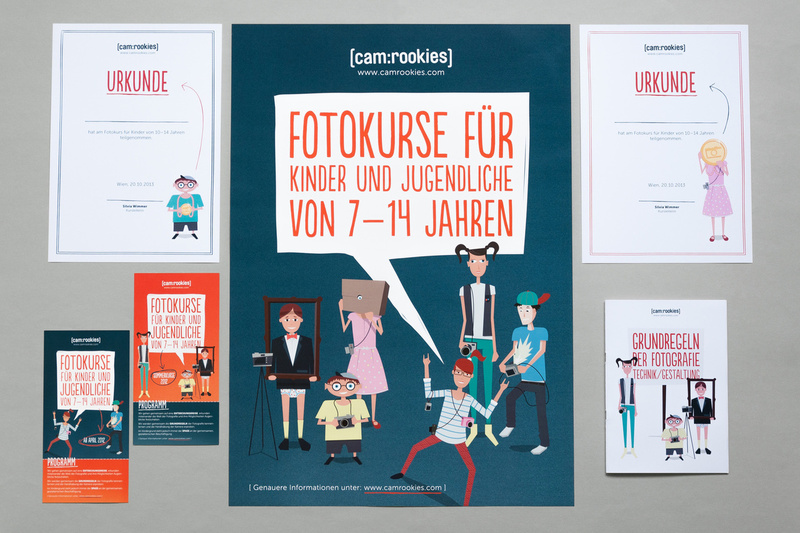 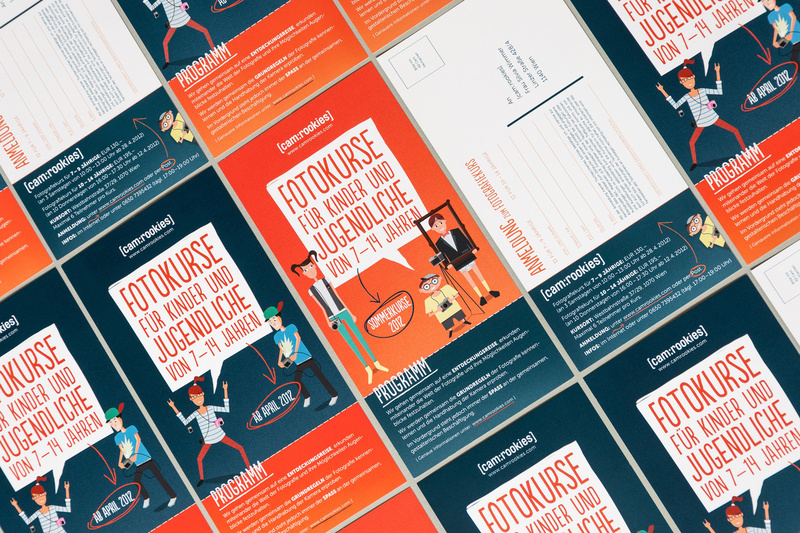 Visual Identity for a series of photography courses for children and teenagers. 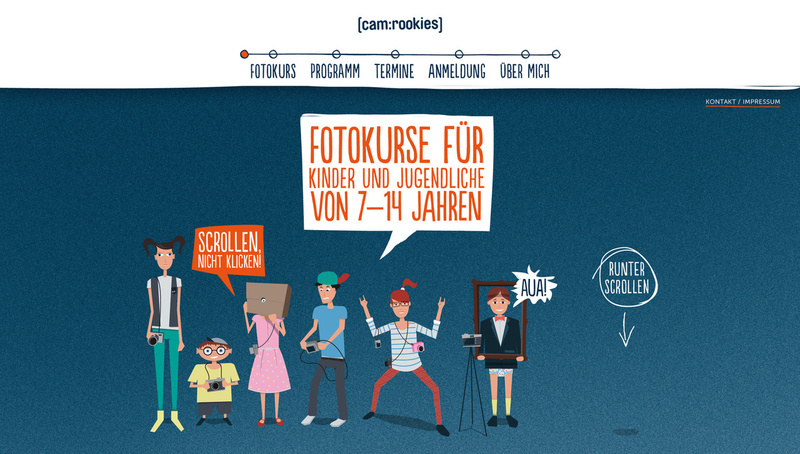 It’s fun to create something for kids and it's fun to see that they like it. 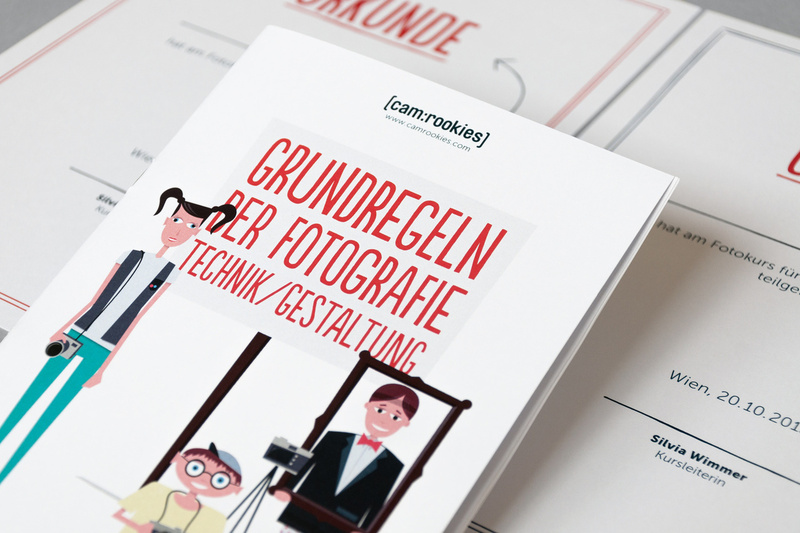 Character Illustrations by Oliver Hofmann. 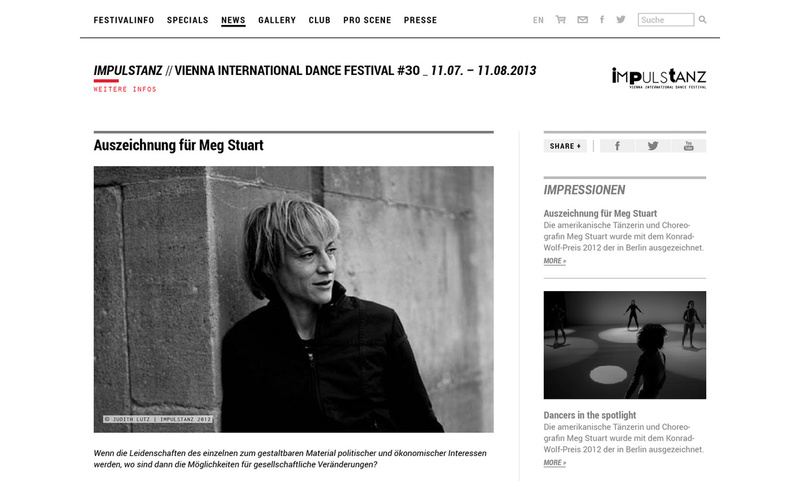 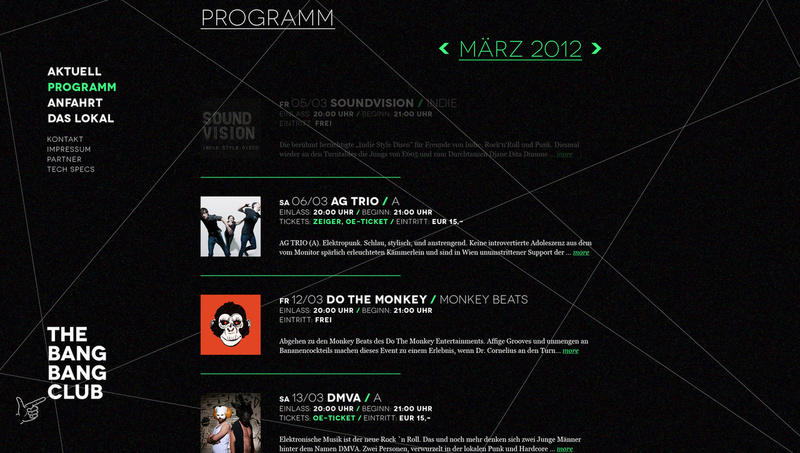 Web design for “ImPulsTanz — Vienna International Dance Festival”. 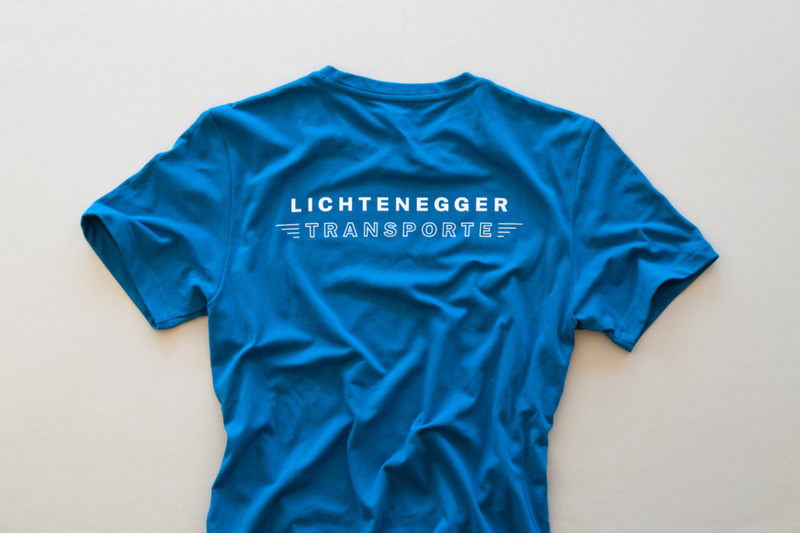 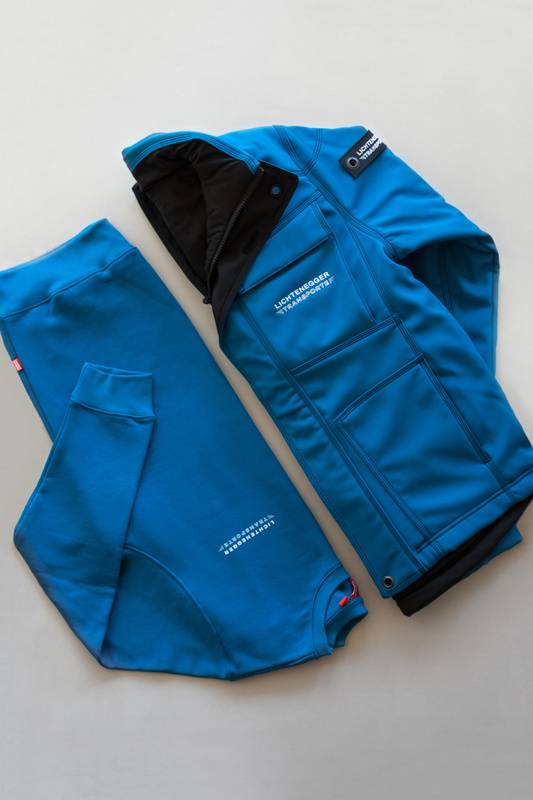 A solid design that works for the festival season as well as for the rest of the year. 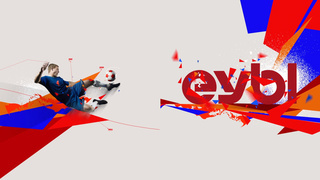 Store Visuals for Sport Eybl. 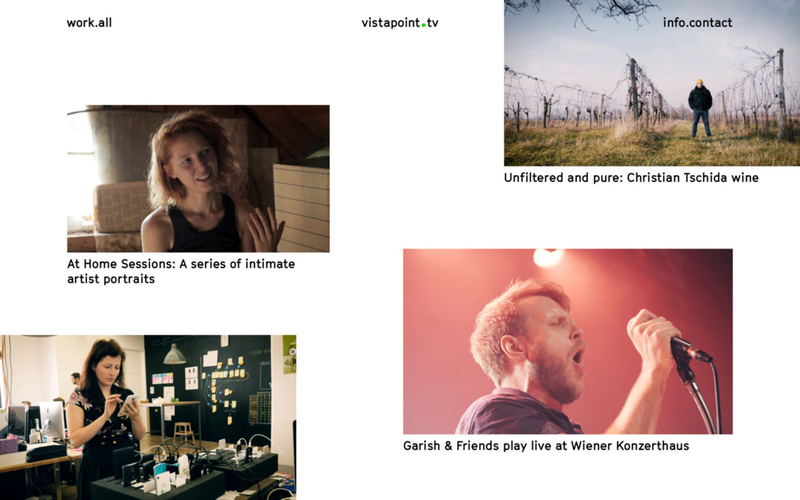 Five clips with different topics but the same animation concept. 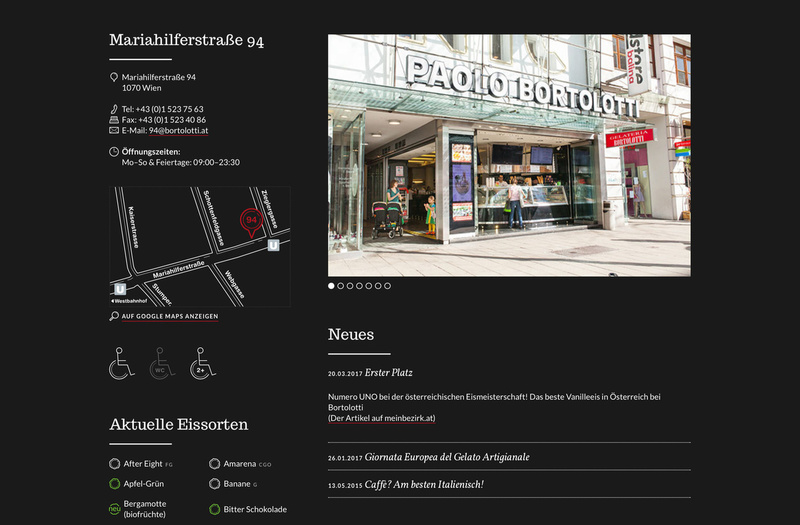 They were all shown in the Eybl Worldstore in Vösendorf, Austria. 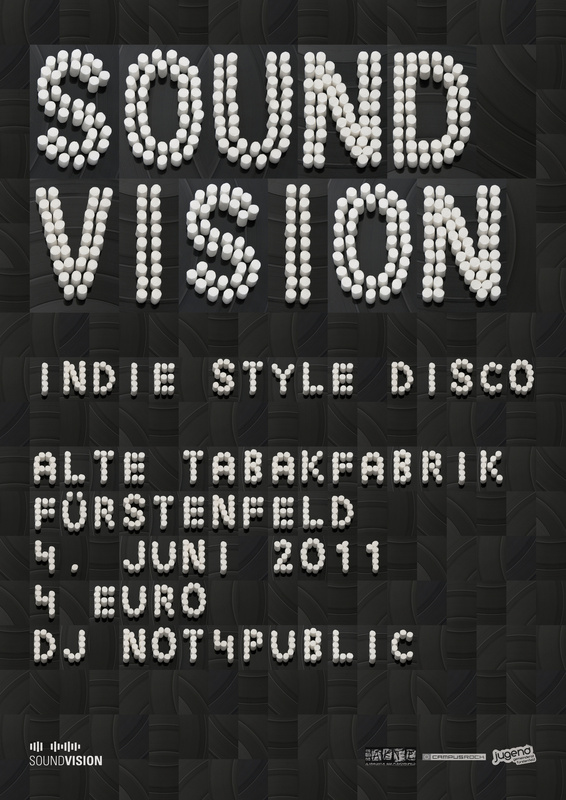 Poster design for a series of indie rock dj events. 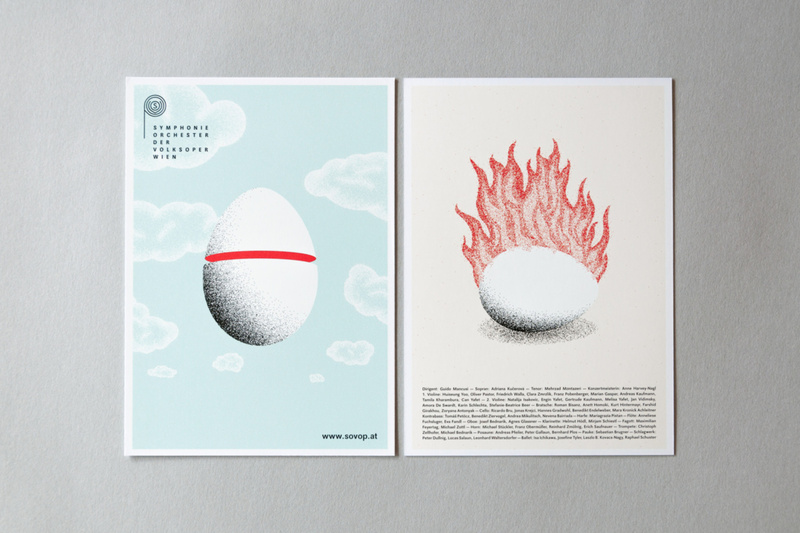 These two posters are made by hand. 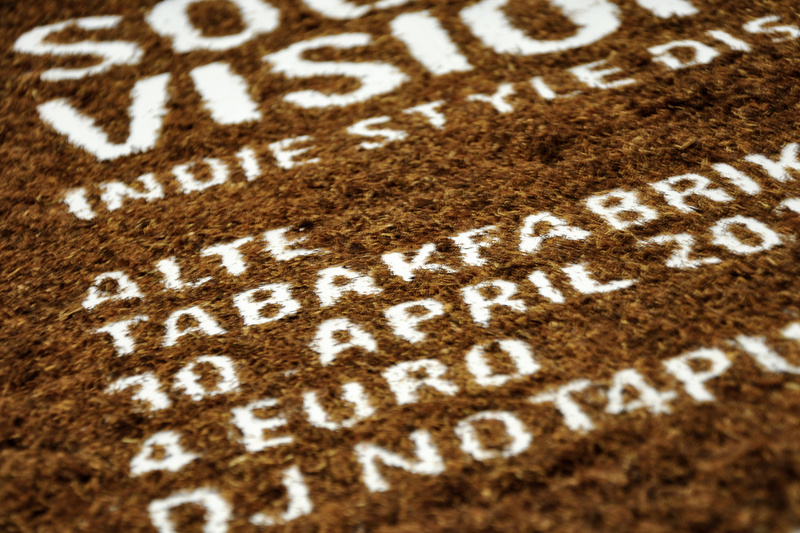 The first one is made out of tobacco and the letters of the second poster are built with filters on a vinyl disc. 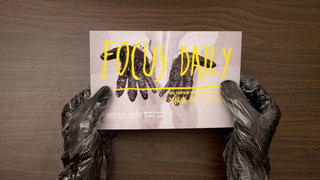 Stop motion animation about the “Focus Daily” exhibition in Los Angeles. 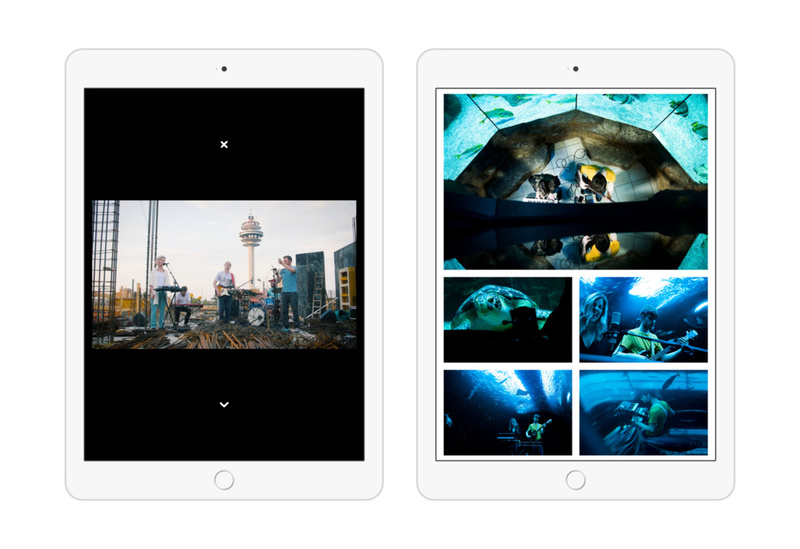 The video contains 2562 photographs. 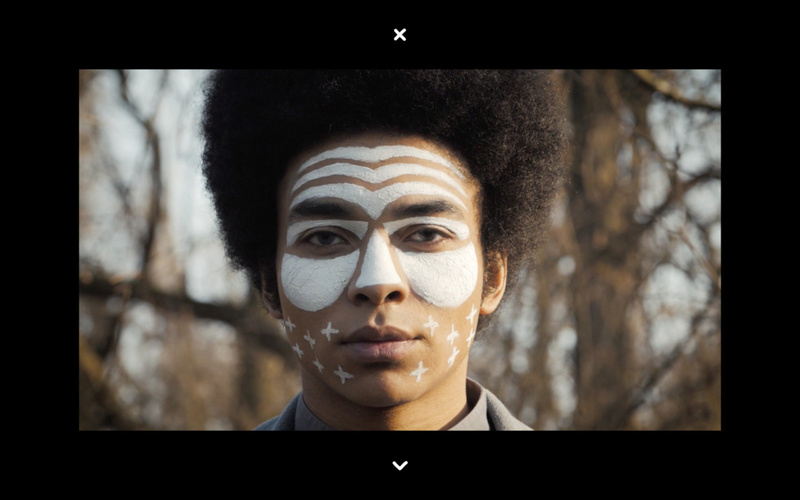 The video-sequences and pictures of L.A. were reshot from screen to create a consistent and very special look. 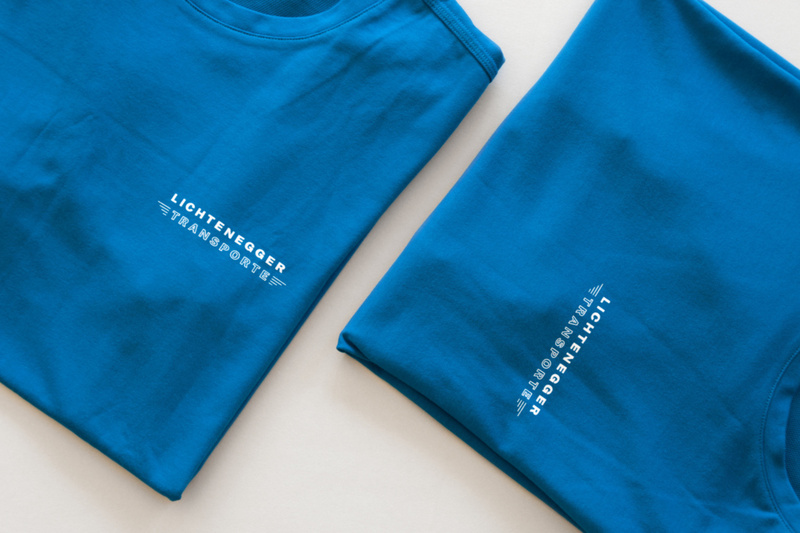 No commercial use. 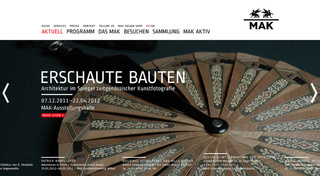 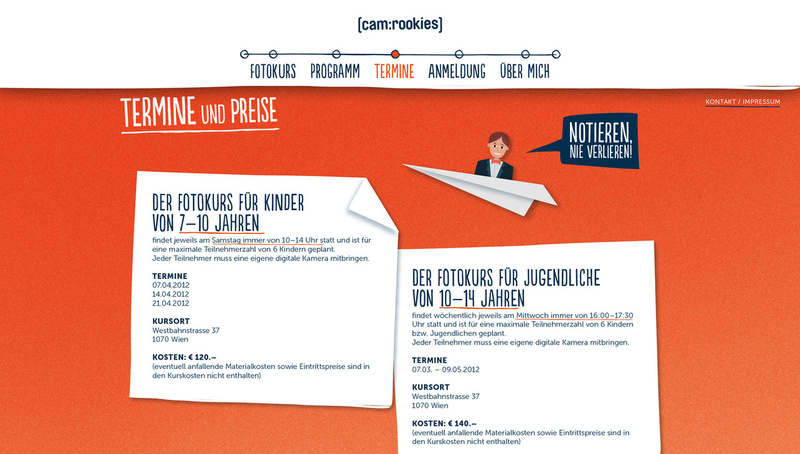 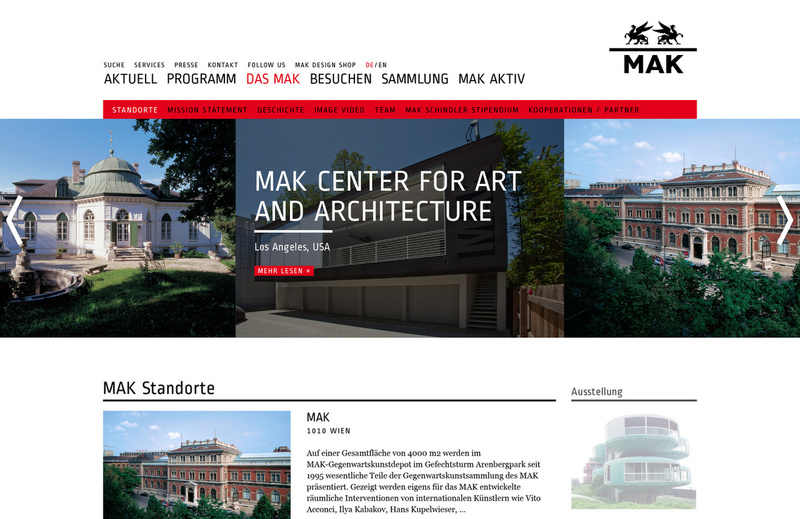 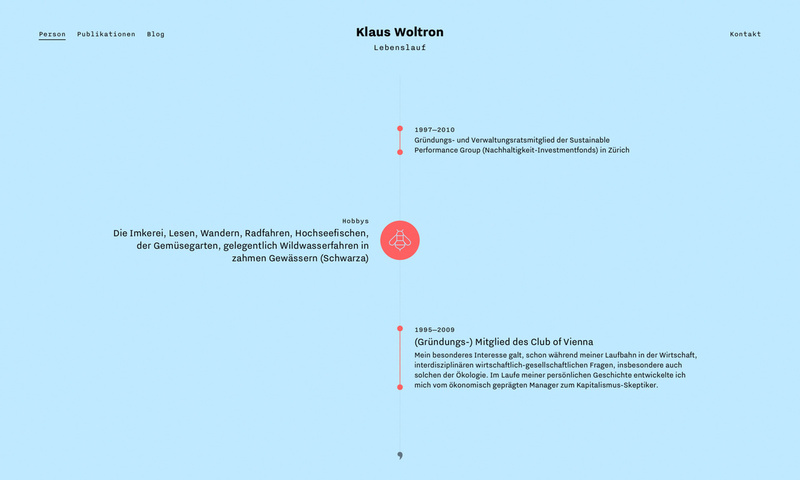 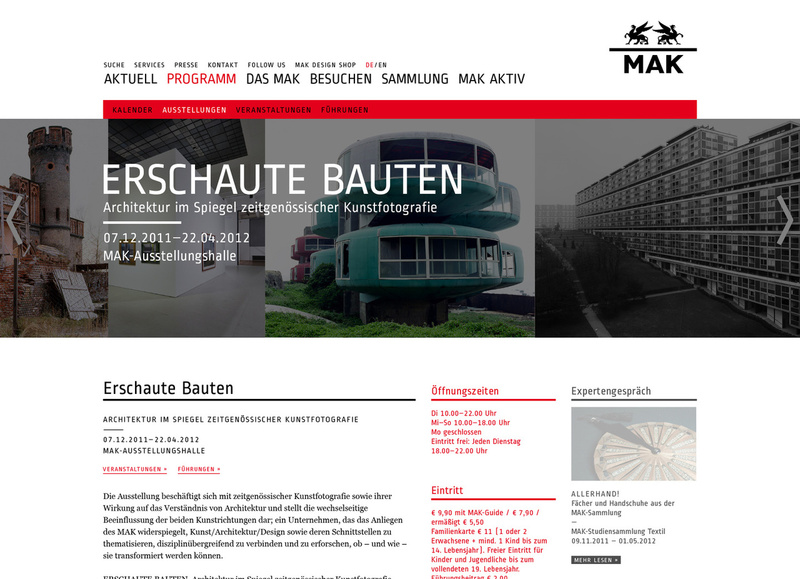 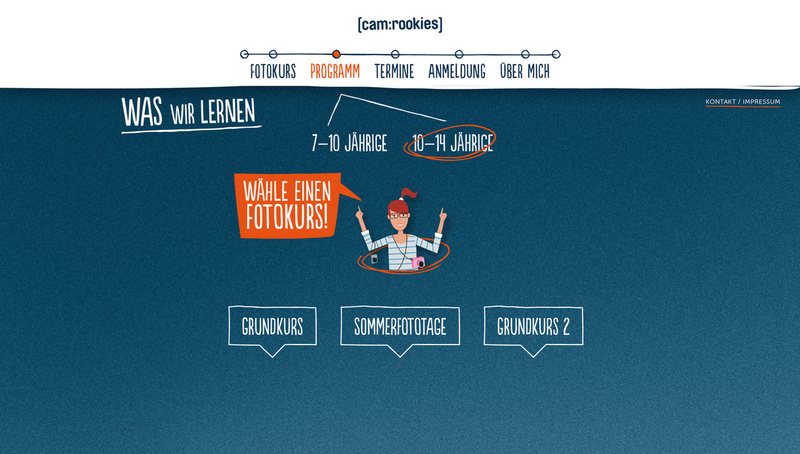 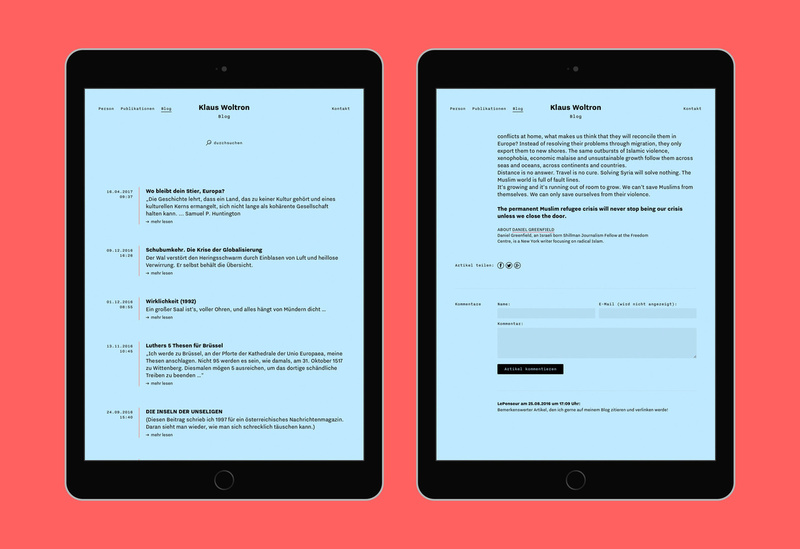 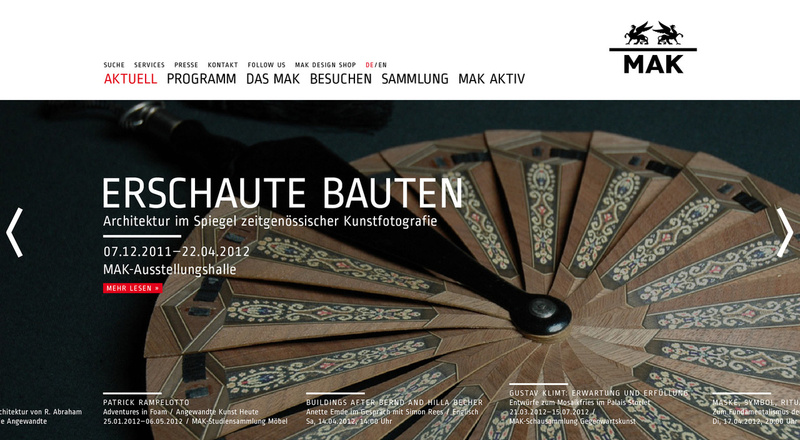 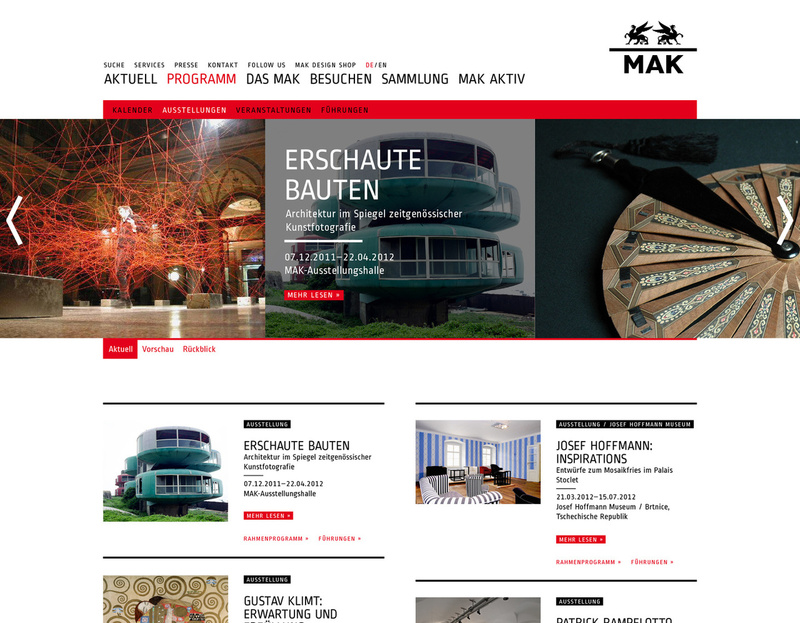 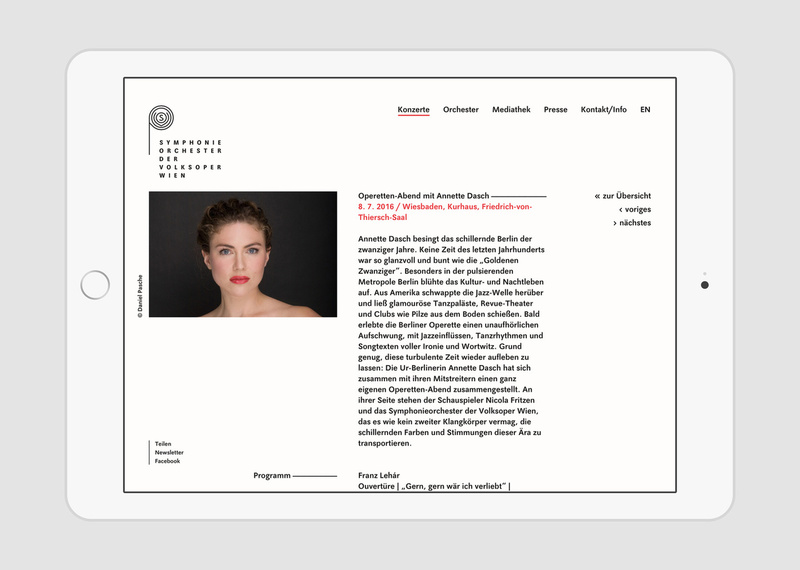 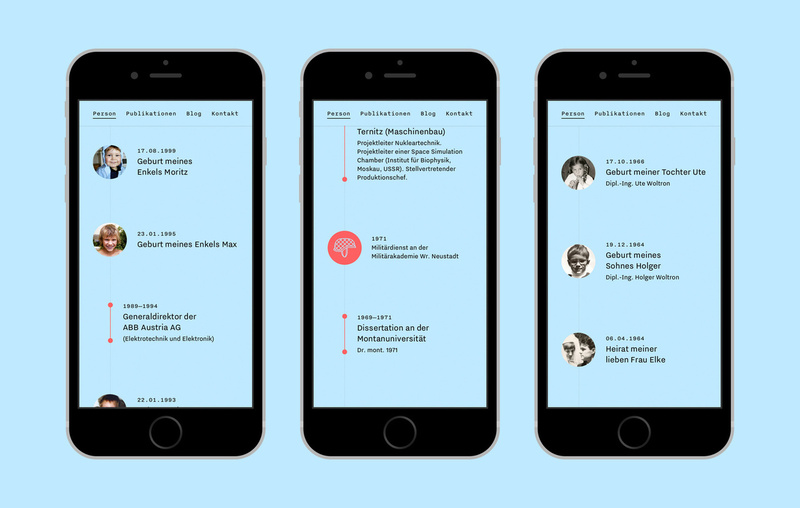 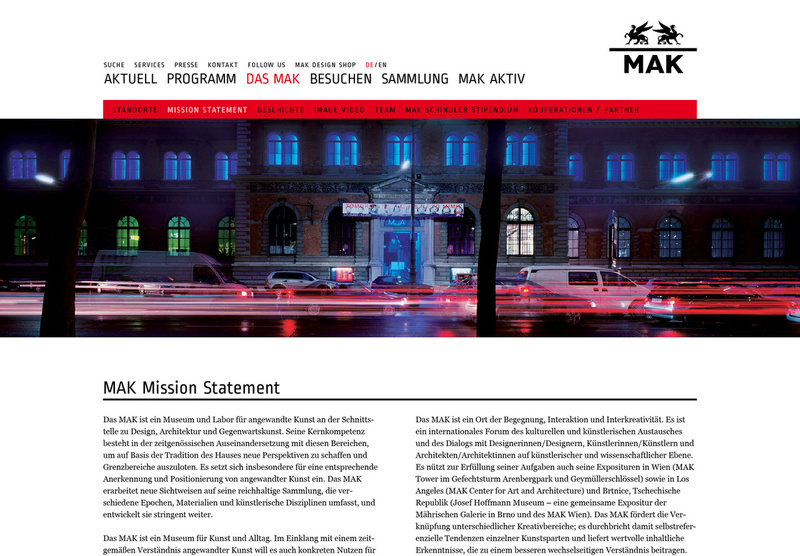 Web design for the Austrian Museum of Applied Arts. 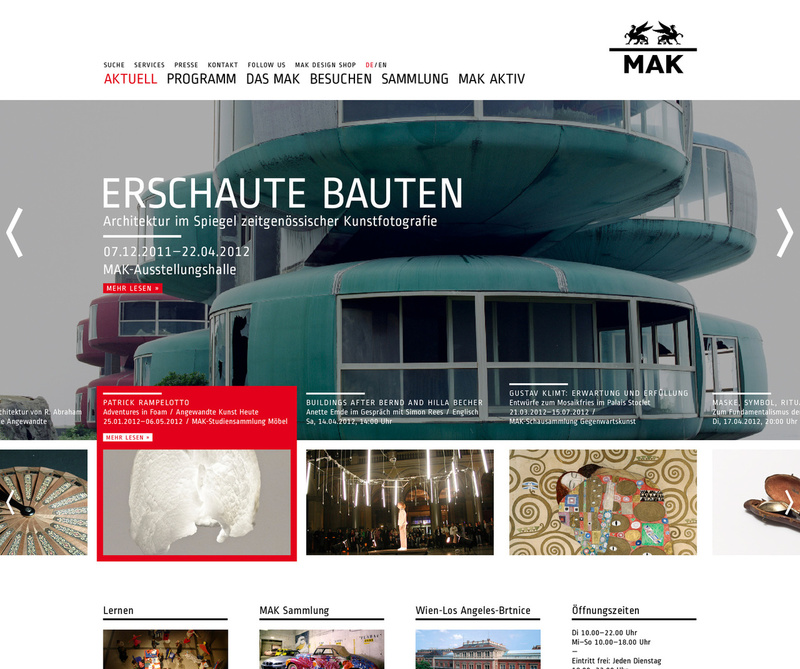 Large pictures and modern ways of interaction are supposed to immerse users into the interesting world of MAK.